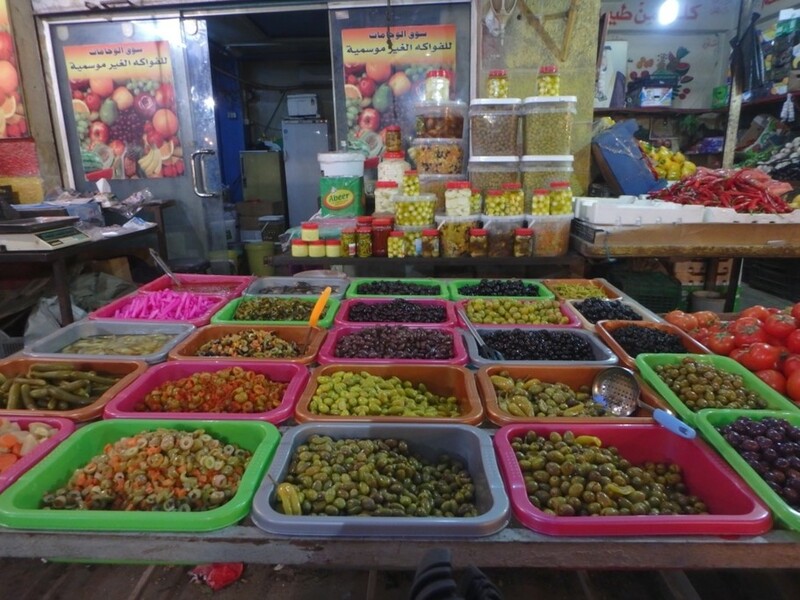 My passion are the local people of Jordan and I love to share this with you. 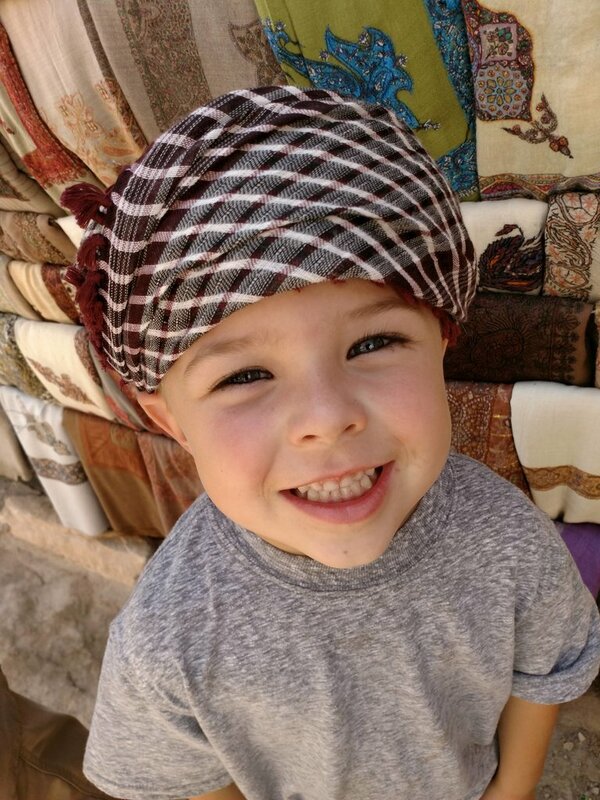 The Jordanian culture is a very welcoming and peaceful, which makes that I love to live in this beautiful country. Together with you I'll create a wonderful holiday that fits all of your needs and those of your family or friends. 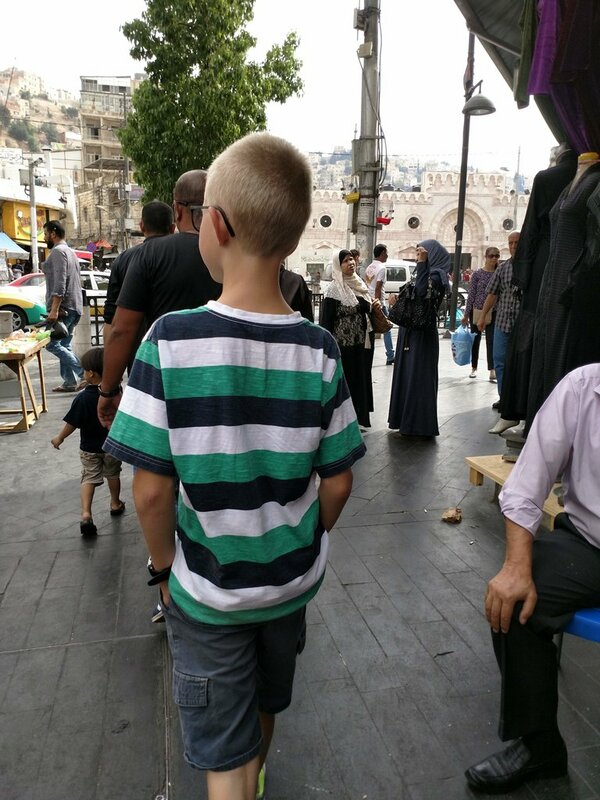 I'm originally from Holland but I've been living in the Middle East and mainly Jordan for almost 8 years. 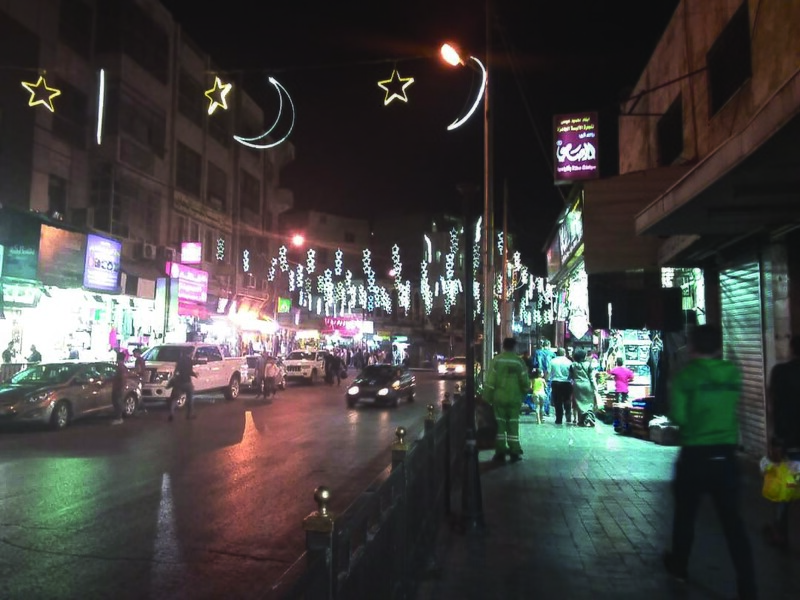 "I regularly visit different places in Jordan to keep up to date. This means that you can ask my anything about the country or special activities. And if I don't know about it, I have a team of wonderful travel specialists who do. 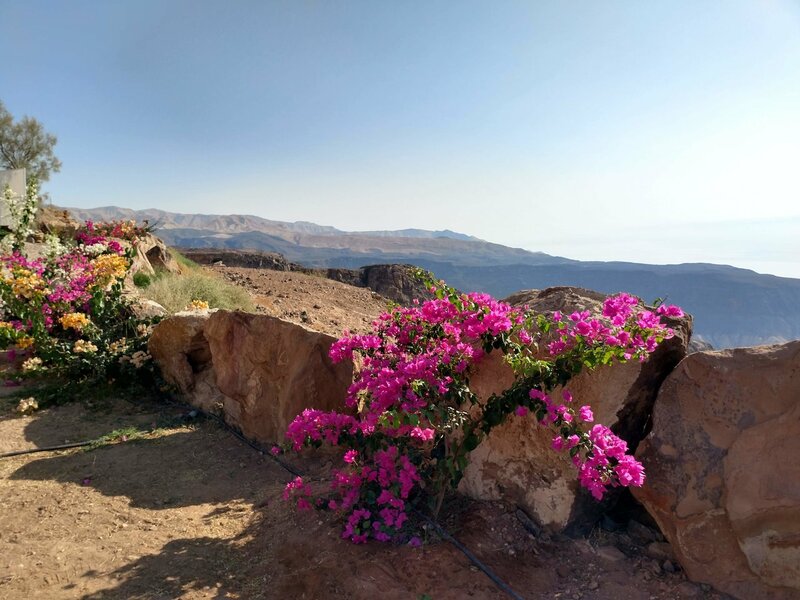 My specialties are diving holidays (Me and my husband also run a dive center in Aqaba), responsible tourism, yoga holidays and hiking holidays. But mostly I create customized itineraries based on your wishes. " 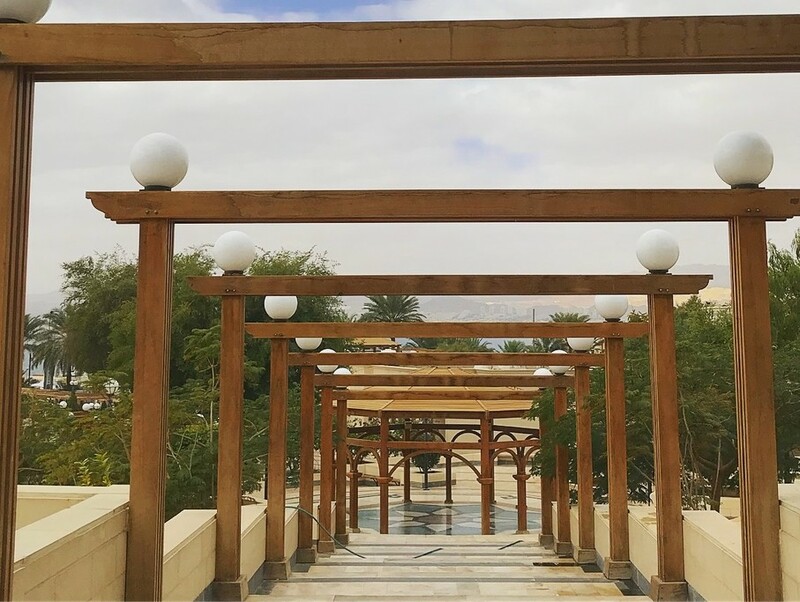 "I studied cross cultural management and sustainable entrepreneurship, not knowing that I would end up in tourism in Jordan. 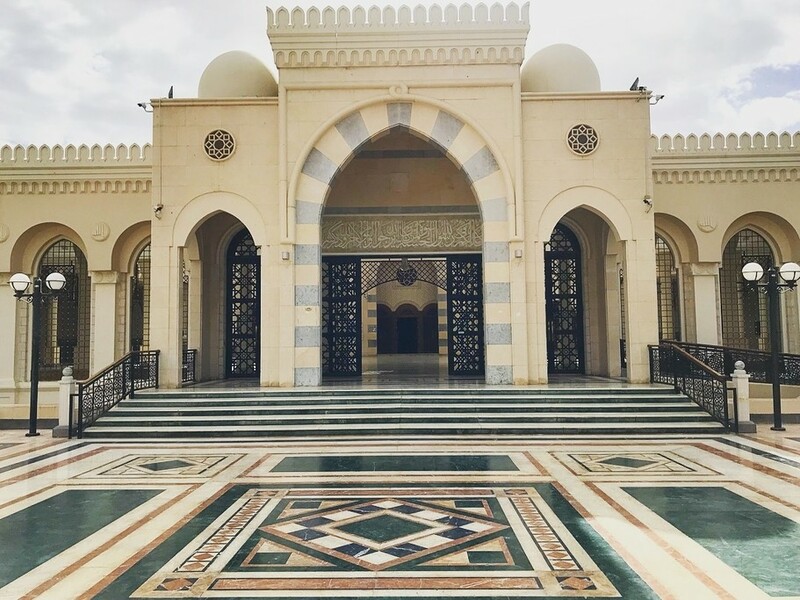 After my studies I left for a month long trip to and through the Middle East. 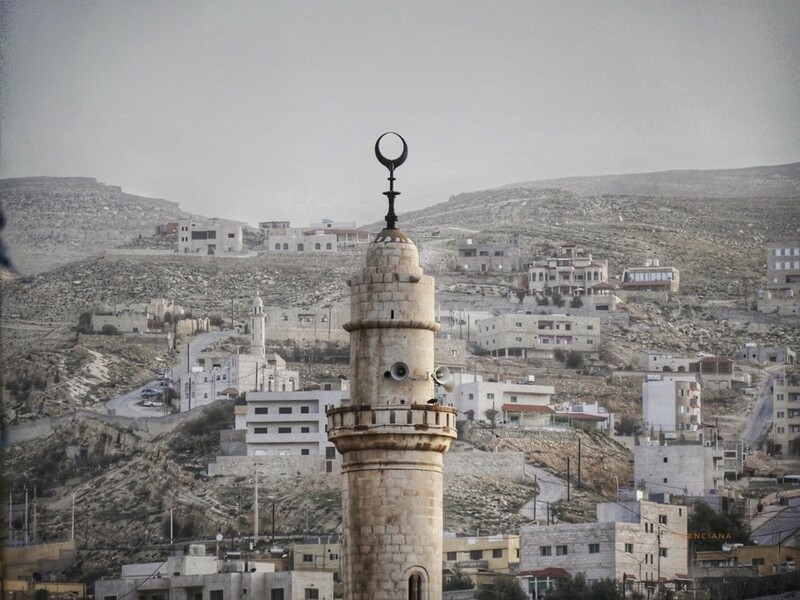 That's when I fell in love with Jordan. 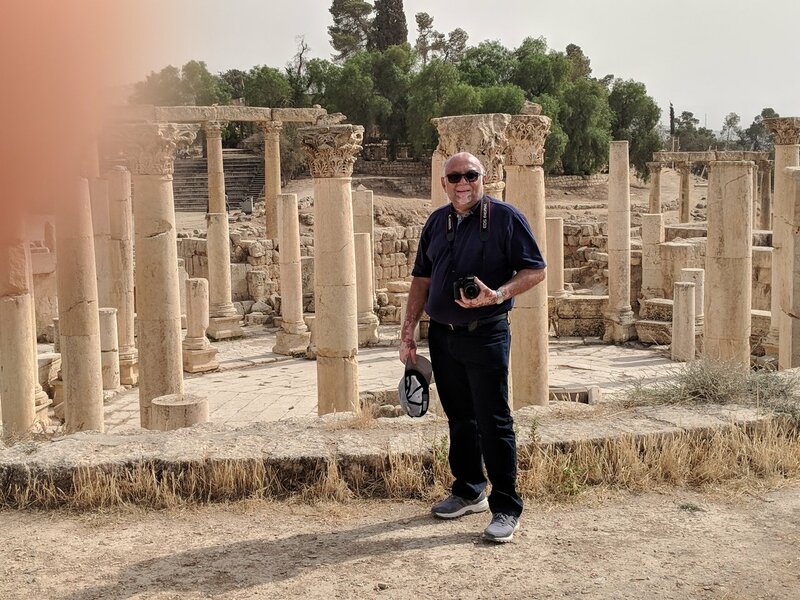 From day one I've been involved in the travel industry in Jordan. This has resulted in having my own tour company in this surprising country. " "I've been brought up traveling around the world. I'll never forget the day I went into the rural areas of Gambia but I'll also never forget that one holiday on where I met my husband! " 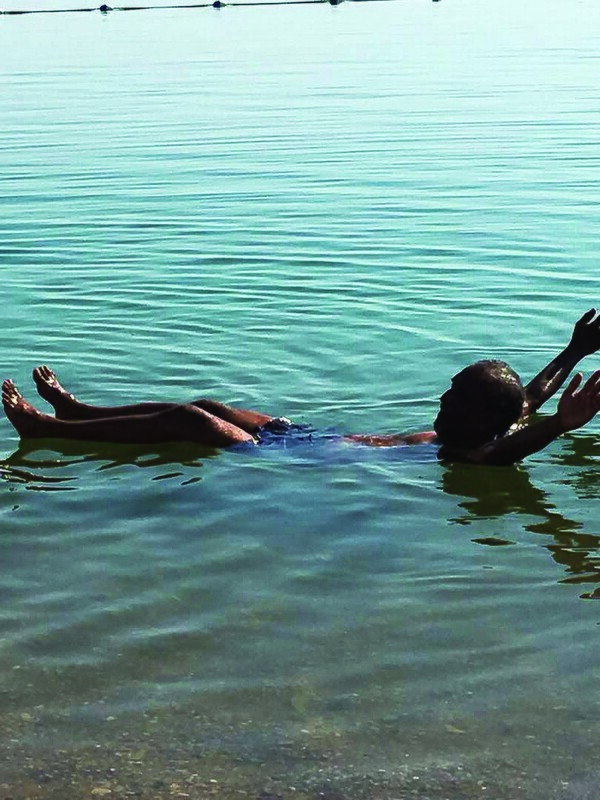 This well-rounded tour is designed to suit families and has something for everyone. 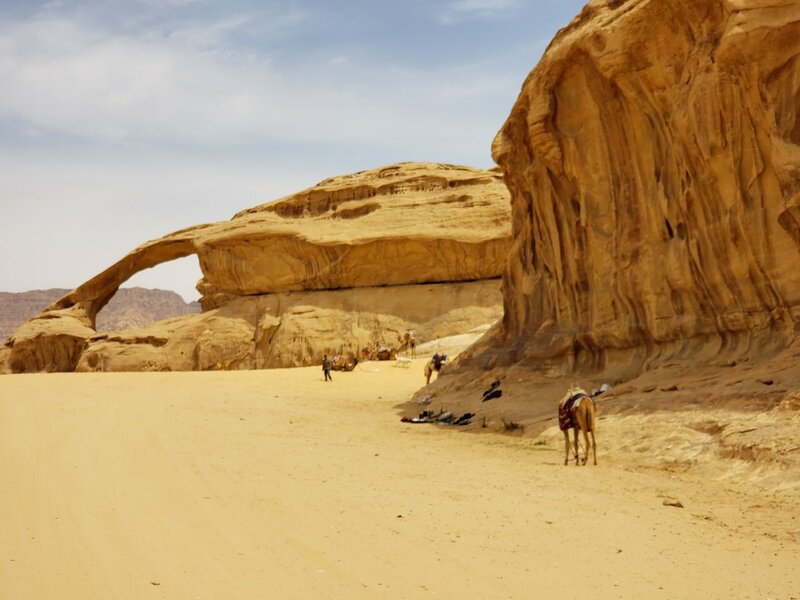 Visit the ruins of Gerasa and stay in a Bedouin camp in the UNESCO World Heritage-listed Wadi Rum. 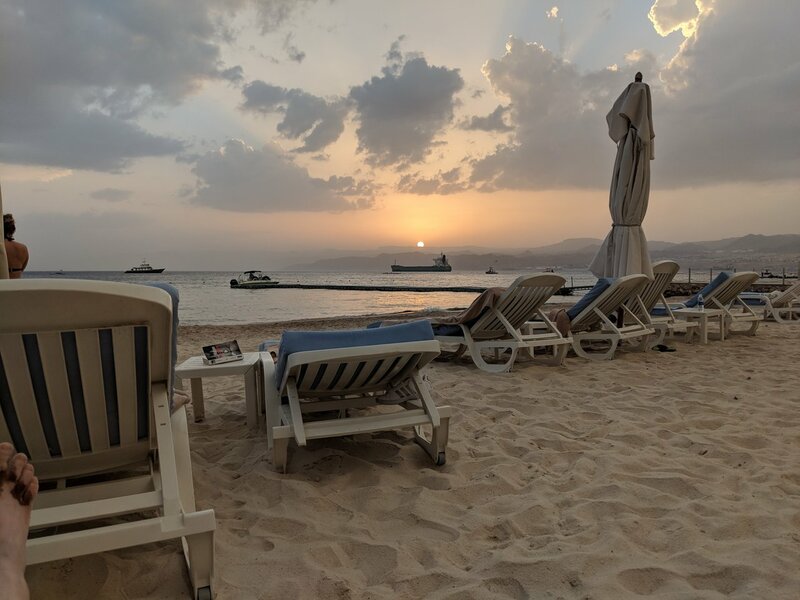 See the holy Byzantine and Umayyad mosaics at Madaba and frolic on the beach at Aqaba. 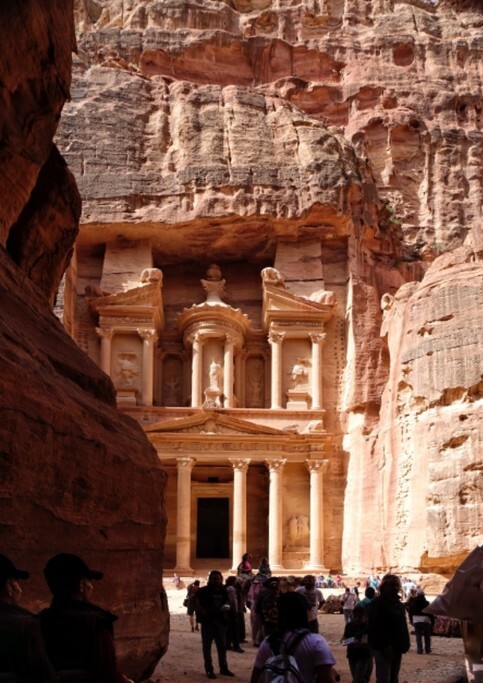 Add to this Petra and the Dead Sea and you have the complete highlights of Jordan. 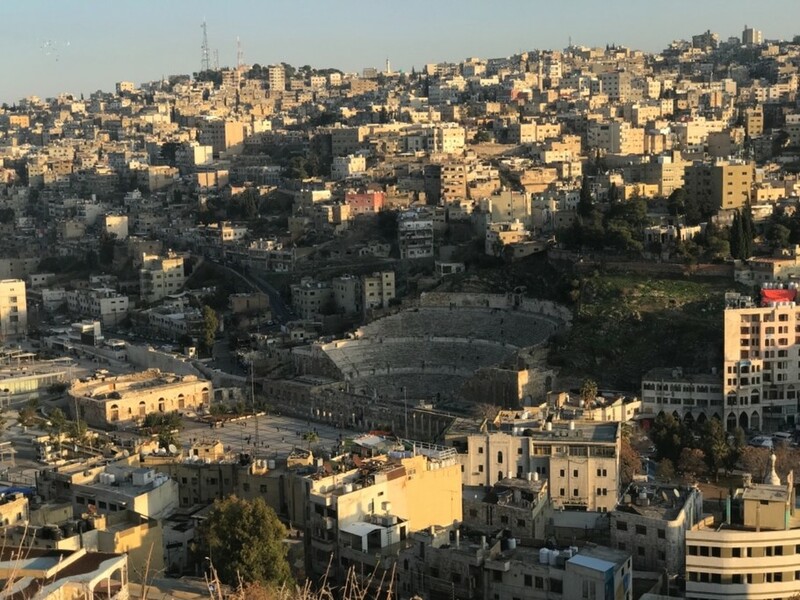 Amman was built upon hills—so naturally, there are plenty of great vantage points where you can take in the rolling cityscape of Jordan's capital. 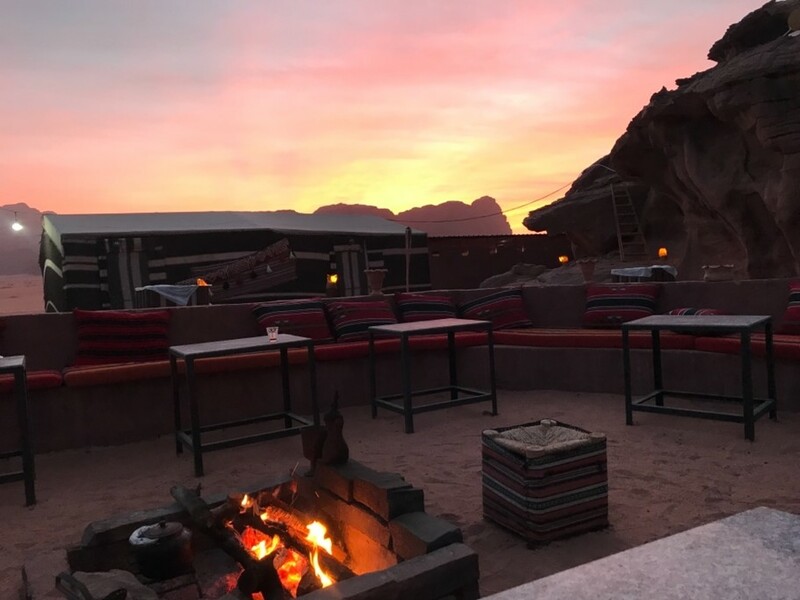 Here are some of the best spots to watch a sunset, sip a cocktail, or simply enjoy the scenery. 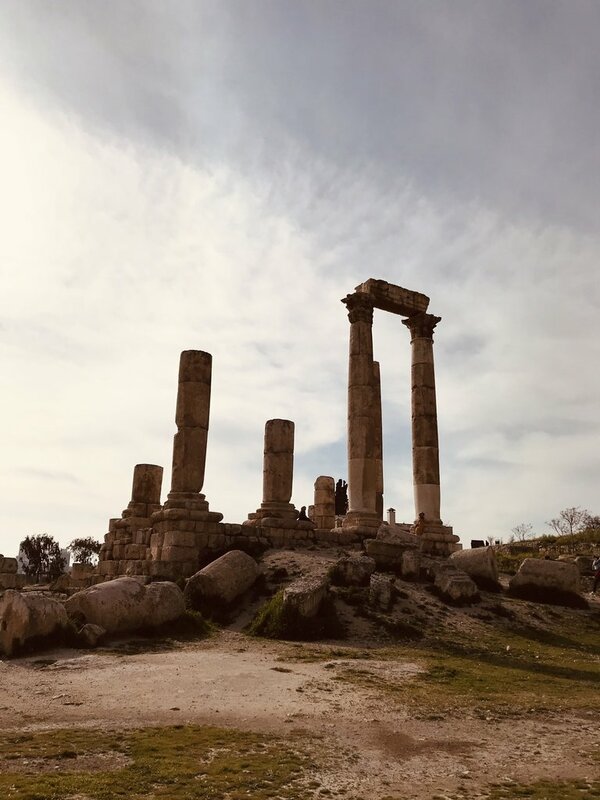 Amman is a perfect pairing of Jordan's ancient history and modern culture, providing endless viewpoints, fantastic Levantine cuisine, and one of the best art scenes in the Middle East. It's a dynamic place to spend a day—follow this itinerary to make the most of your 24 hours. 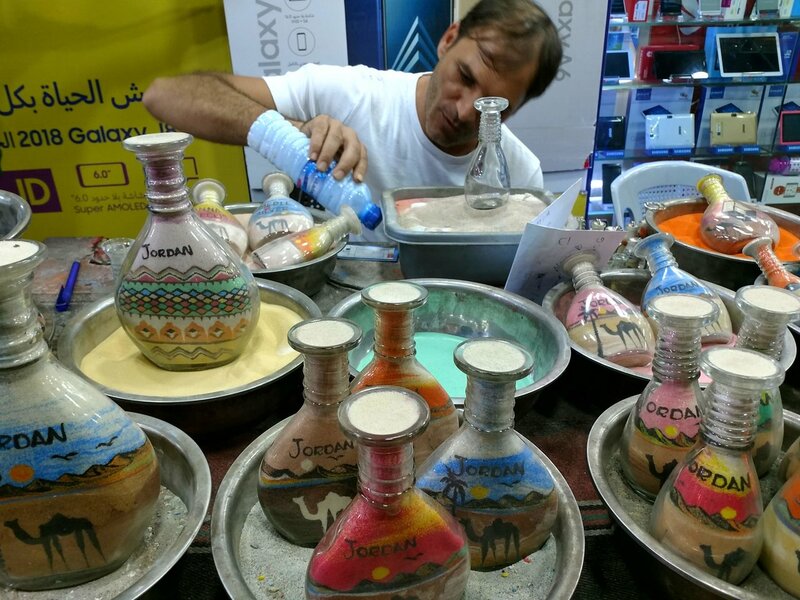 Any trip abroad merits a little souvenir shopping, but Jordan is a destination with especially beautiful and useful offerings. 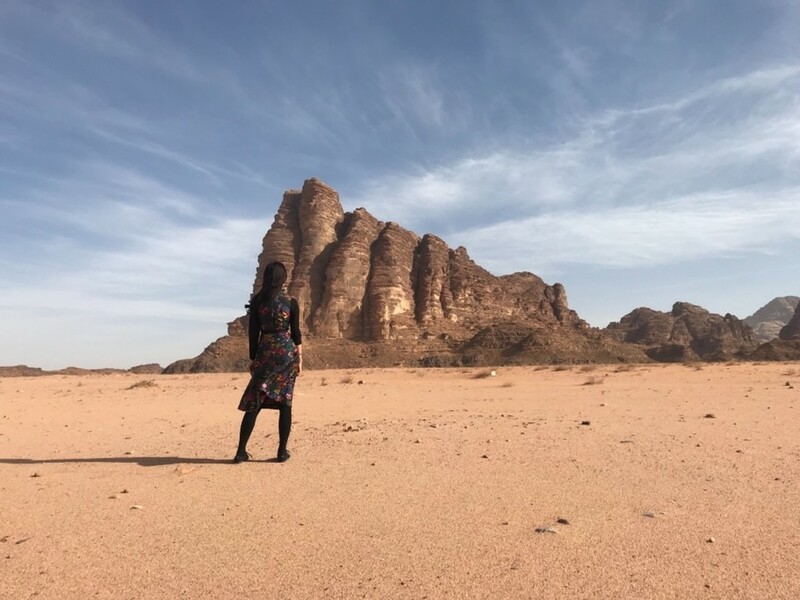 Pick up some luxe skincare products, support a women's weaving initiative, or splurge on a handmade mosaic for your wall and enjoy the lasting memories of your adventure. The guide and car assigned to us for a VIP trip is inferior. Guide has not taken the time to properly guide. He was so rushed and quite annoying. We had an excellent private trip in South America and this one was below standard the guiding etc. 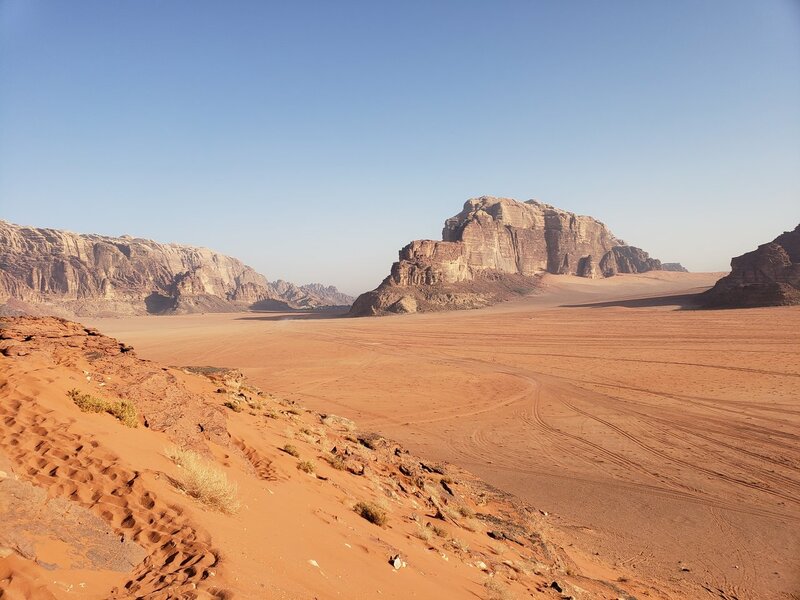 Fortunately Jordan is a great country to visit. Ended with a great trip, and really enjoyed the ride with Akram. Thank you so much! Only room for improvement is a little quicker responses and accuracy on the trip details that were discussed needing correcting. Thank you again! Dear Cheryl, thank you so much for your kind review! I will share this also with our dear Akram! Waiting for you for the next time inshallah! Carmen has been very helpful ! Although There is a little "hiccup " in the beginning of the planning, but at the end was great! The guide: Eddie was not being helpful. I think he is not good for the line of work in the hospitality / service works. He might be good for other kind of works. 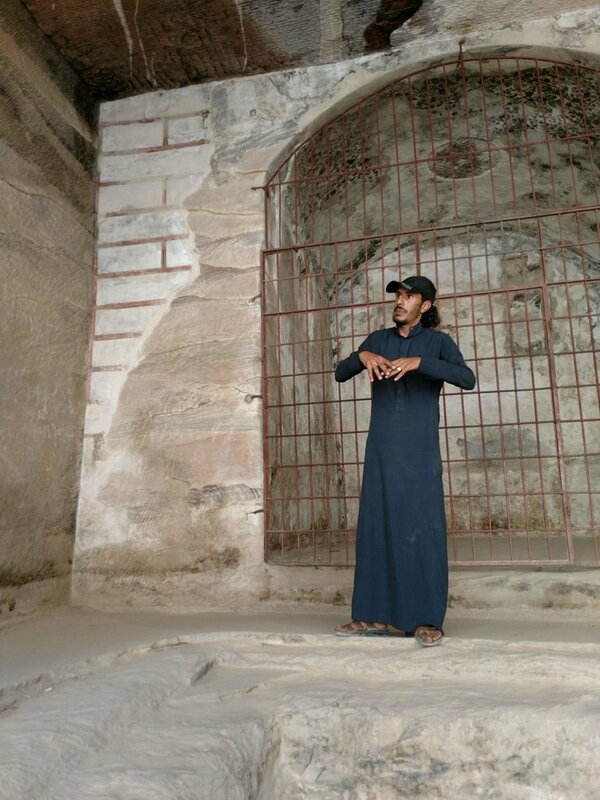 He is impatient, he is annoyed when he has to wait, he doesn't like to take our group picture, he walked all the way in the front while we were enjoying the view , he gave some wrong information about the thing that we saw: There is a big box made in stone , he told us. It was a jewelery box, instead it was a casket, etc. 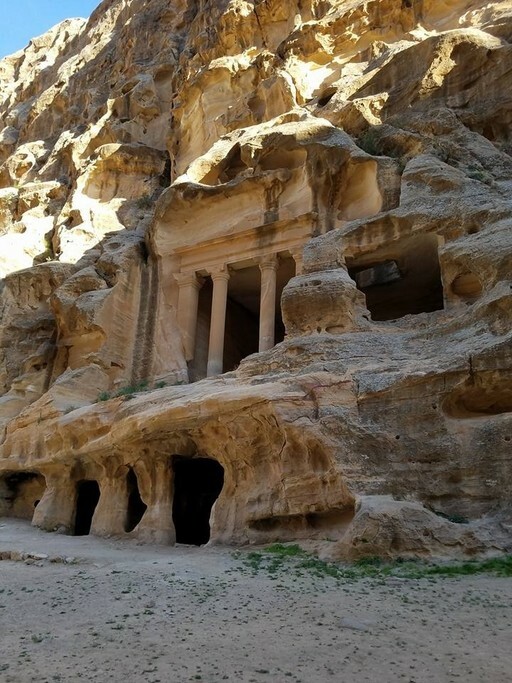 Luckily, Jordan is an incredible place to see, so with our disappointment w our guide , we still had amazing time. I still will recommend Kim Kim travel team to arrange my next travel adventures ! Dear Melchiades, many thanks for your super kind and detailed review, I will take everything into consideration! 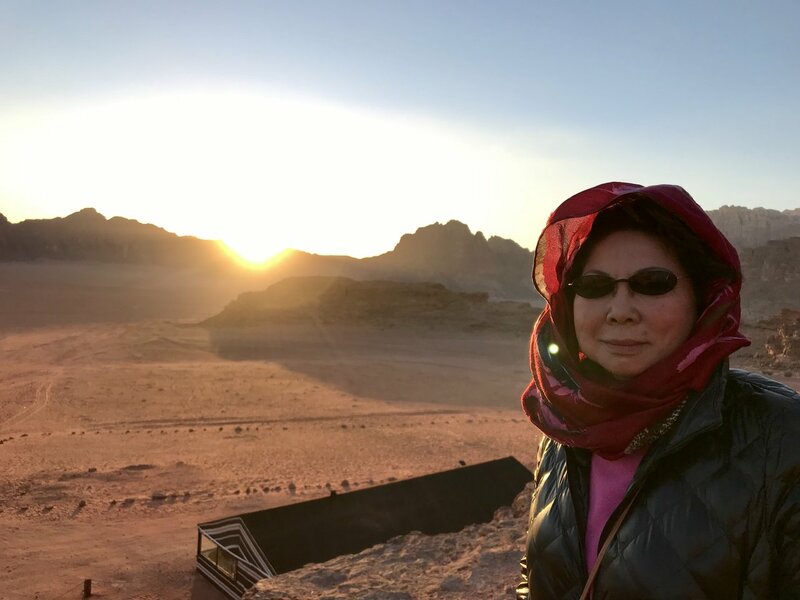 Above all, I am so happy you had a good time in Jordan and that you chose KimKim and in2Jordan to discover all the pearls of this beautiful country, we are waiting for you a second time to even discover more. Ahlan wa sahlan! 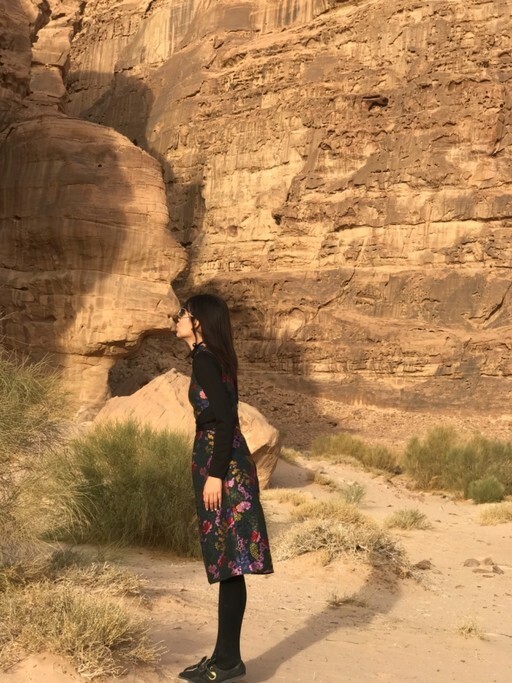 Jordan was very beautiful, enjoyed it very much. Wish our guide Eddy was more helpful . He was very knowledgeable, but rather moody. He gets upset when we were late enjoying Petra. Dear Hwie, thank you for your feedback! 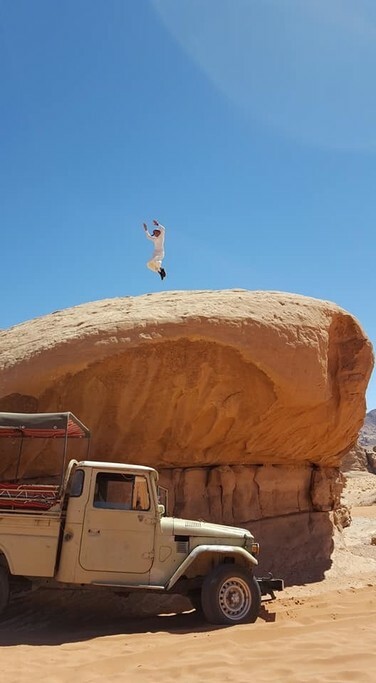 I am s happy you loved beautiful Jordan. I will take into consideration also your feedback about the guide, thank you for your honest opinion! 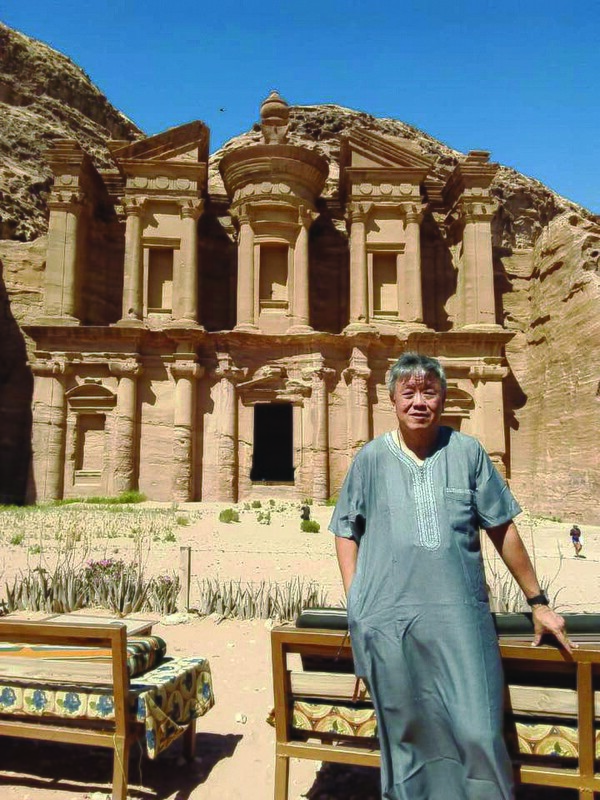 Wish to see you soon back in Jordan ! 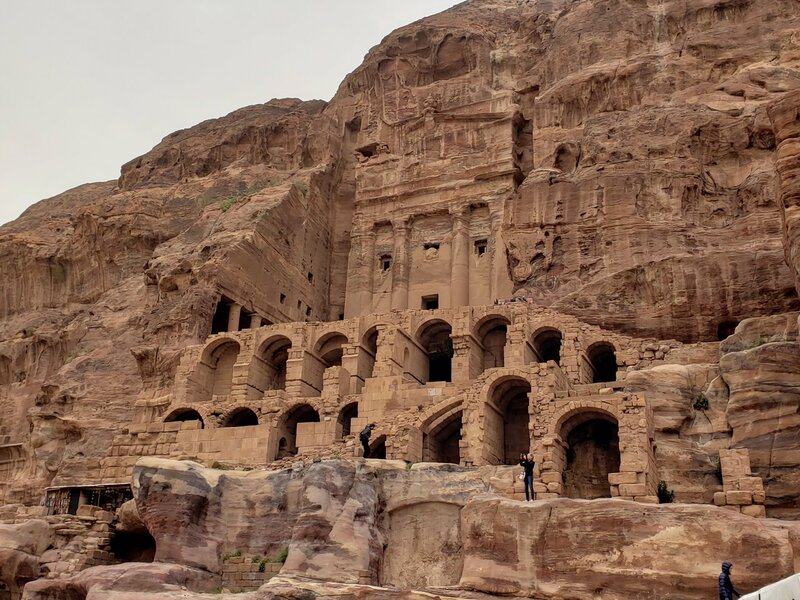 Petra was amazing. We conquered all with a pregnant group memeber and another member with a broken leg! 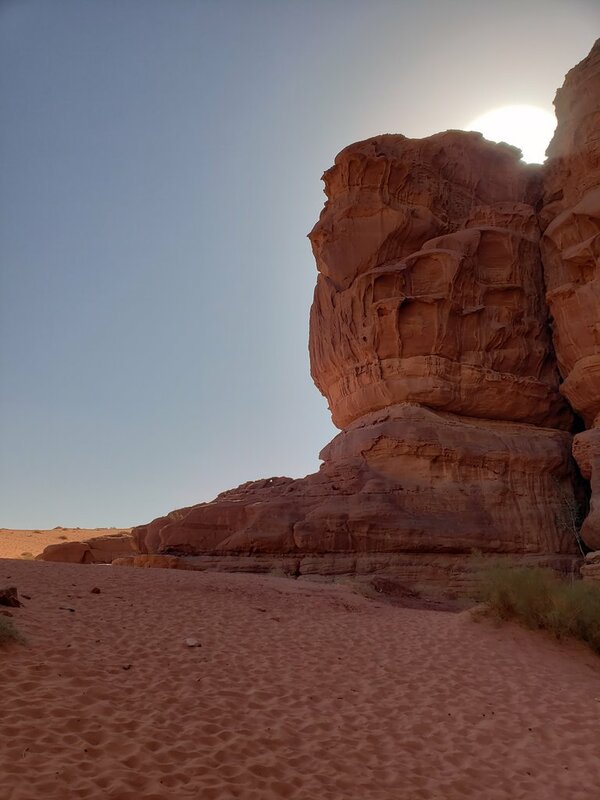 We would have liked to have more time at Wadi Rum as it is so beautiful but we had to rush to keep to schedule. 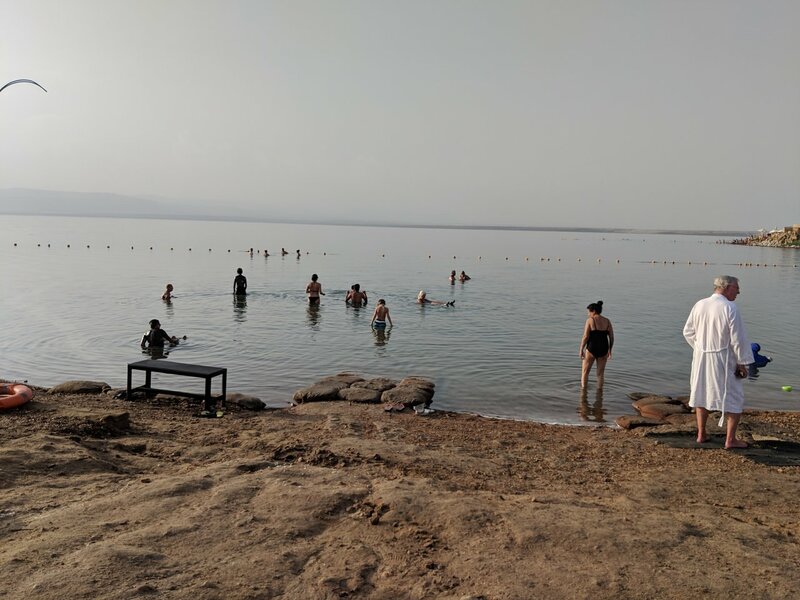 The Dead Sea was beautiful too even if a little cold! 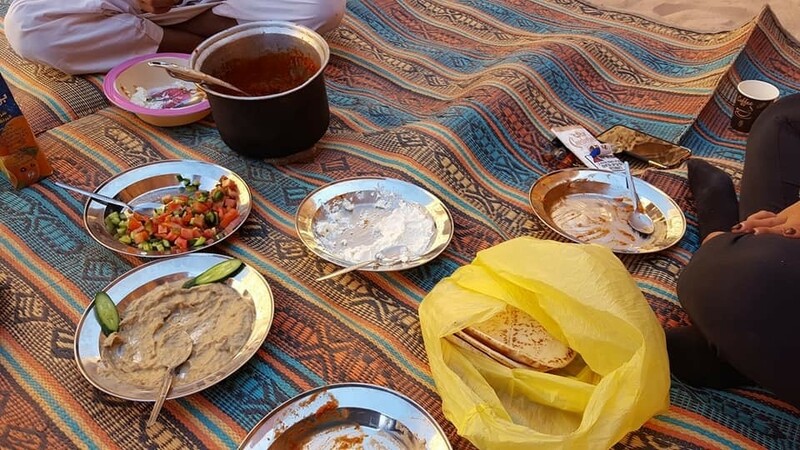 One thing that would have been helpful for our group was to have known that restaurants/healthy food options were limited during the long drives and in some of the towns. Perhaps it makes sense to have hotels prep guests lunchboxes for a fee? Thank you so much for your kind feedback. It was great arranging this last-minute trip for you and I'm happy all worked out with you and your family throughout the trip. The lunchboxes are a great tip, thank you for that! 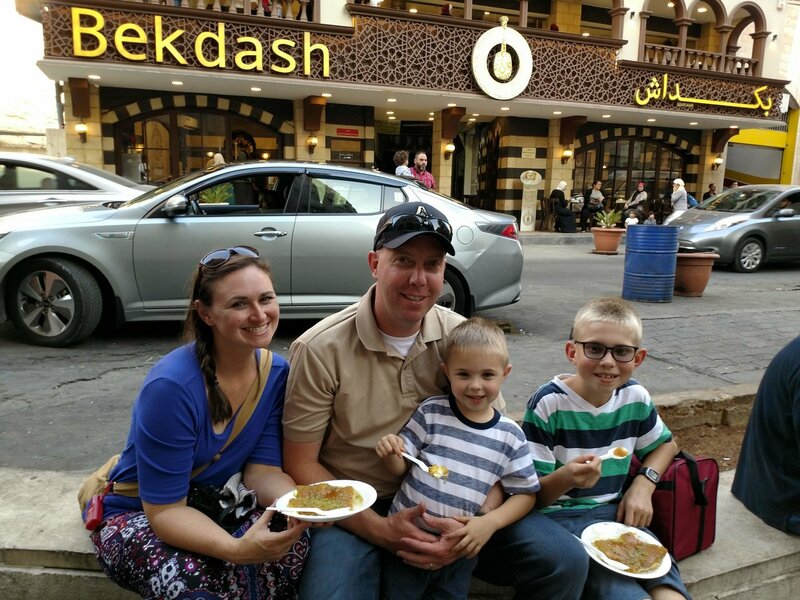 Thank you for traveling via In2Jordan and kimkim and hope to see you back with your future family!! 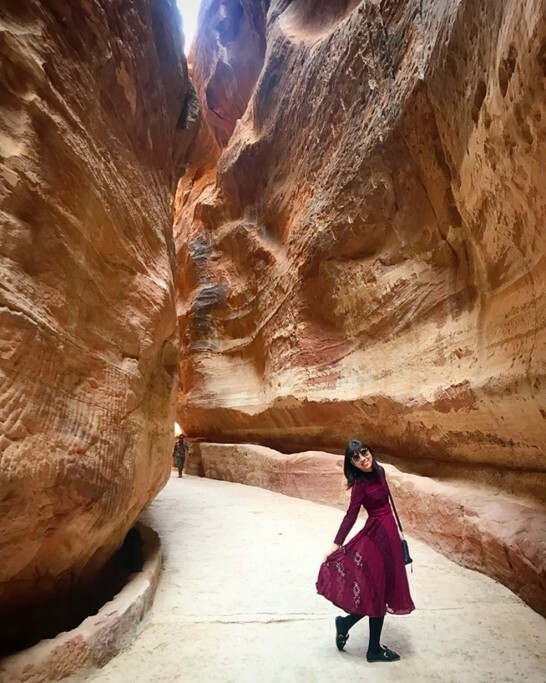 My trip to Jordan was one of the best trips I ever had, from the beginning the web side was very easy to get the information I needed, Carmen the specialist in Jordan helped me get the most of my trip planning and informing me of my best options. 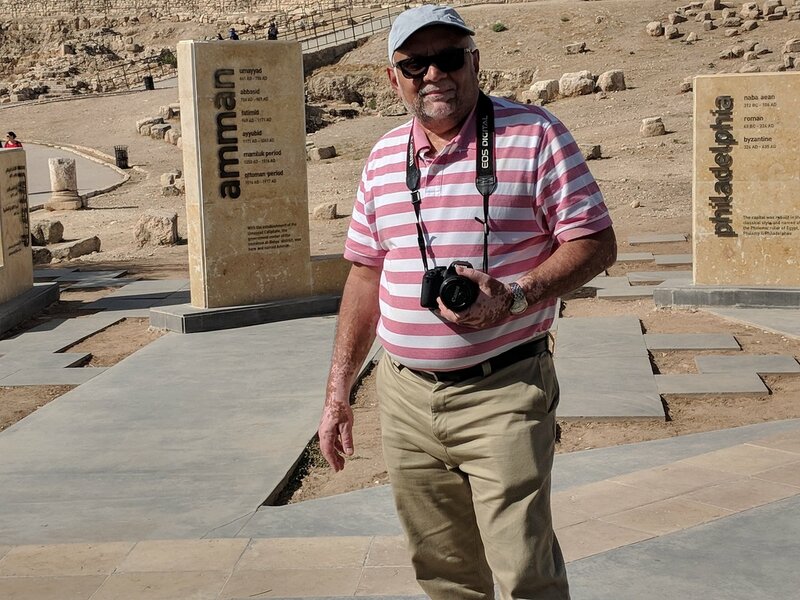 In Amman the driver Mustafa who pick me up at the airport and drove me to Petra was very friendly and helpful during the time he was with me I wish he would have been with me all the time. Wow, what a great feedback! Thank you so much! 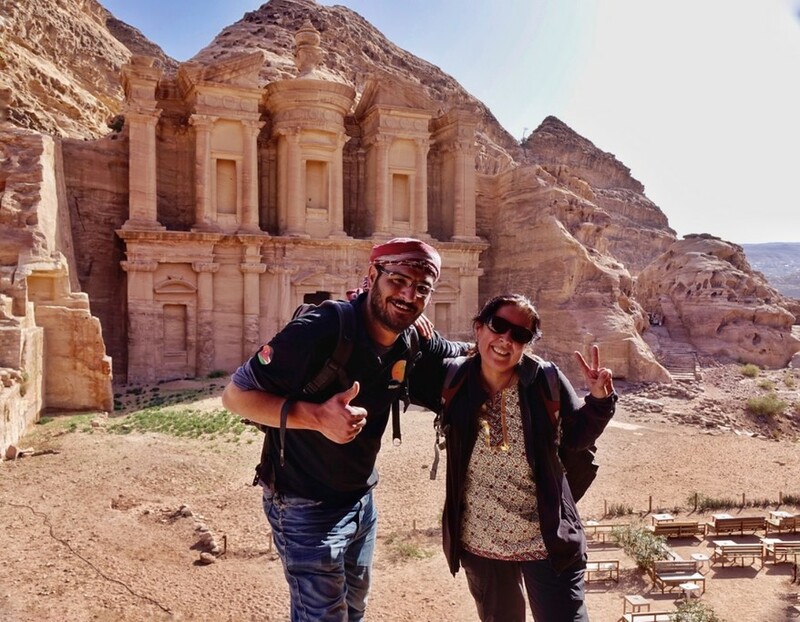 It was my honor to have been contributing to your experience in Jordan!! I'll also share your review with Mustafa. 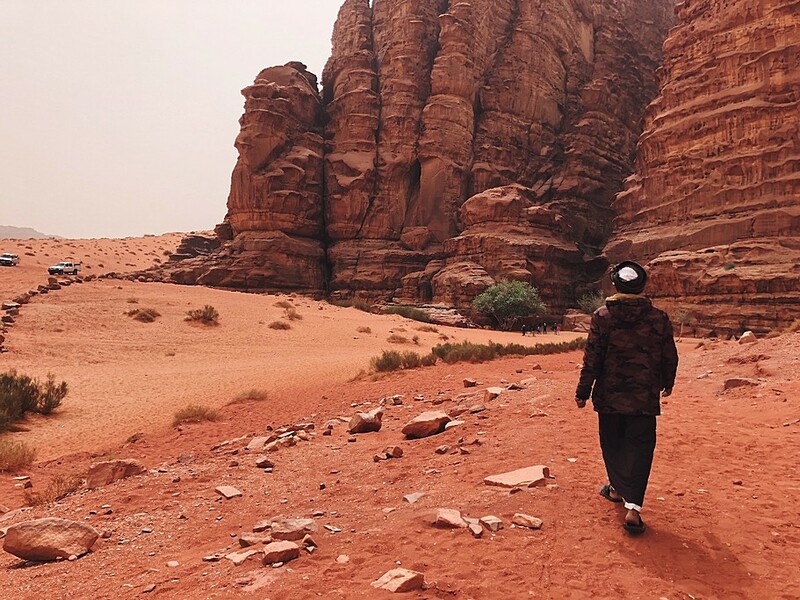 Thank you for traveling with In2Jordan!! 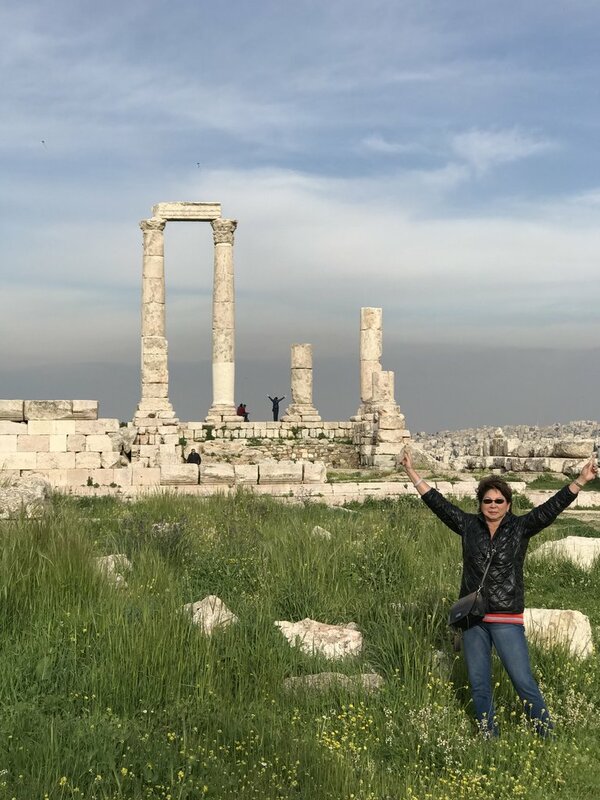 Carmen organized a perfect first trip to Jordan for us, and our driver, Azzam, could not have been a better ambassador for Jordan. We saw and explored wonderous sites and take home with us wonderful memories. The value for money spent was excellent. 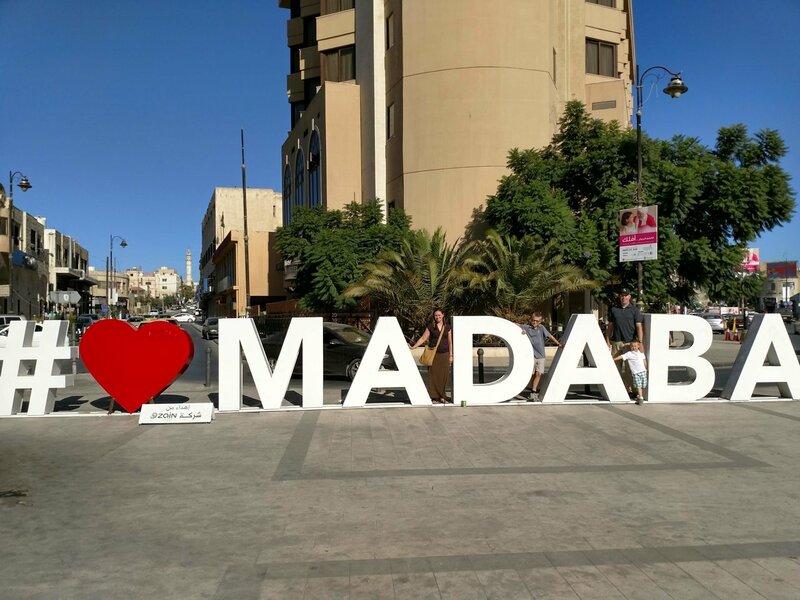 The hotels were good value with the exception of the Grand Hotel in Madba, which was sub standard. We highly recommend Carmen and KimKIm! Thank you so much for your kind review!! It was lovely to have you in Jordan and it's great to hear your kind words. 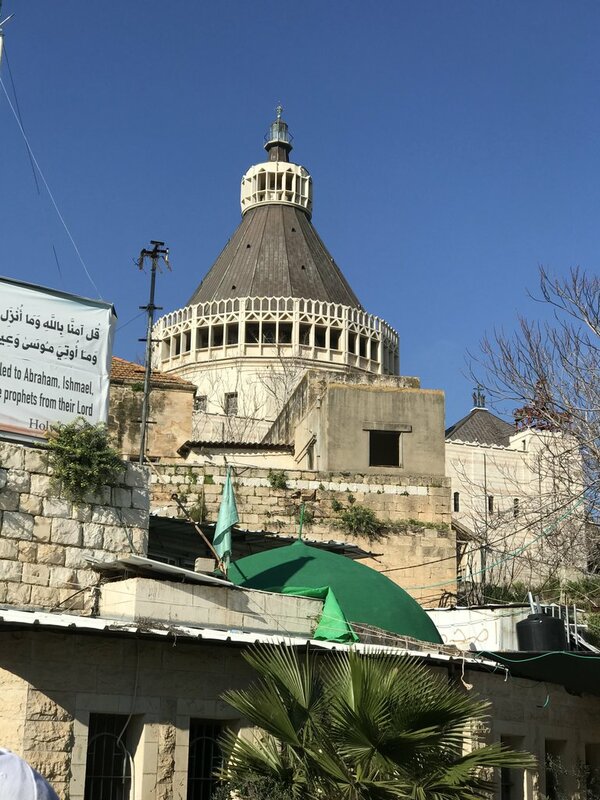 The hotel in Madaba we are not using anymore based on your and others' experiences. Thank you once again for traveling with In2Jordan and Kimkim! We are really glad we booked our trip through KimKim and Carmen. 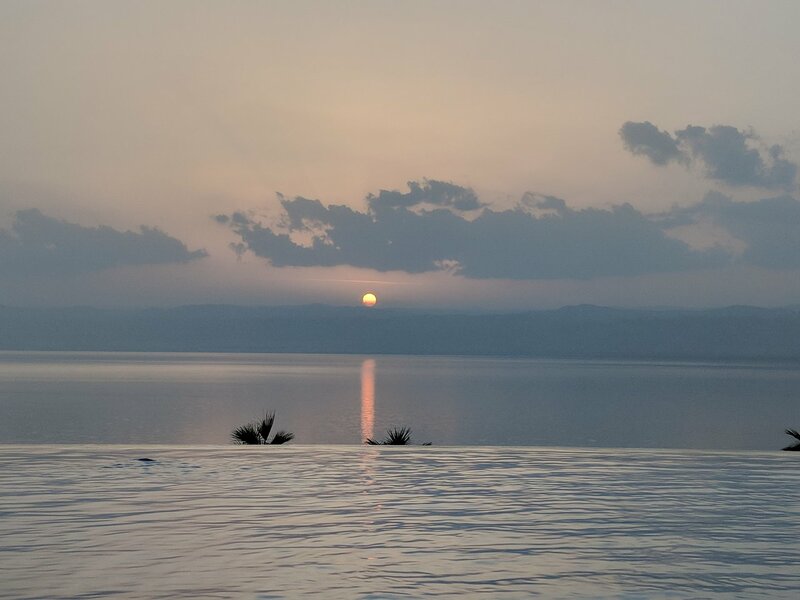 We had a great holiday and enjoyed the interesting experiences Carmen organised that were tailored to our preferences and not just the standard package. 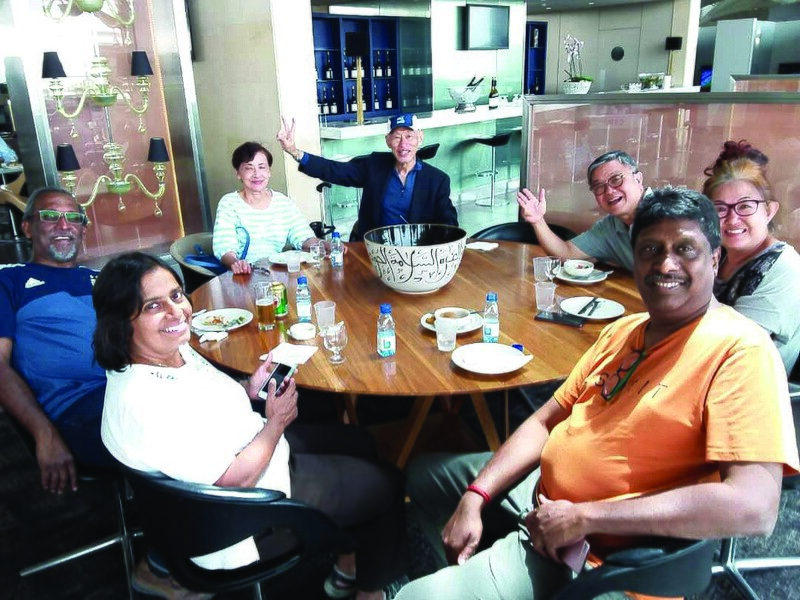 We think having an in-country travel agent who is able to network with the local people and find slightly different experiences and accomodation makes a big difference. 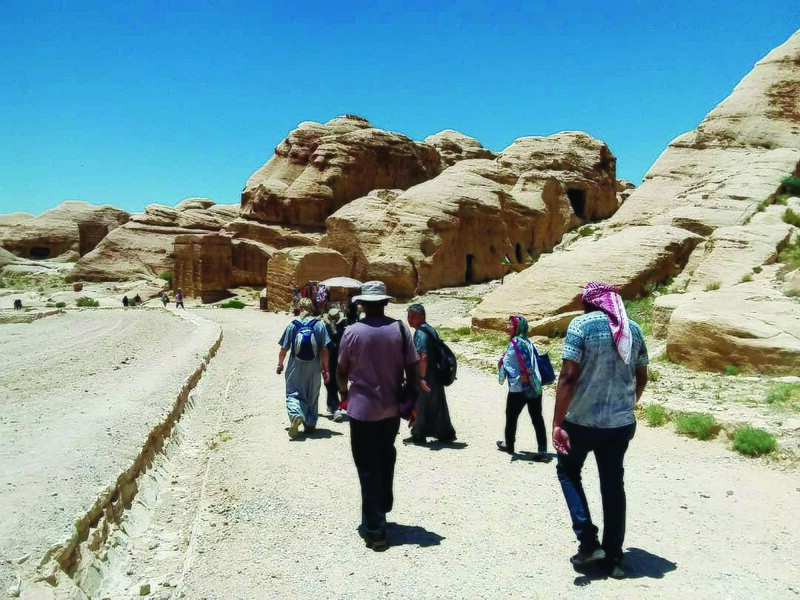 We particualrly enjoyed our trekking and homestay with Eisa in Ajlun and staying with Gail at the Little B&B on the Hll in Petra. Our driver Yahya was very friendly and helpful and had excellent English. The support from Carmen and the ops team was prompt and effective when we had any queries, again we think working with an in-country agency made a difference. 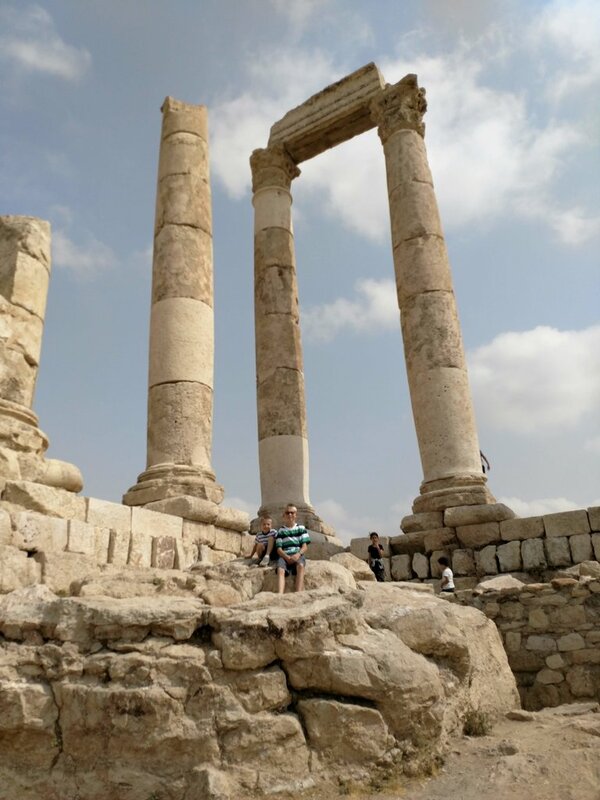 We thought Jerash was fabulous - give yourselves enough time to walk around the whole site, particularly to the north gate as it has some of the best sections of road and column. 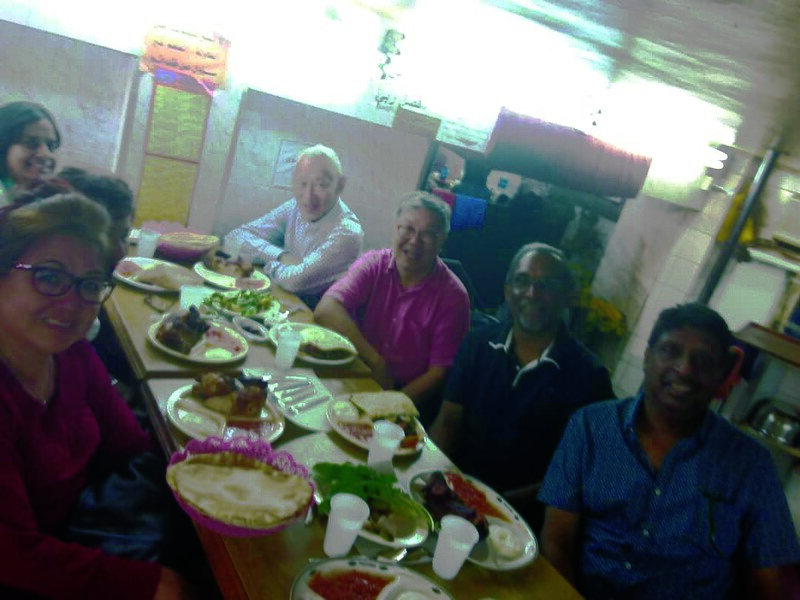 While you're at Jerash we recommend going for lunch at the Lebanese House, it really is rather good. 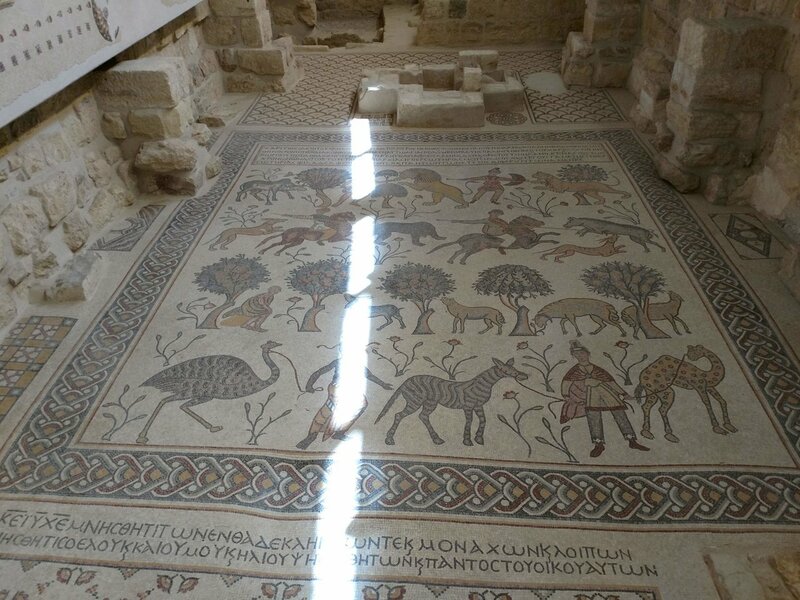 In Madaba take the time to visit some of the other mosaics, don't just do the map and go! 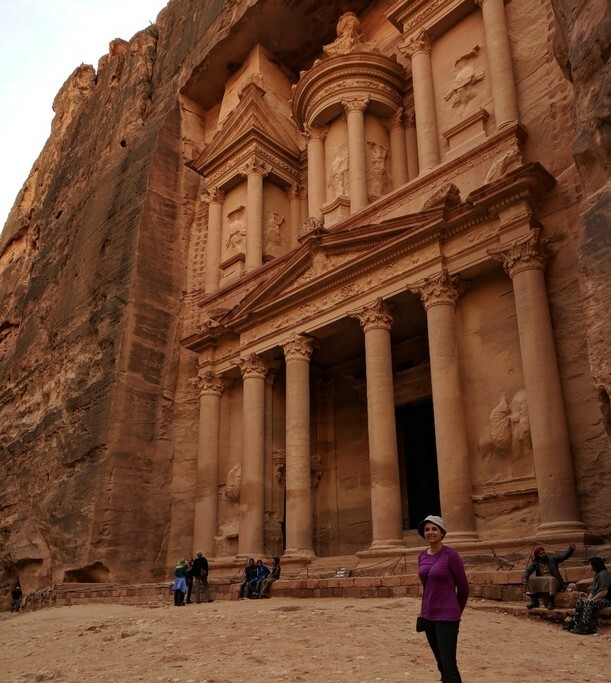 Petra is way more than just the Treasury. 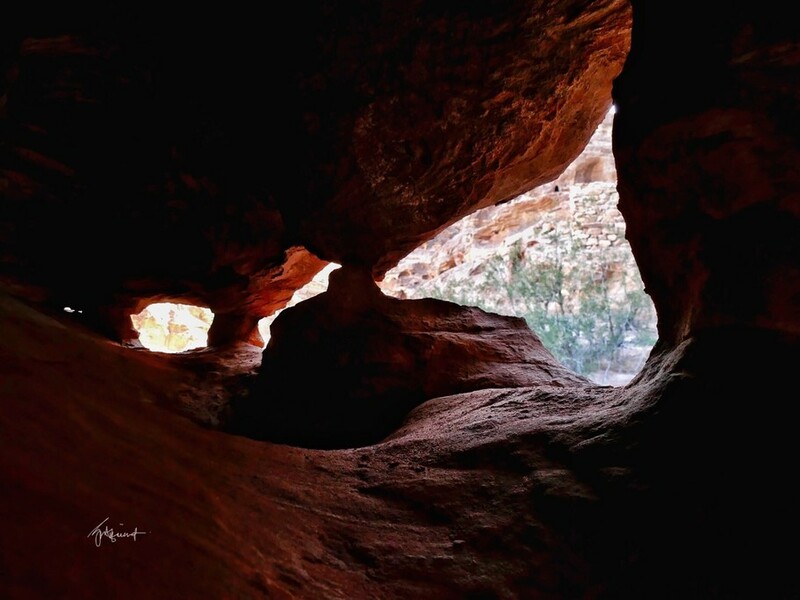 If you take the time to walk around and particularly take the side trail to the Place of High Sacrifice you get to see many more sites and you can go into them, and without the crowds. Thank you very much for your feedback! I'm very pleased that your journey has succeeded and you are satisfied! I'm also happy that you spent your holiday wonderfully. 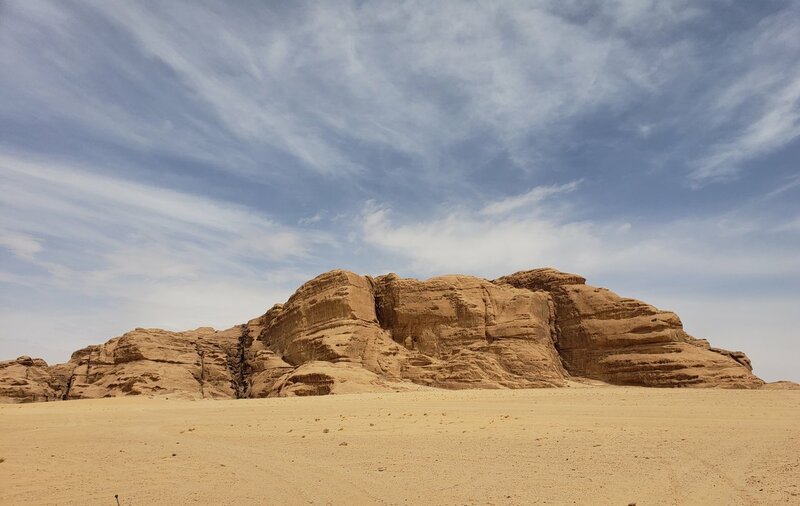 We invite you again to Jordan and you are welcome any time here. 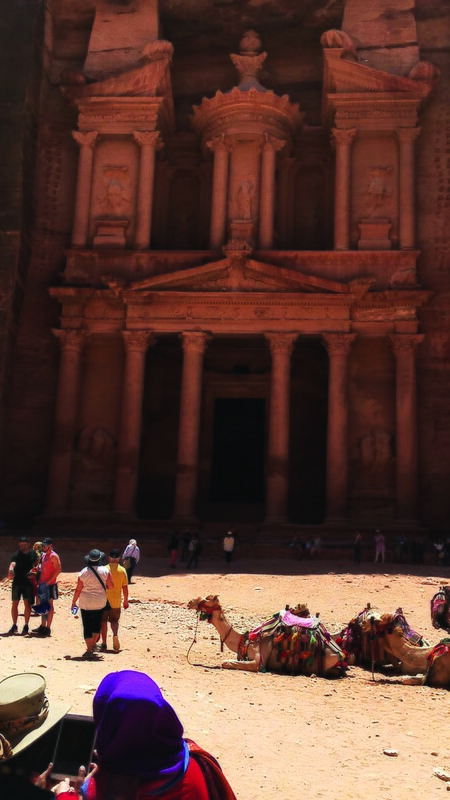 Warm greetings from our entire team in2Jordan Travel Agency! Best wishes also for you! Thank you so much for your kind review! It was great organizing this trip for you. 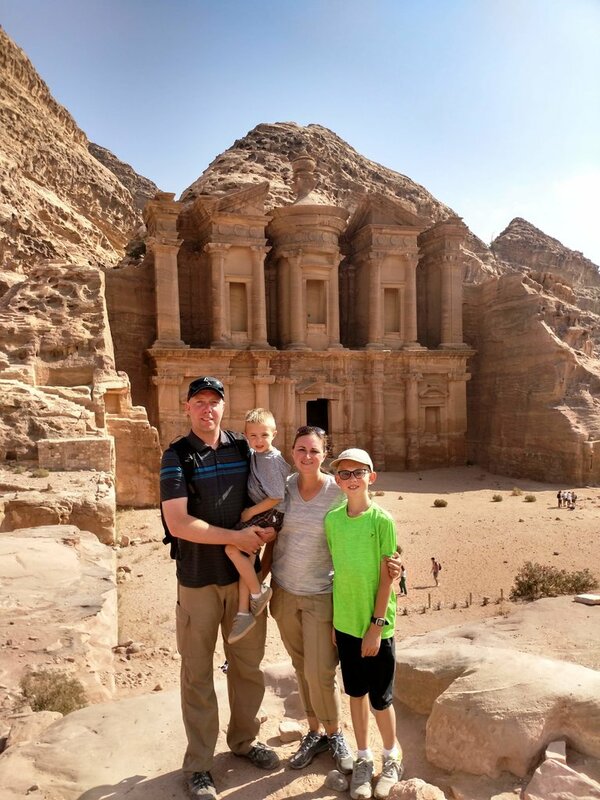 Thank you for traveling with In2Jordan!! 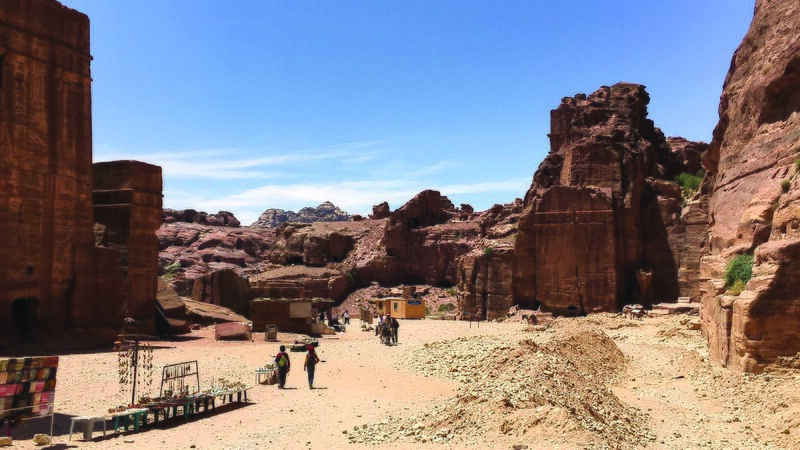 Highlights: Wadi Rum, Jerash; Okay-lights: Petra, Dead Sea, the driver, the hotels; Lowlight: Aqaba. 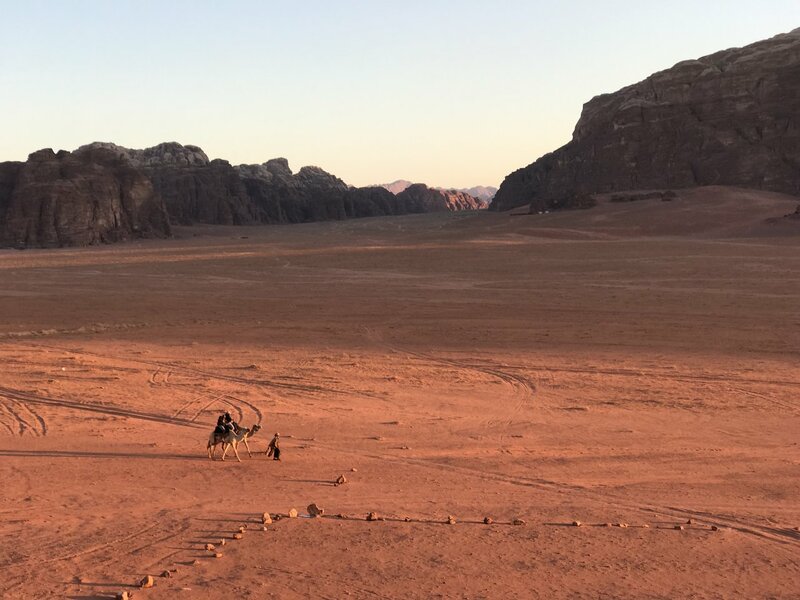 Wadi Rum was by far the main highlight of the trip that absolutely exceeded our expectations. 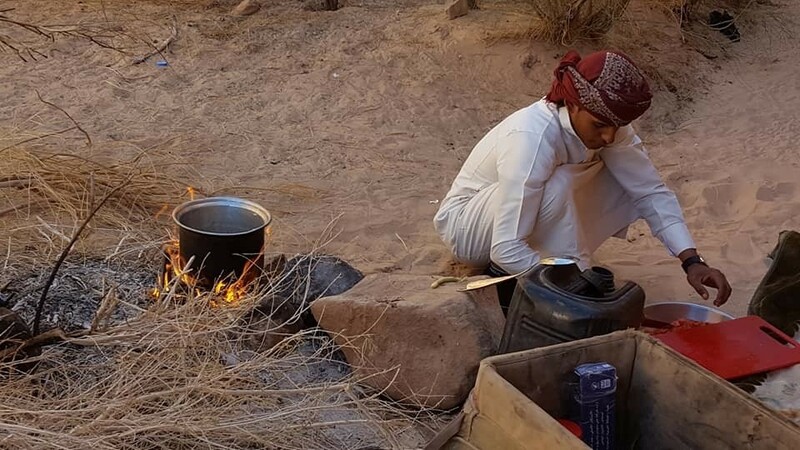 The place is indescribably beautiful, and the Aicha Memories Luxury Camp had the best accommodation and the best food of the entire trip. 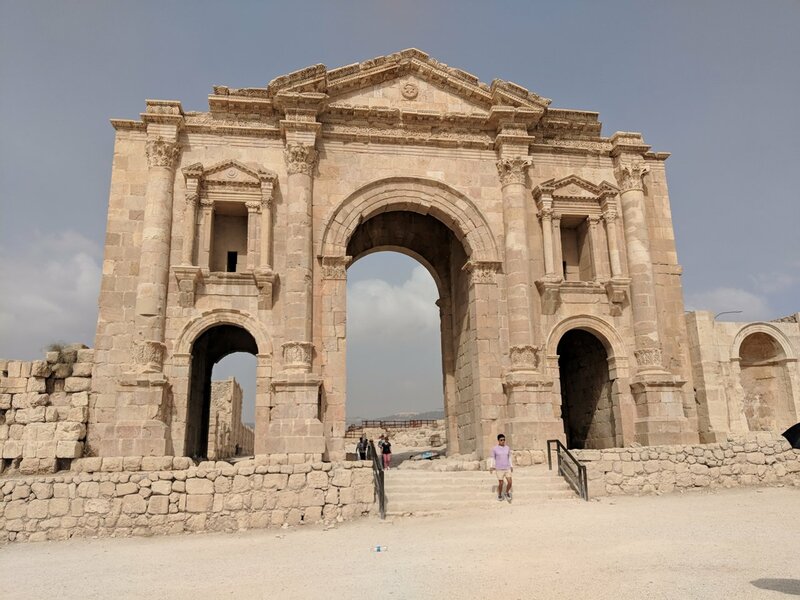 Jerash was the second favourite – quite surprisingly! Azzam was an excellent, professional driver. He was particularly courteous towards the end of the trip. He couldn't answer some of our questions, not sure if it was due to lack of knowledge or lack of English, but generally his service was very good. Usually we drove in complete silence, no talking or music. 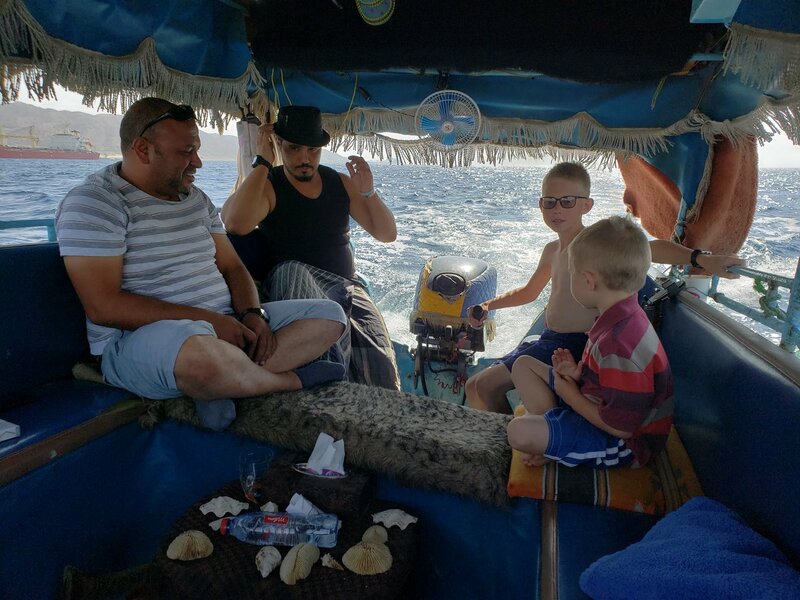 Azzam didn't quite follow the timings and itinerary we were given in Vamoos (e.g. 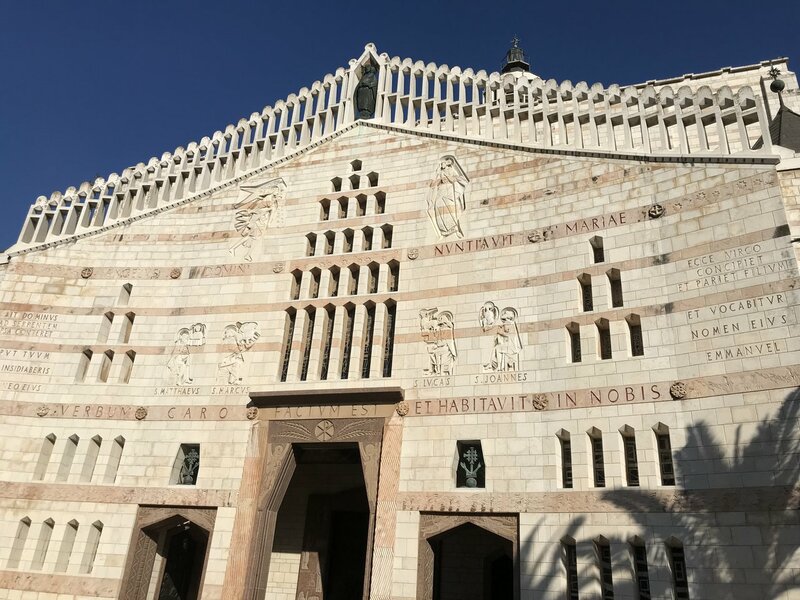 we didn’t go to the Karak castle, but we went to Mount Nebo and a church in Madaba instead), perhaps for the better? I also had to remind Azzam to take us to Hejaz Railway. Overall, we would have liked more information, particularly on things to do and things not to do, and especially when we were left alone. E.g. in Petra – what routes to take, what sights to see, which routes are more (or less) strenuous, is the ride with horses included in the ticket or not (because every Bedouin was shouting a different thing), can we trust the Bedouins to take us up to various viewpoints, how about the camel and the donkey rides, how much should we pay them, etc. 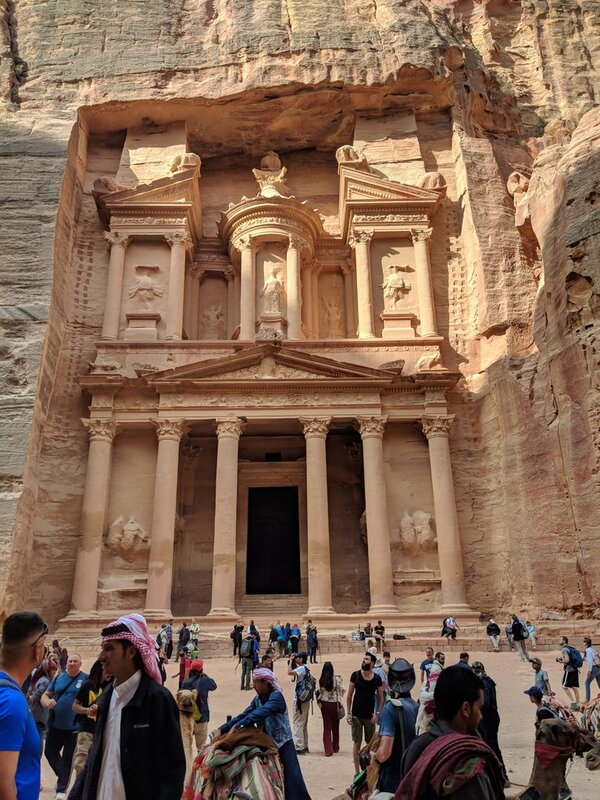 I also only later found out that Petra opens earlier, so it would have been nicer to start the trip earlier to avoid the crowds or perhaps even see the sunrise. 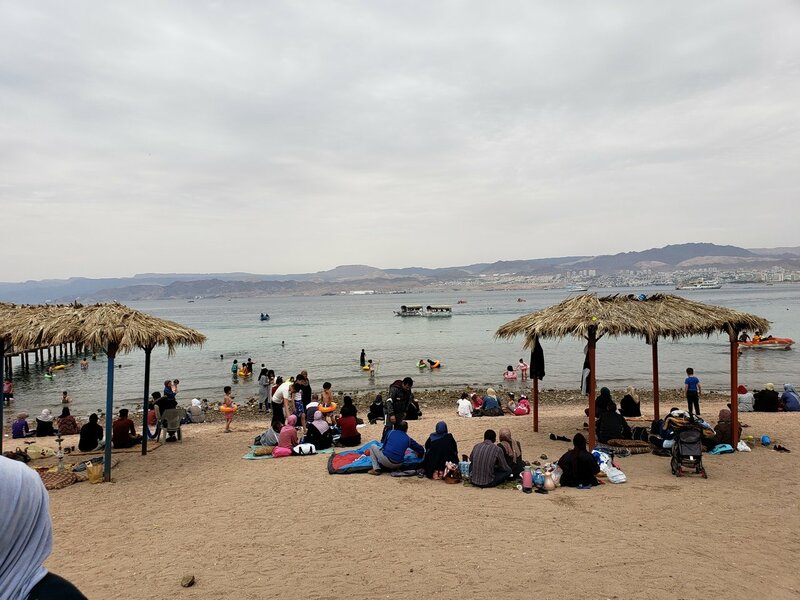 Aqaba was a disaster. When we arrived at noon, we were too late to go on any boat trips that day, and we didn't have enough time to do the trip the following day since we had to leave at noon again. 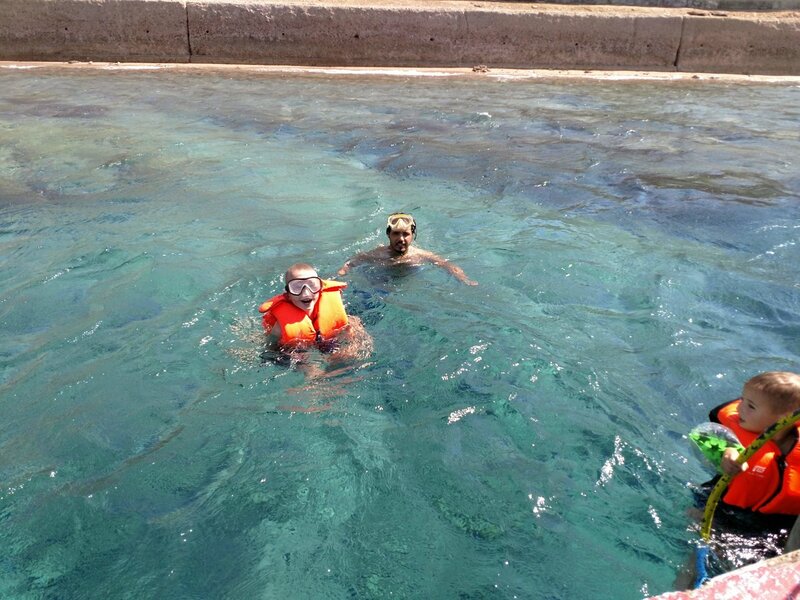 And yet snorkelling was in our itinerary, so I'm not sure how we were meant to fit it in. 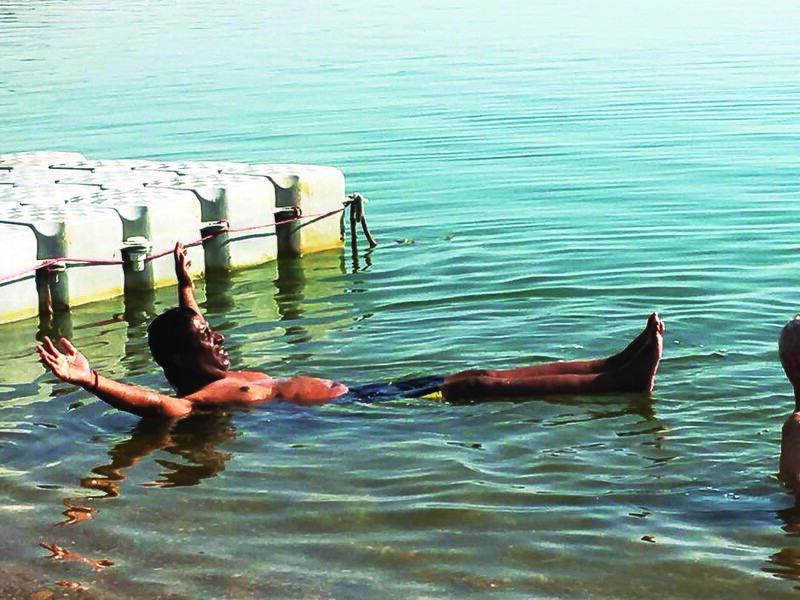 Worse was that we were not advised by In2Jordan that the public beach is not advisable for tourists. We were harassed at the public beach by the locals (note: we were dressed! ), and even after we left the beach 10 minutes after entering, we got followed by two scary local guys for a good half an hour until we finally managed to lose them. 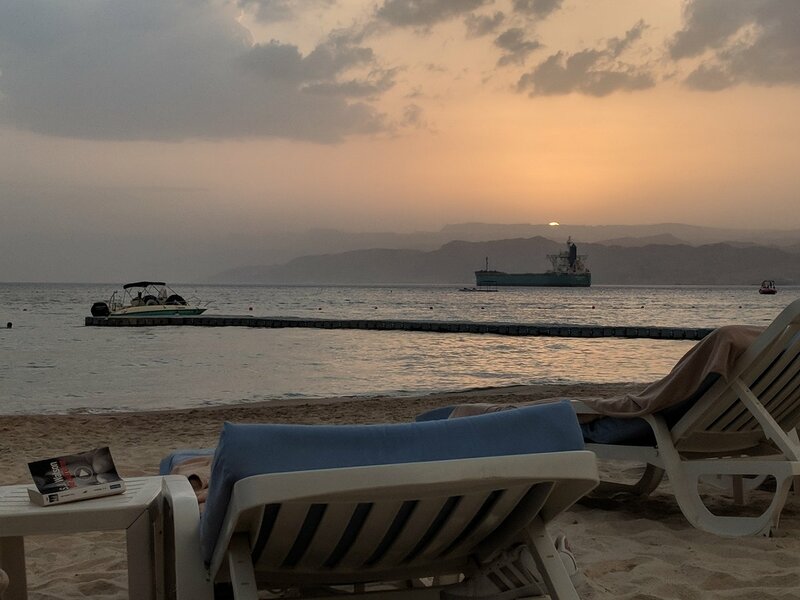 Our hotel told us we could pay extra to enter a private beach of another hotel nearby, but with 1 hour left to sunset, it was not worth it anymore. Surely if the point was to relax by the sea, the agency should have informed us of these crucial details in advance of the trip, i.e. don’t go to the public beach, note the prices of private beaches (or, ideally, book a hotel with a private beach) and note timing of snorkelling trips while planning itinerary. 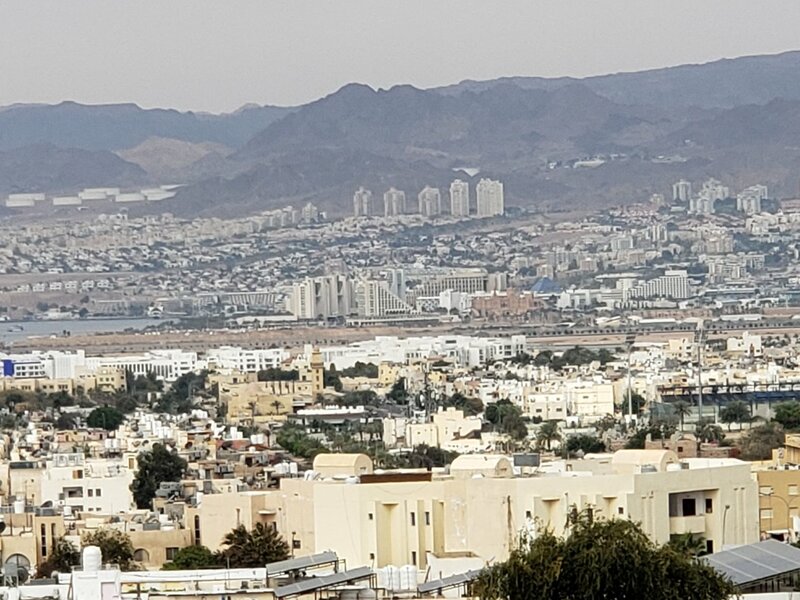 Finally, leaving Aqaba for New Year’s Eve was also a bad idea, since the hotel only had a really badly organised evening with an overpriced buffet where not a single dish was nice, and we didn’t feel too safe going out in the city in the dark. 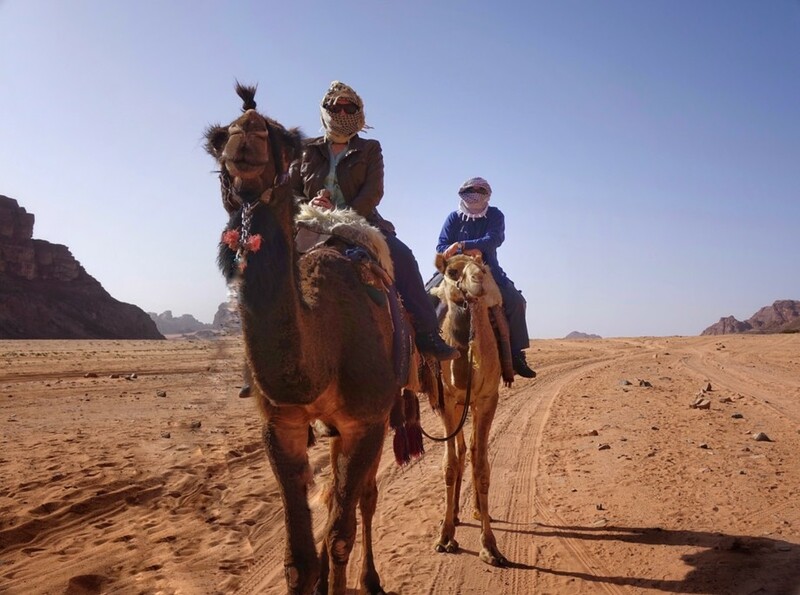 So, it would have been more memorable, had we spent it in Wadi Rum. 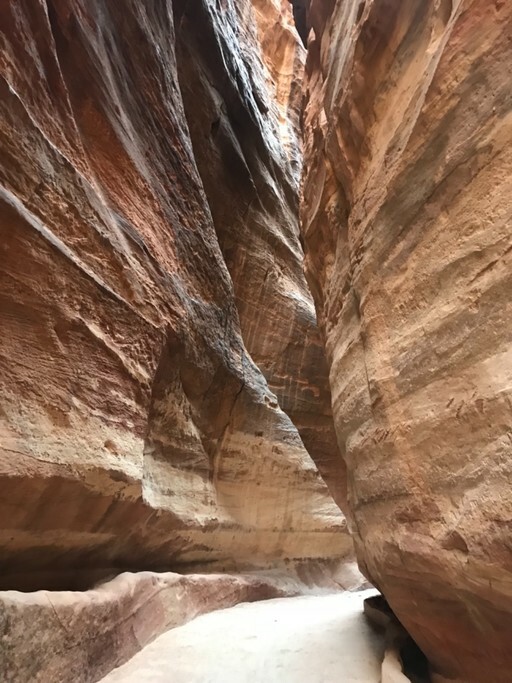 Small note regarding Jordan Pass: I explicitly asked which pass to buy, since the Wanderer (the cheapest) covers 1 day in Petra, and the Explorer – 2 days, and we had 1 afternoon in little Petra and 1 day in “main” Petra in the itinerary. 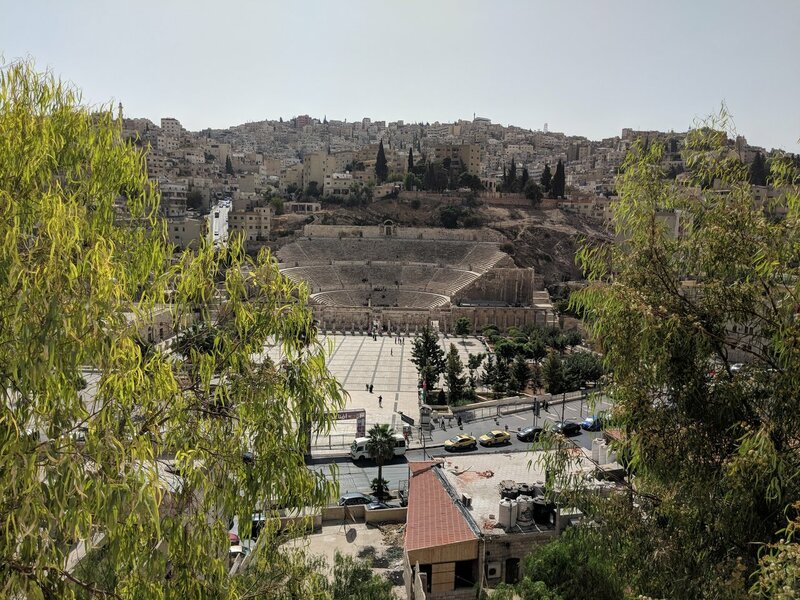 We were advised to get the Jordan Explorer pass, but we could have bought the cheapest pass since little Petra is free of charge… It’s not a huge amount of money, but still, In2Jordan / Carmen should have known better. 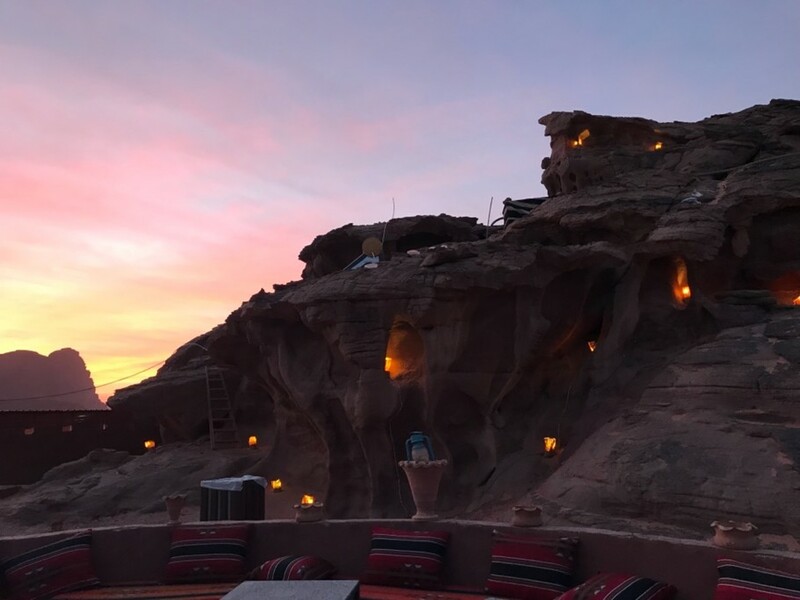 Regarding other hotels: the Hayat Zaman 5* hotel in Petra was very atmospheric and we expected it to be the best, but it was the only hotel in the entire trip without air conditioning or wifi in rooms. 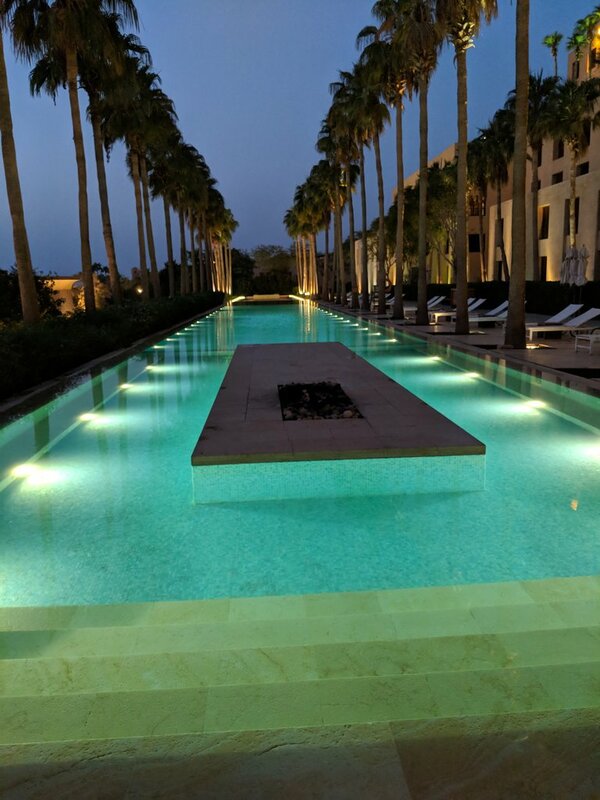 At the reception, they told us about a 24/7 pool, but the pool hadn’t been cleaned or used for months and the whole area was locked; the food was very good though. 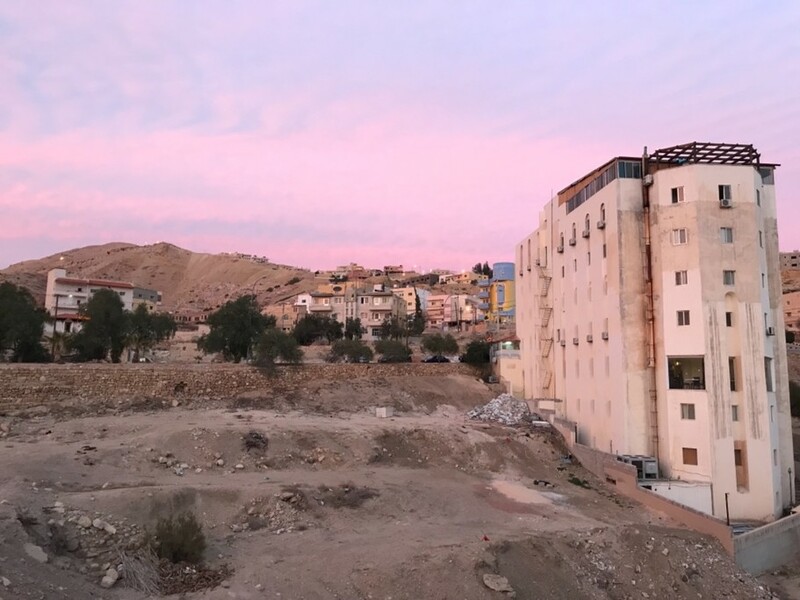 Regarding other accommodation, hotel in Madaba was very poor (looks and food wise), but the staff was lovely and helpful; the Dead Sea hotel was clearly catered for large tourist groups and generally only had bad food. 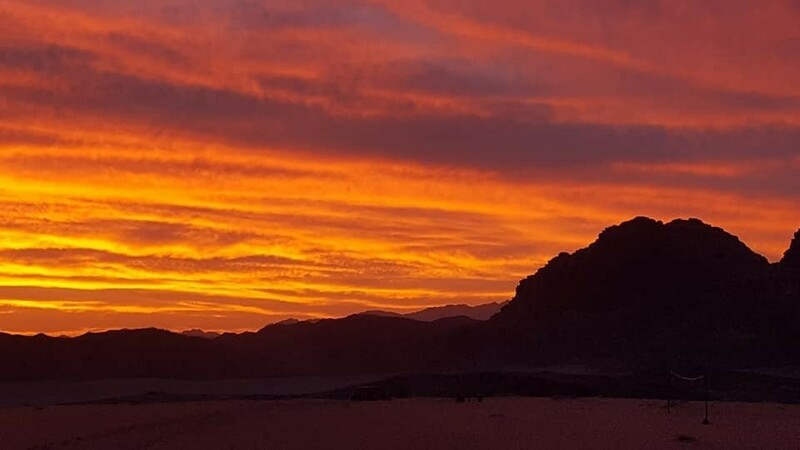 Overall it felt like the itinerary was more suited for large tour groups than a family except for the time we spent in Wadi Rum, and we missed the added value of getting that insider information by booking from a local agency as opposed to doing it ourselves. Still, we enjoyed it greatly, bar the issues I’ve mentioned above that made the trip ever to slightly more tiresome than it needed to be. Thank you so much for your detailed review. This really helps in improving our services. It was a pleasure to create this trip with you and I'll take on your notes on the trip for next customers to come. 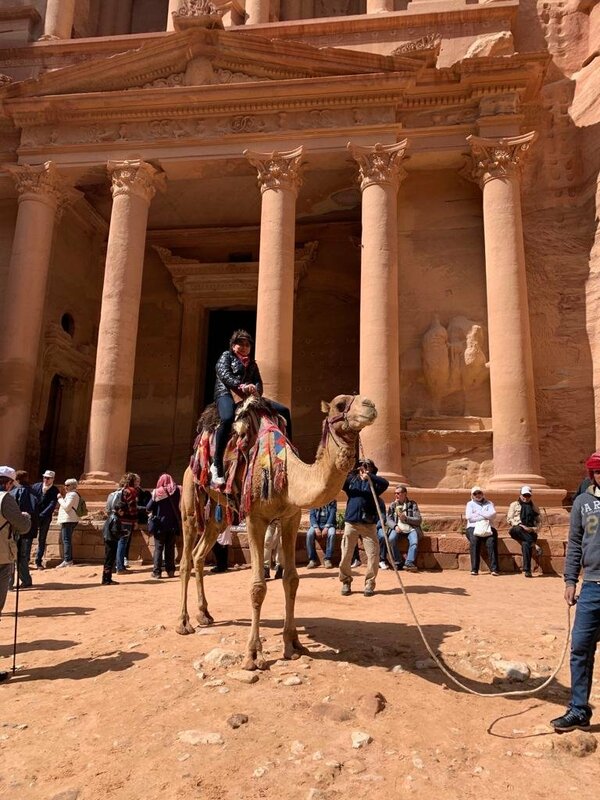 Thank you again for traveling with In2Jordan!! 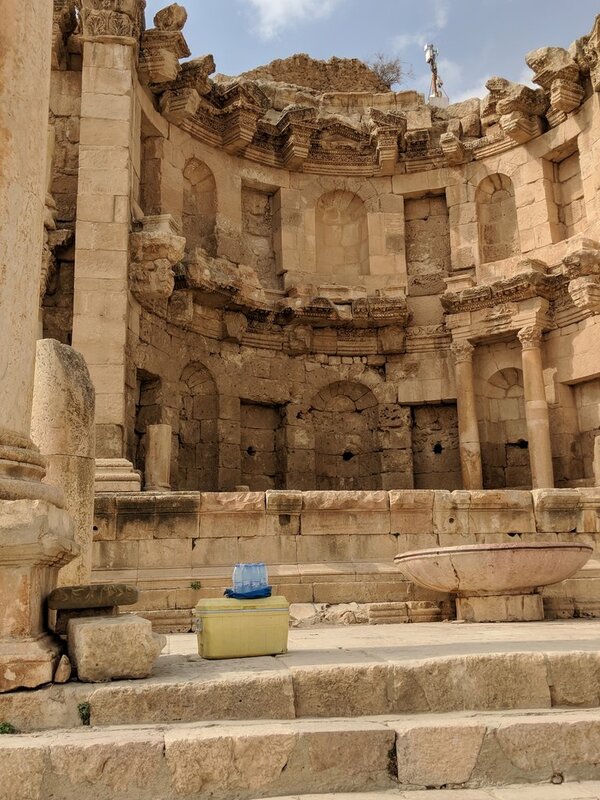 We bought last minute tickets for Jordan, so we did not have time to organize it by ourselves so we decided to pick Carmen as our travel organizer. We only had 3 and a half day and manage to see everything that was our "must do places". 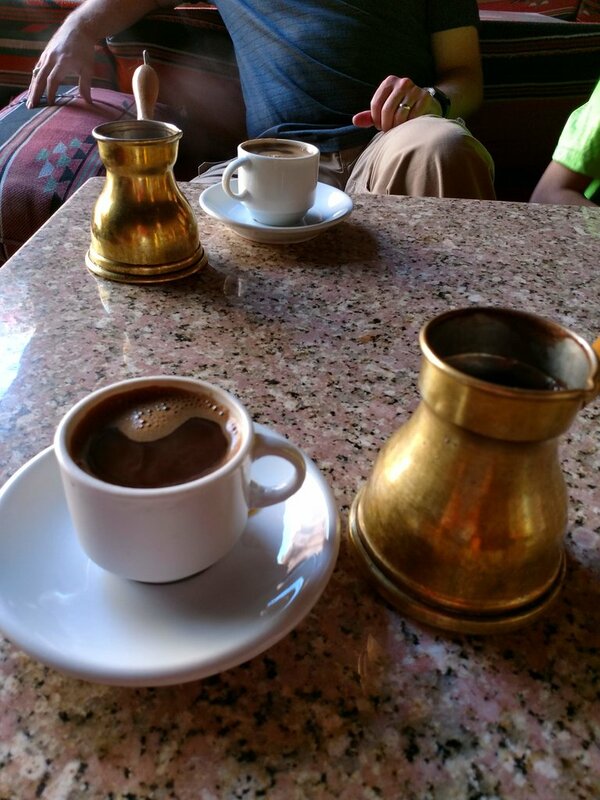 Thanks to our driver Azzam, we did not feel tired at all and were enjoying our stay in Jordan to the fullest! Accommodations were also great and near to the everything. 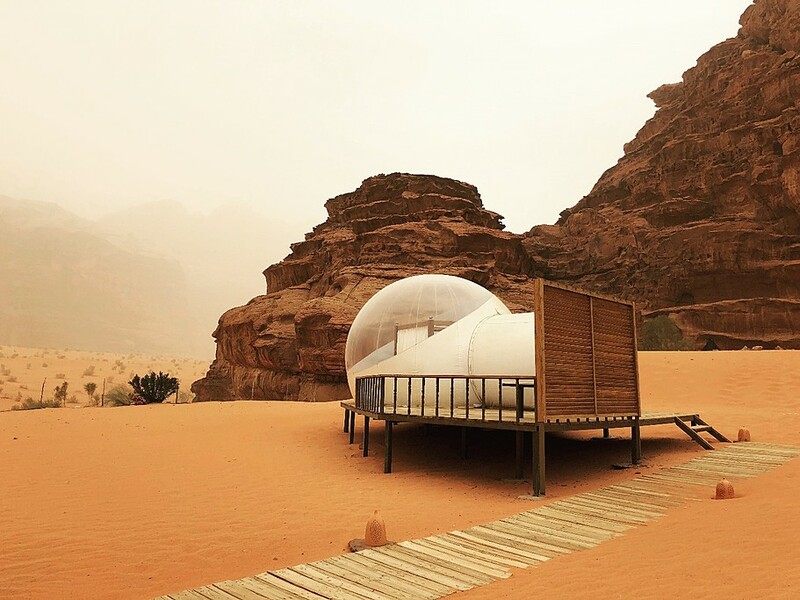 Especially we liked our stay in aisha luxury camp where we went stargazing! And the staff there was also amazing! I would recommend Carmen to everyone who wants more free time on their vacation and for those who dont want to worry how their trip is gonna look like in the end. Thank you so much for your kind review! It was my pleasure to organize the trip for you. I'll also show Azzam this review! 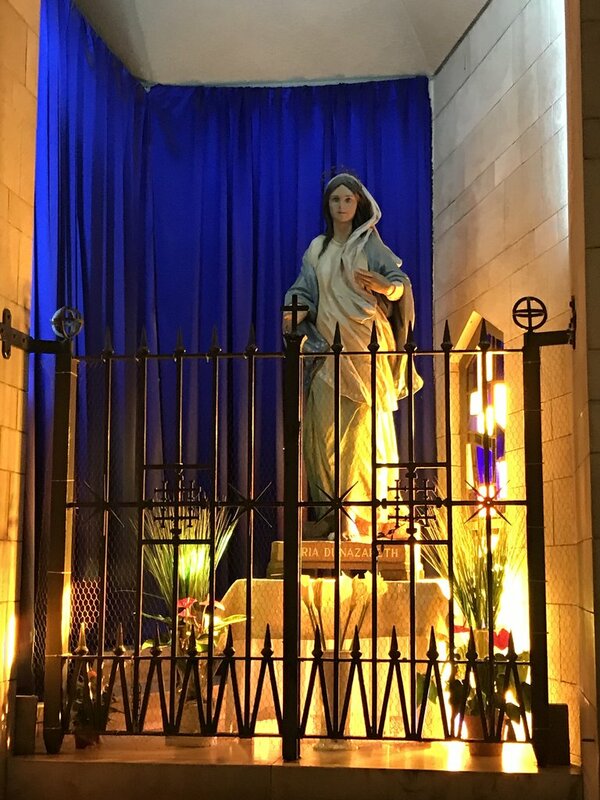 Carmen did a very impressive service in organizing our trip to Jordan. 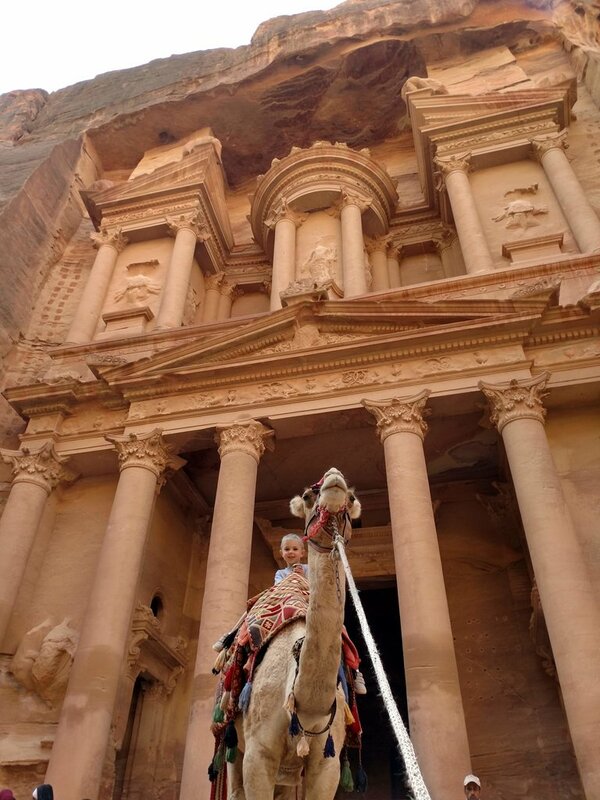 We had a wonderful stay in Jordan because of all her efforts in catering our suggested itineraries. Thanks a lot Carmen. Thank you so much for your kind review. It was my pleasure to organize this trip for you. I've also passed on your great words for Hakam to him. 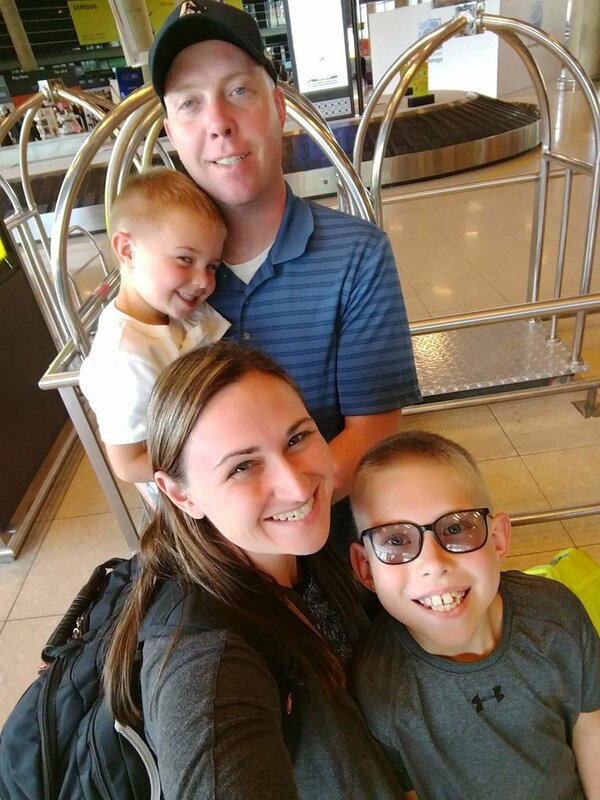 Carmen set up a trip of a lifetime for our family. We were impressed with every aspect of our journey. 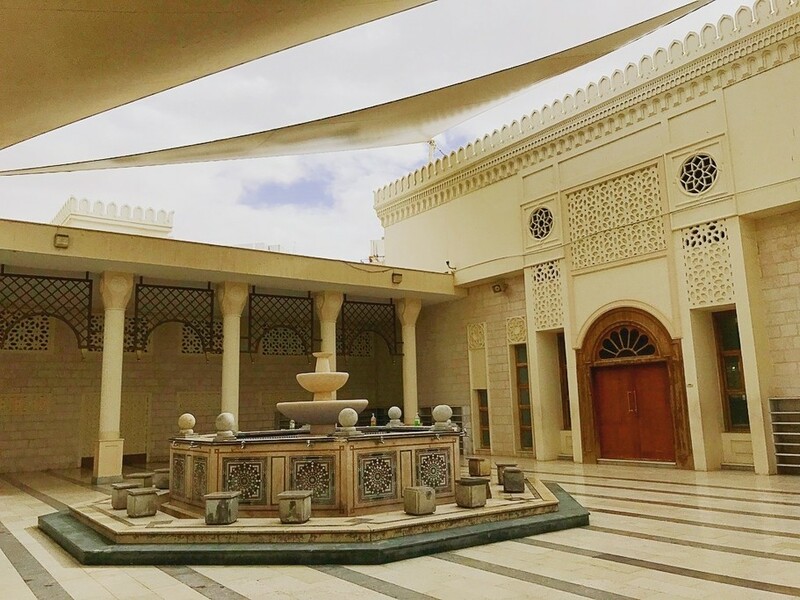 From our driver, hotel rooms, and general itinerary - all of it was superb. 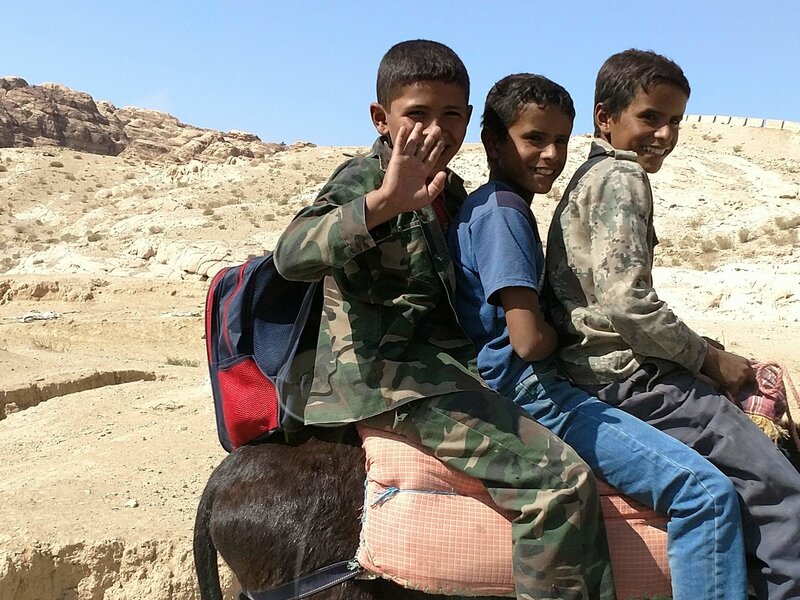 Our driver (Haitham Shaltoot) was way more than just a driver. 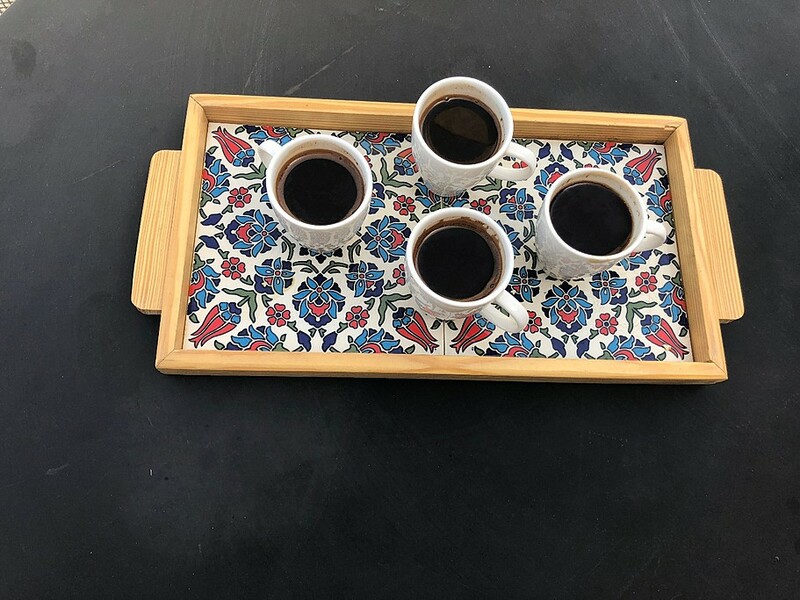 Immediately upon greeting us at the airport he was asking us our likes and dislikes for food, and what we expected from our visit to Jordan. 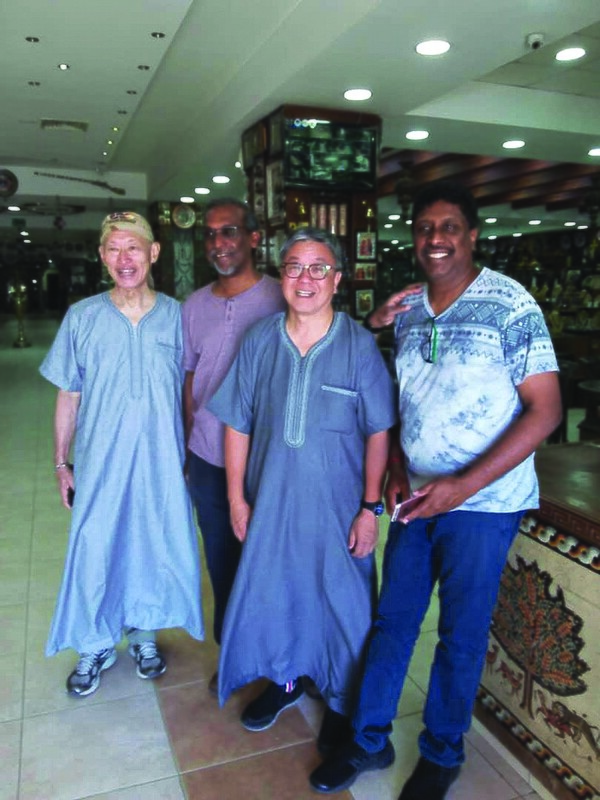 He became our driver, cultural adviser, and tour guide. Without Haitham our trip would have been great, but with him our trip turned into something special that we will always remember. He was great with both of our boys (5 and 10), and ensured that they were always included. We were all saddened to say goodbye to him at the airport on our last day - he had become part of the family. 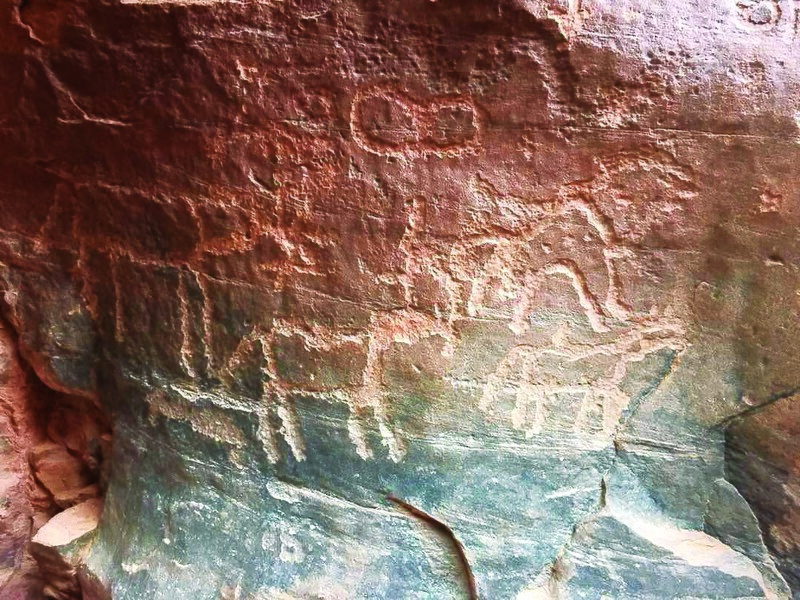 We met a tremendous guide at Little Petra (Qassim Mohammad). 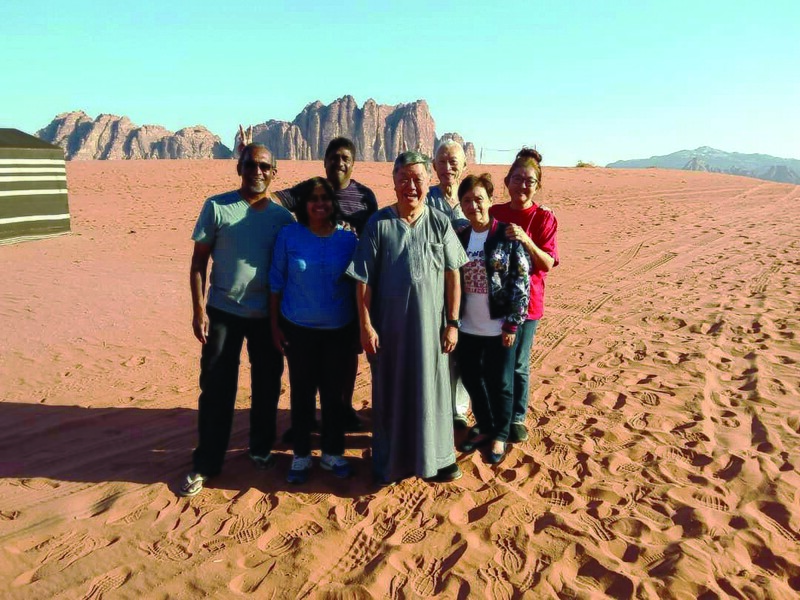 Qassim led us through Little Petra and we were so impressed that we asked him to lead us through the desert to the Monastery at Petra. 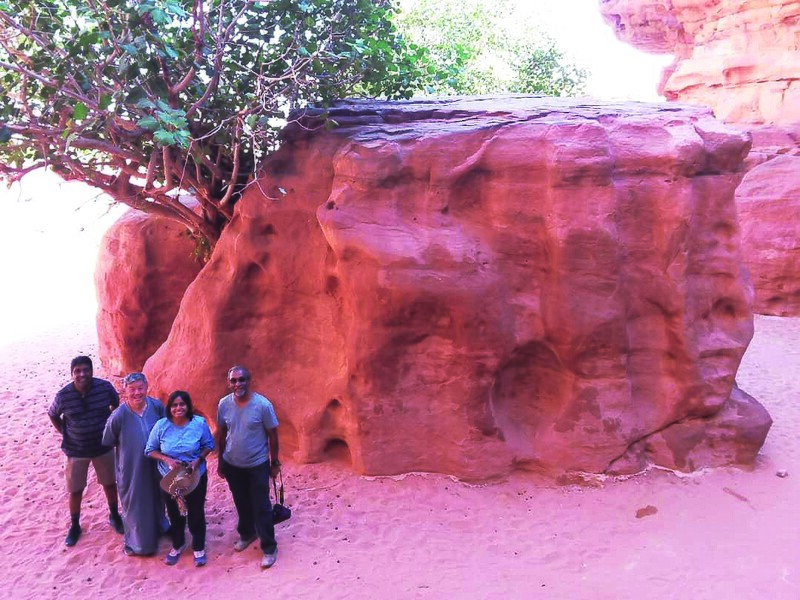 Qassim not only led us to the Monastery, but he also explained all of the wildlife and vegetation along our journey. 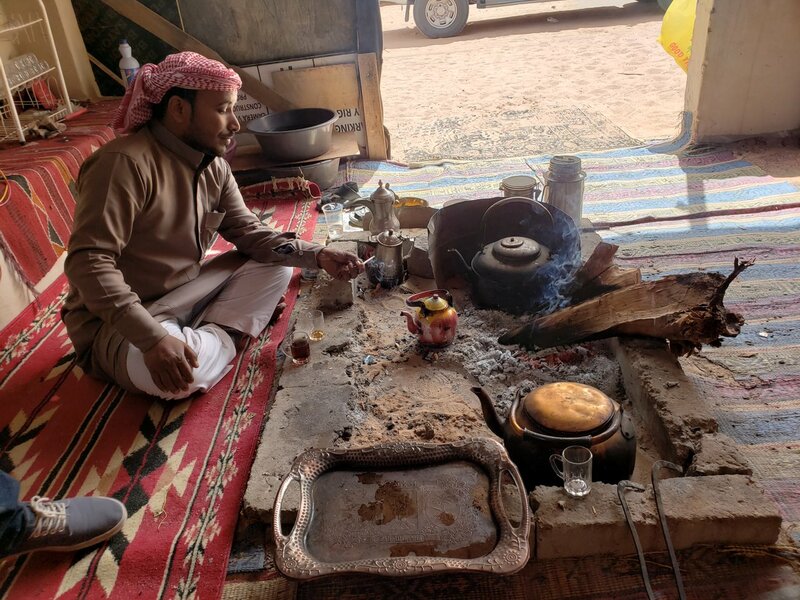 We all learned a great deal from Quassim specifically about the Bedouin way of life. 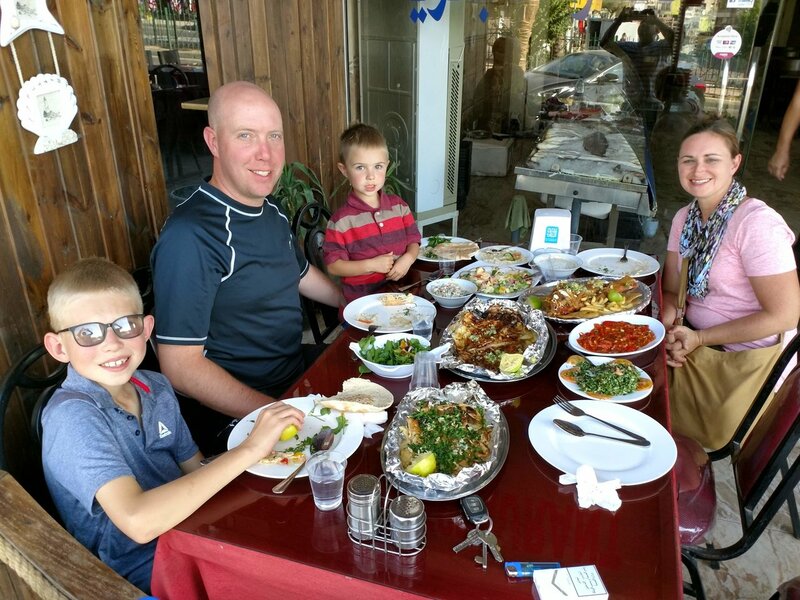 He got along so well with our children that he invited us over for dinner after our visit to Petra. 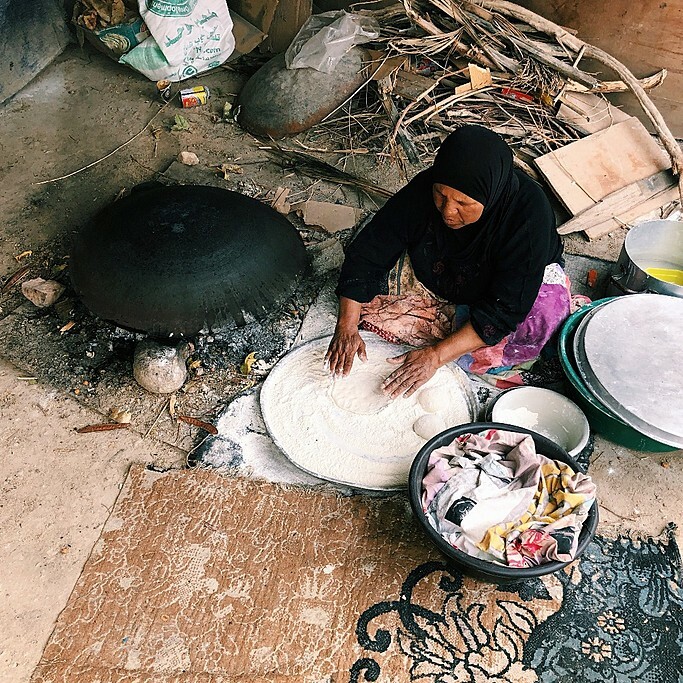 His whole family showed us tremendous hospitality and my wife was able to get the experience of our dreams - learning how to cook Arab food from an Arab woman. I cannot recommend Carmen enough - you cannot go wrong working with her. Thank you so so much for this nice review and all the lovely pictures!! It was great to have you guys in the country traveling with us. 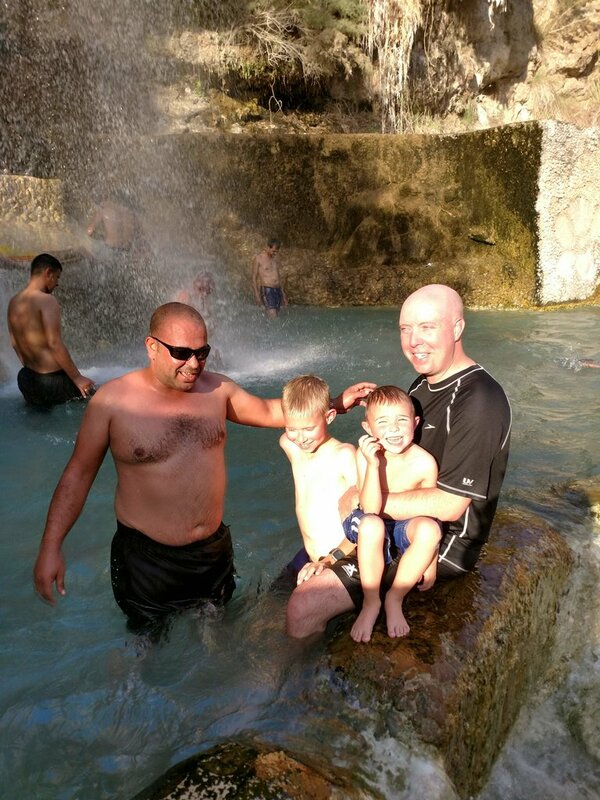 Jordan is a great destination for families, everyone is so kind to children. I will pass on your nice words to all the guides and drivers involved, they'll be delighted to hear this! Thank you for traveling with In2Jordan and Kimkim!! 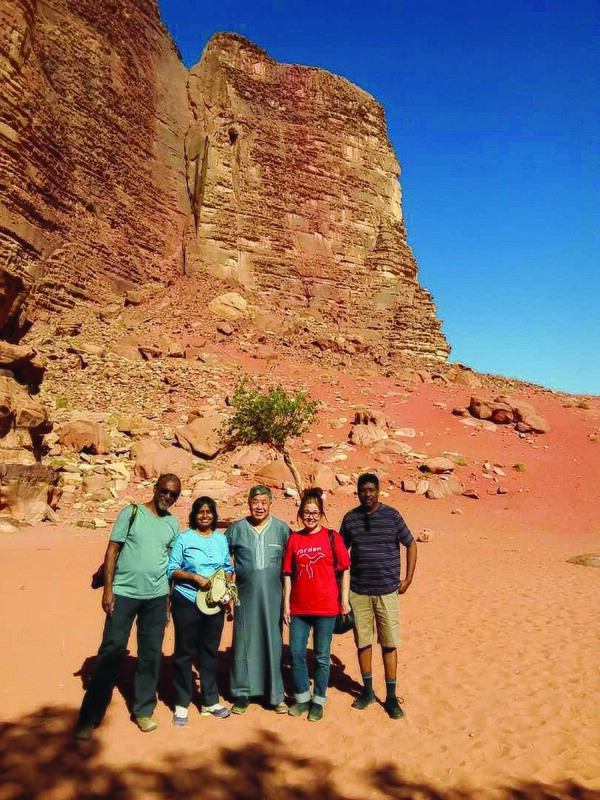 Everything was great especially our wonderful driver Mohammad who was very informative about the areas we were visiting as well as Jordan in general. 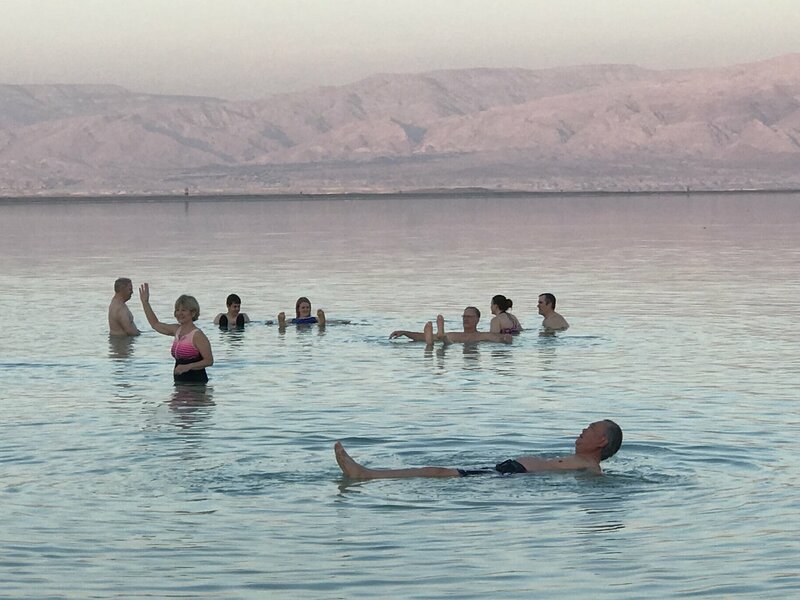 We would have liked a bit more time at the dead sea as we arrived at 230 pm and left at 8am the next day. 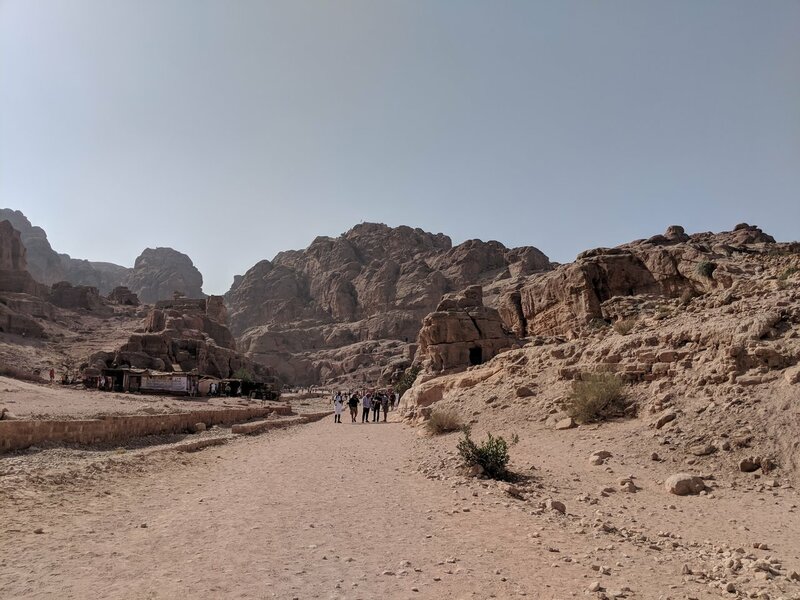 It was a wonderful experience except for our hotel in Petra , the Candles hotel is an absolute dump. We were initially given a room I wouldn't have housed a dog in and the replacement was much better but still way below the standard expected. 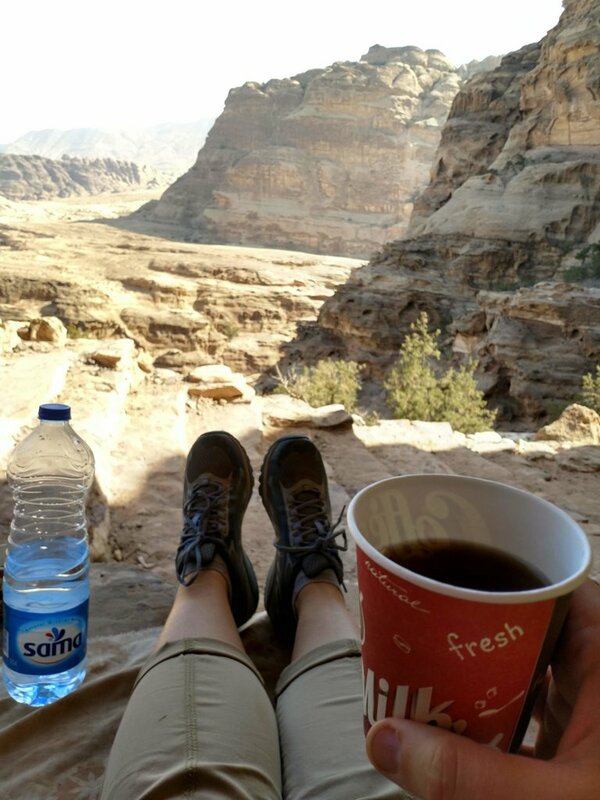 Thank you so much for your kind feedback and for traveling via In2Jordan!! I hope we've inspired you to discover more of this beautiful part of the world. 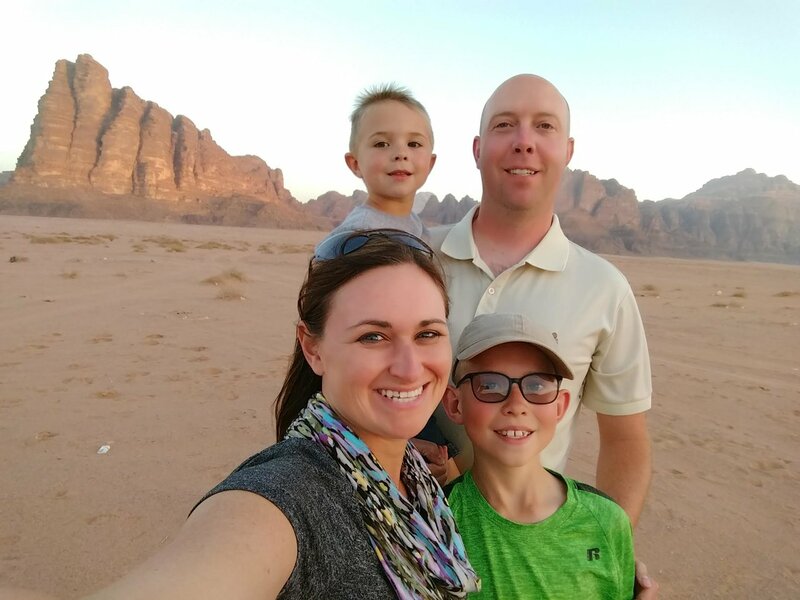 Our family of five tried KimKim.com for the first time to help us plan our one week trip to Jordan. 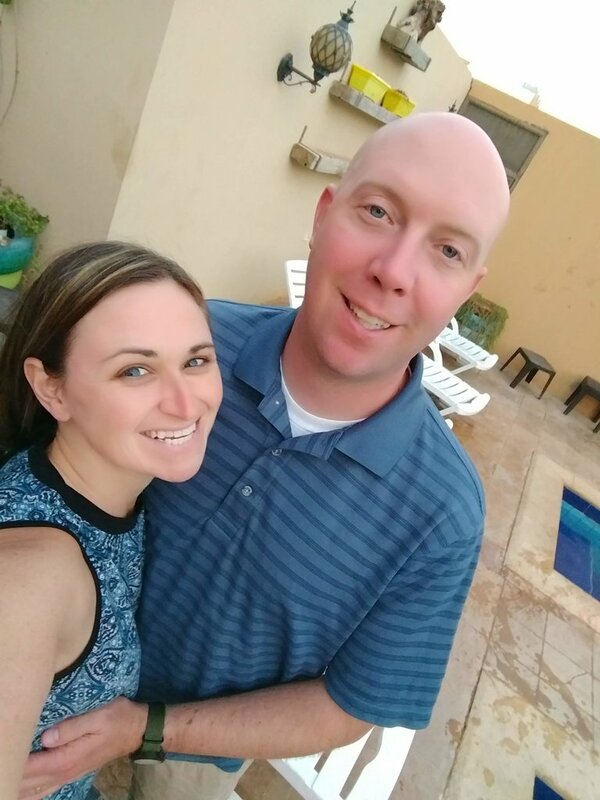 Carmen showed great flexibility and willingness to adapt to our (changing) requirements until we had an itinerary fitting our wishes and budget. 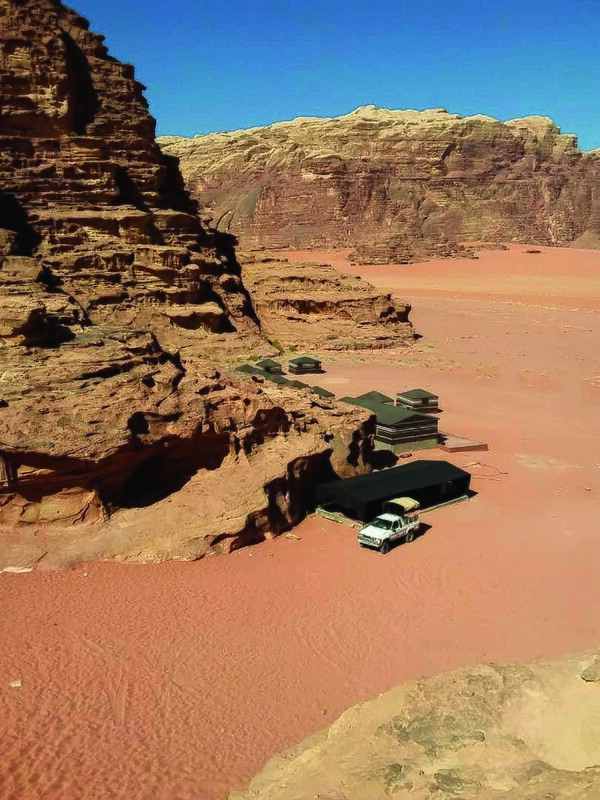 On site in Jordan, things worked nicely and without hickups with regards to booked activities, over night stays and drivers/guides. All in all a very good experience! All the best and thank you for traveling with In2Jordan! 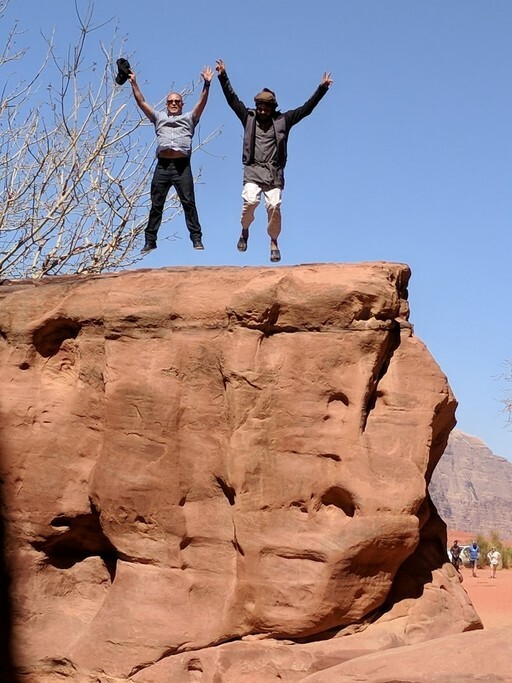 The trip was a blast. Our driver Amjad was personable and professional. My only critique is that there was not enough time to do this trip properly. 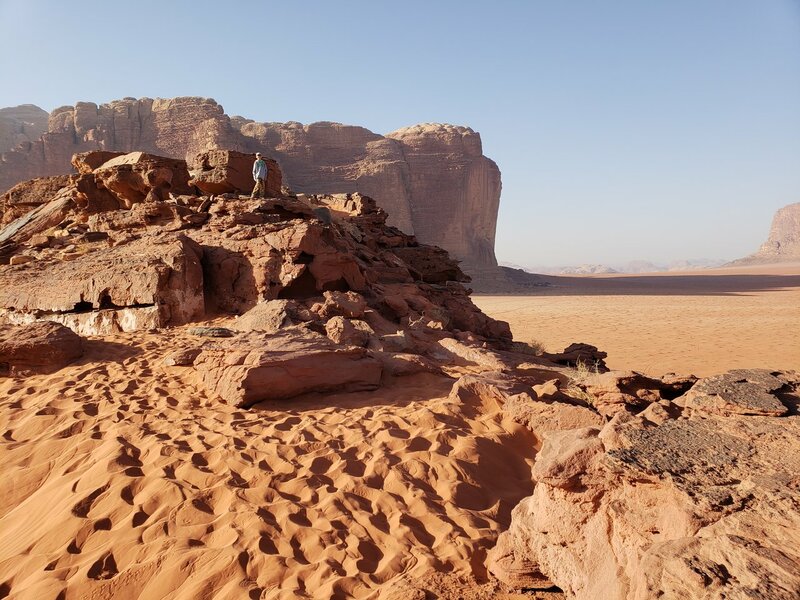 If I did it again, I would skip the Wadi Rum and spend more time in the other locations. 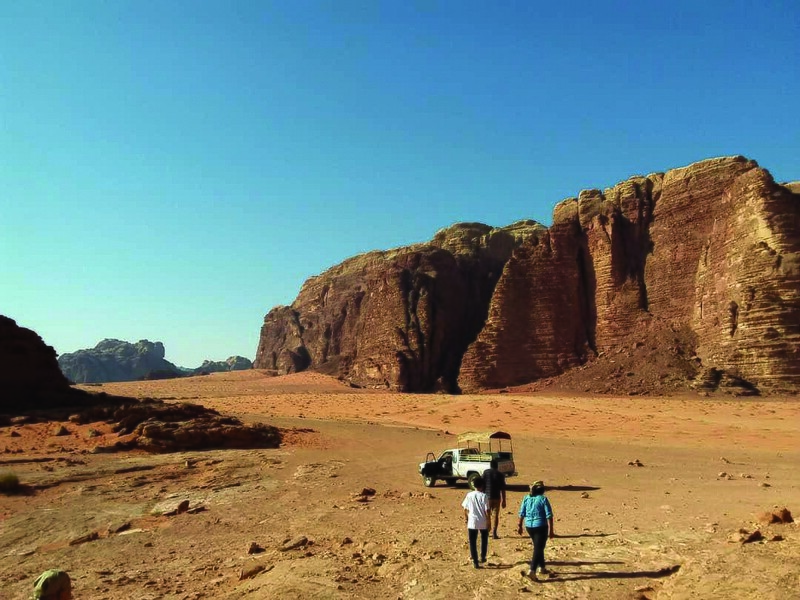 We spent a long time driving just for a couple of hours touring the Wadi Rum. 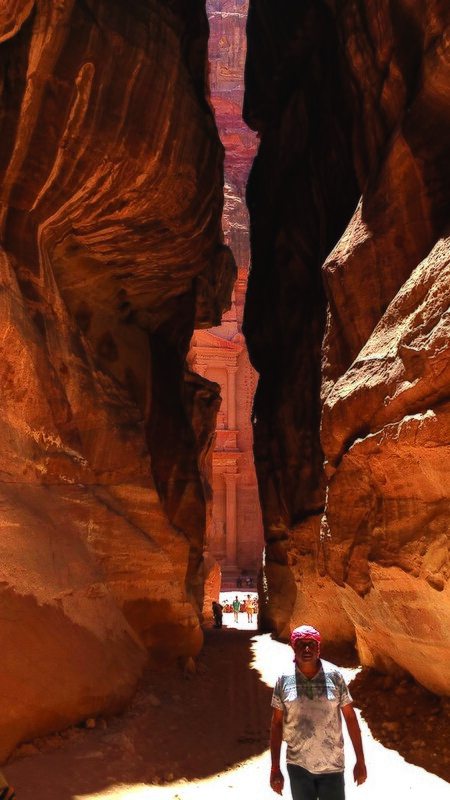 Otherwise, it is a good overview of some of the spectacular highlights of Jordan. Thank you so much for your kind review! It was lovely having you here in the country. I'll pass on your kind words to Amjad as well. 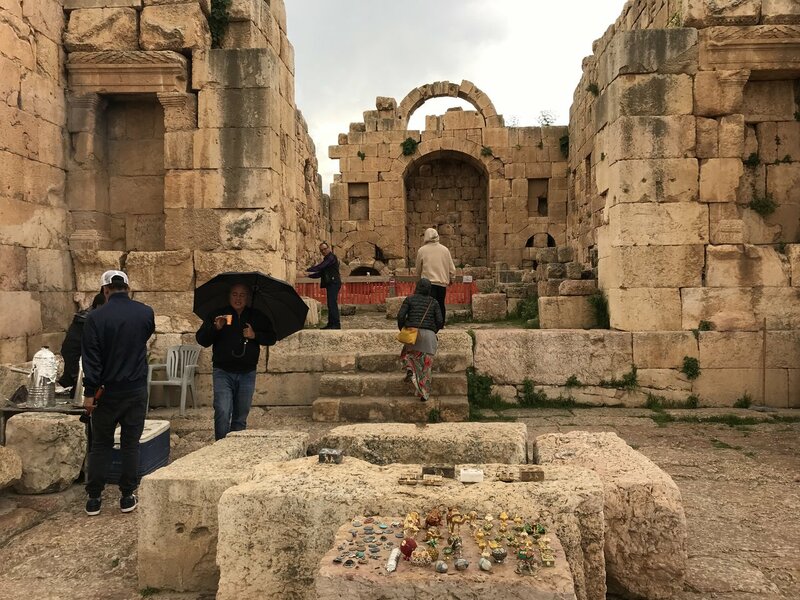 We weren't sure we were even able to do a tour through Jordan and its most exciting places as short as 3 days, but Carmen planned a great tour for us and catered to all our wishes and needs. She was always quick to answer any questions we had and made alterations to the trip as we needed them. Overall, the trip ended up being absolutely wonderful, one we will certainly never forget! Even days before our tour, Carmen was always there to answer any questions we had! Our driver was Nedal. He was absolutely fantastic! 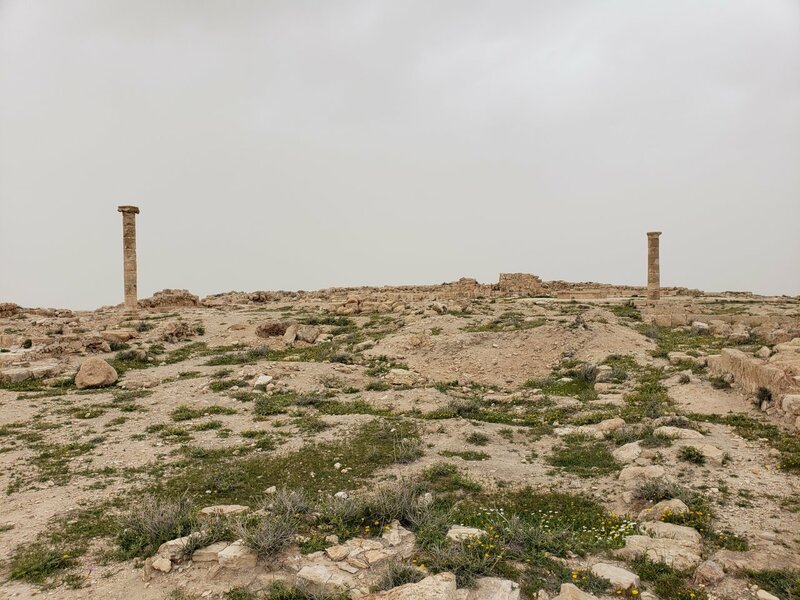 Anything we needed, be it information or some background facts about Jordan and its landscape - he was there, he had an answer. It is also owed to him that we had such a great experience! Thank you so much for your review, and your kind words! It was awesome having you here in Jordan. I'll pass on your kind words to Nedal as well. 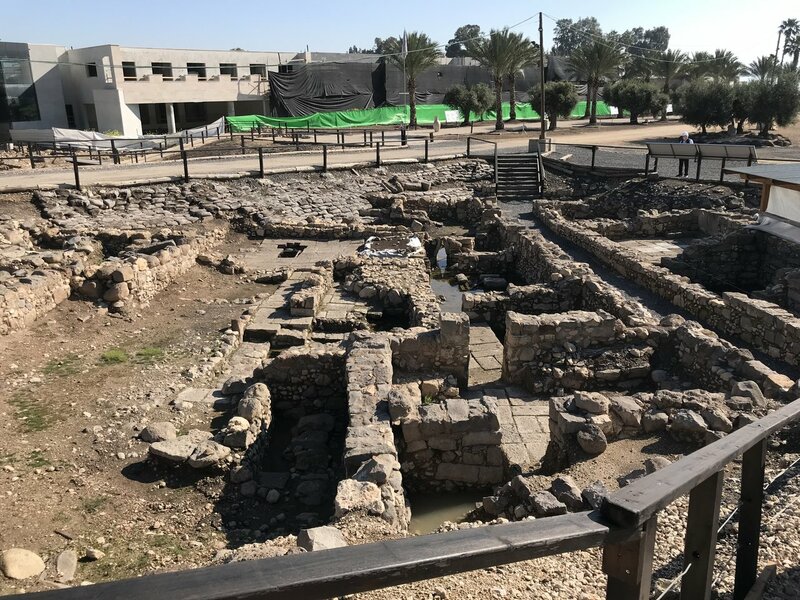 I hope we've inspired you to come back and discover more in this region. A stand out negative- the Oscar hotel in Petra is not clean and is very tired and smoky. I asked for simple but clean. We ended up moving to the move pick for our second night. I would remove it from your hotel list. We also had three different drivers all were nice and efficient but better to have one that can tell a few stories. They were very reliable and punctual though. Otherwise Jordan was fantastic. Thank you. Thank you for your feedback. I always appreciate to receive this to give better service during the trips for my future guest. 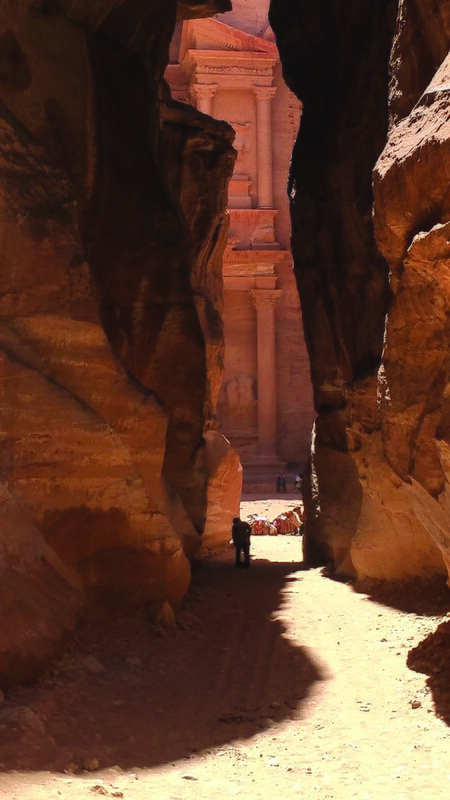 The hotels in Petra always seem to be a bottle neck as there is such limited availability. I'm sorry to hear this has put such a mark on your trip. 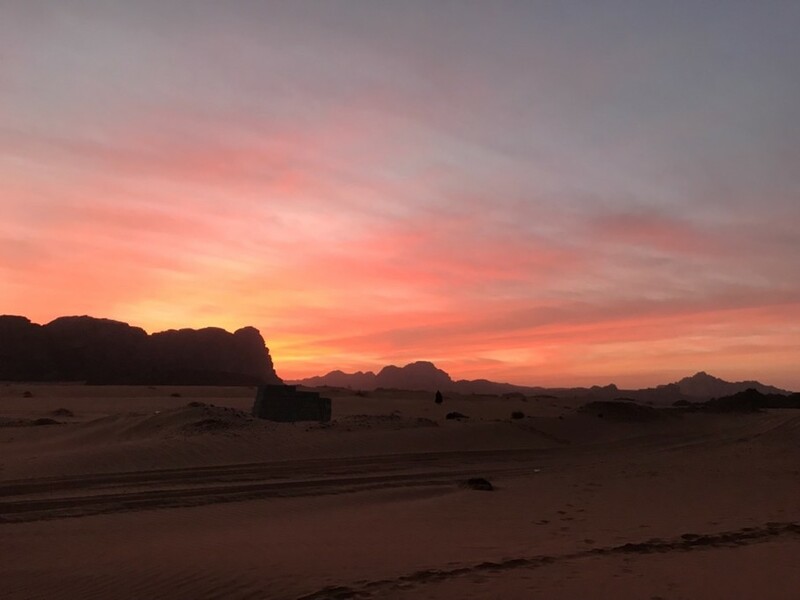 However, I'm very happy to have enjoyed the rest of Jordan and I hope to have inspired you to see more of this special and beautiful region of the world. Thank you for traveling with In2Jordan and all the best! We had a wonderful trip organised by Carmen. 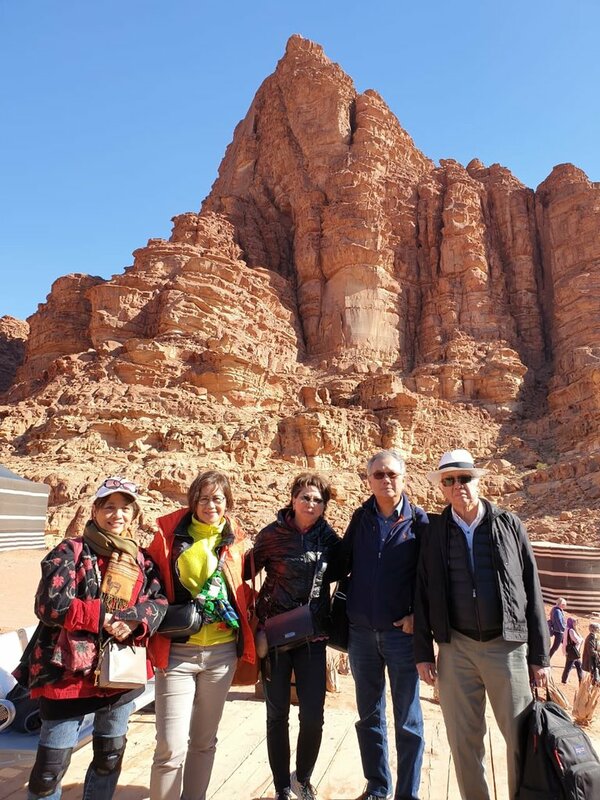 We were able to see Wadi Rum, Petra and Dead Sea. The whole experience has been breathtaking and it will remain in our memories for a long time. 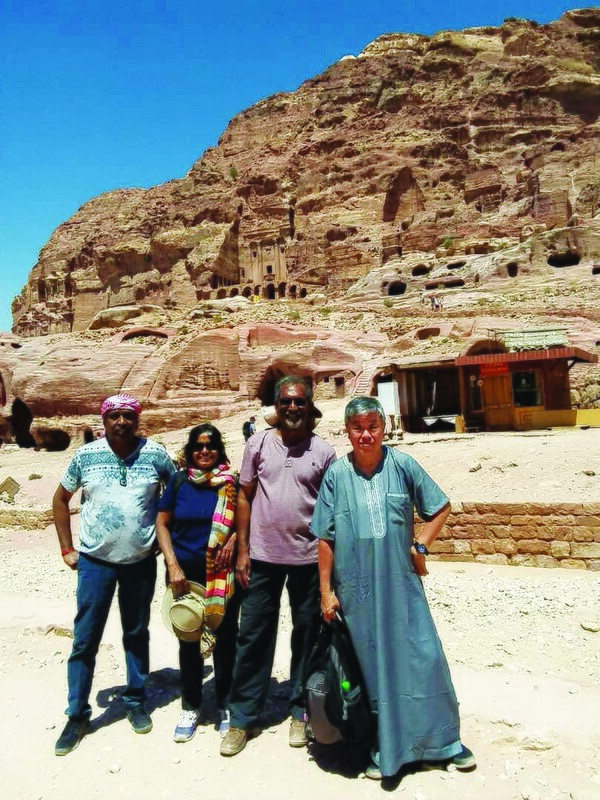 Our driver Mustafa was always prompt and ensured that we were taken to the places of the visit as per our Itinerary. We loved this trip and will recommend to our Friends as well. Thank you so much for your kind review! It was lovely having you here in the country. I'll pass on your kind words to Mustafa as well. The driver allocated (Nedal) was helpful & advised on circuit and what to expect. 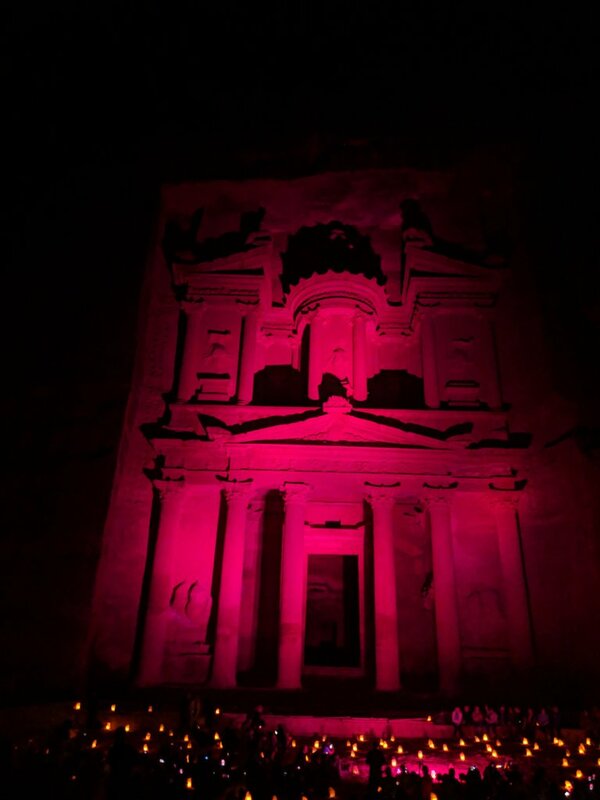 Cover the northern side of Amman and the south but Petra just blew me off. 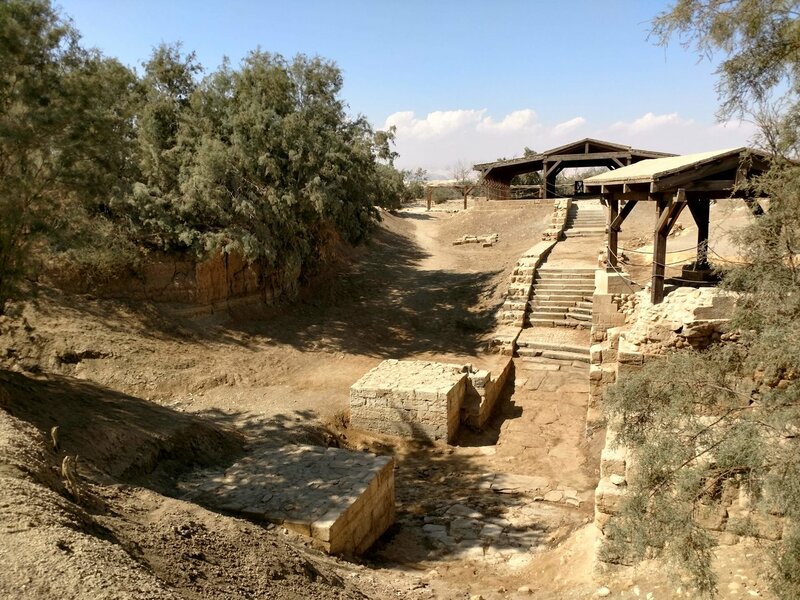 What a site but it was beneficial because we engaged a guide at site. 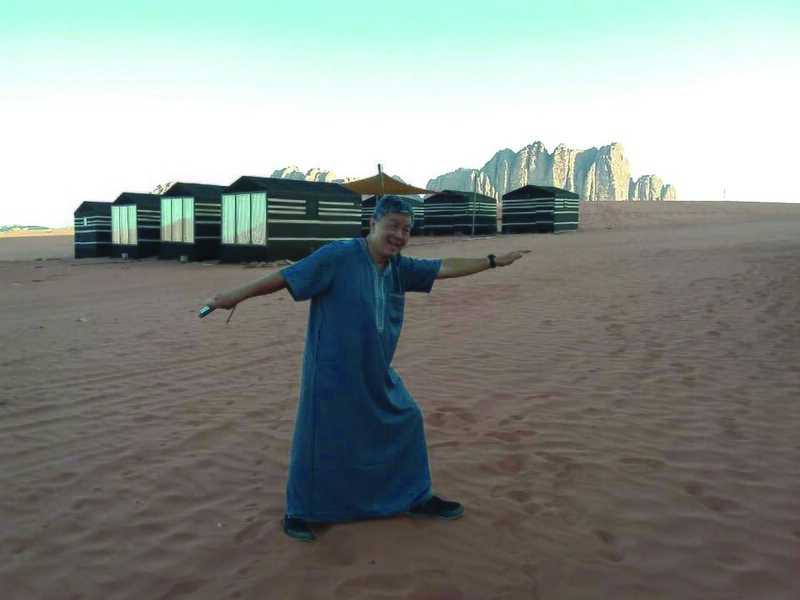 Also incorporated some experience at Wadi Musa & Wadi Rum in the desert wilderness. Be prepared for an active period if you want to enjoy. 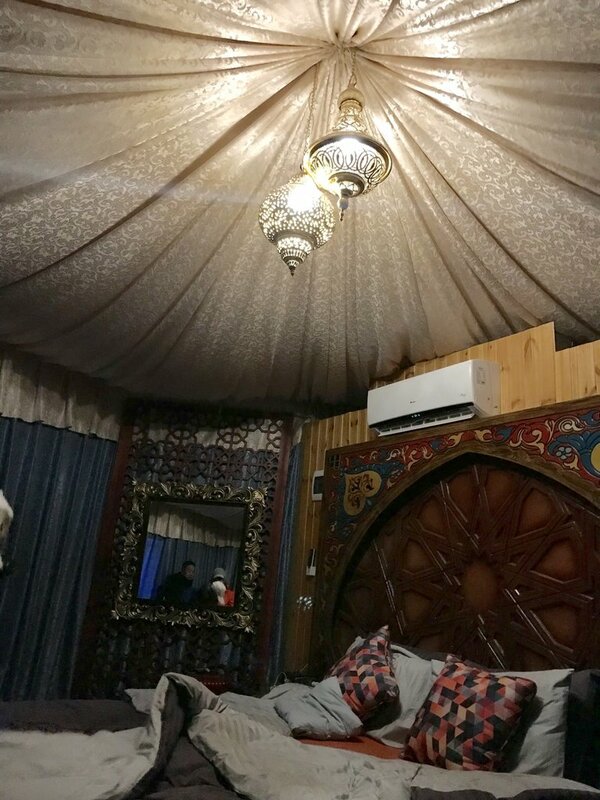 Thank you so much for your kind review, and beautiful pictures! It was lovely having you here in the country. I'll pass on your kind words to Nedal as well. All the best and if you decide to ever come back to Jordan again, please be in touch. It would be my pleasure!! What a fabulous trip we had. Carmen planned the trip flawlessly and provided great itinerary suggestions. Our driver Shareef was fantastic and flexible as necessary. 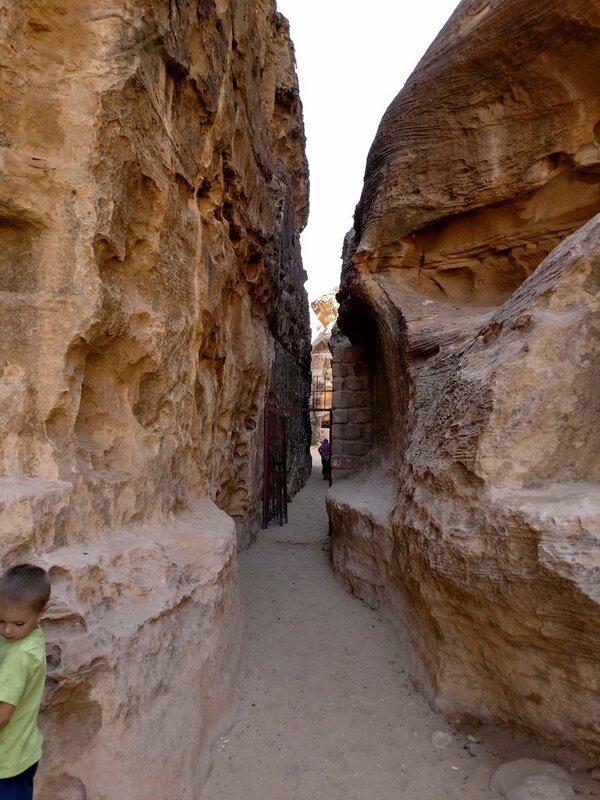 Highlights were Petra, Dana reserve (wish we'd stayed 2 nights! 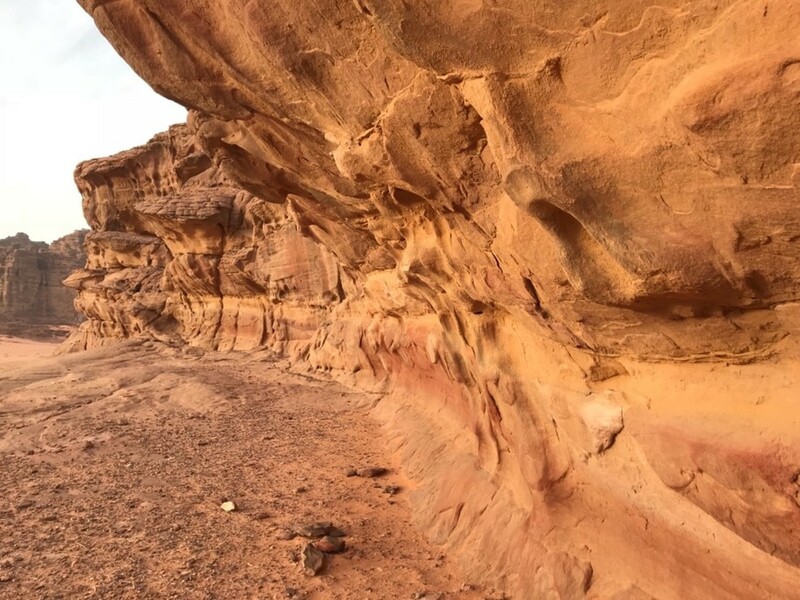 ), Wadi Rum and Wadi Mujib. 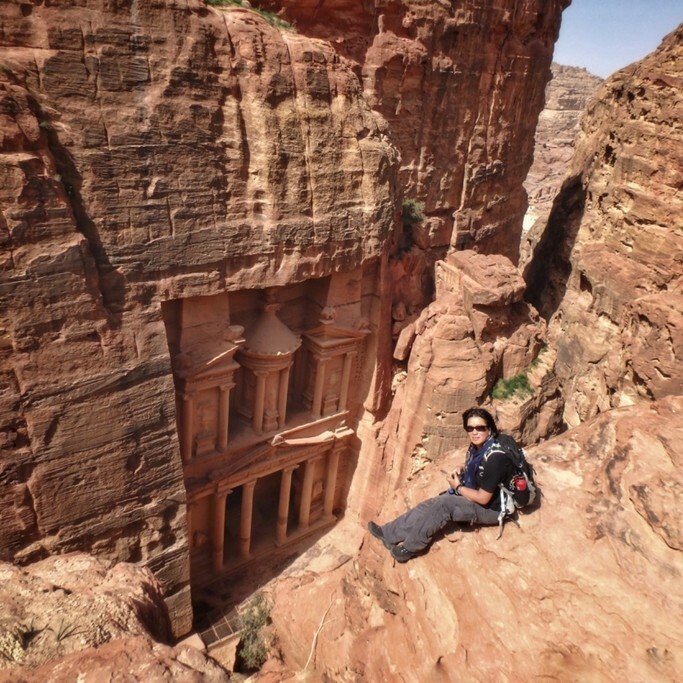 The trip was a great mix of culture, historical sites and hikes/canyoning. 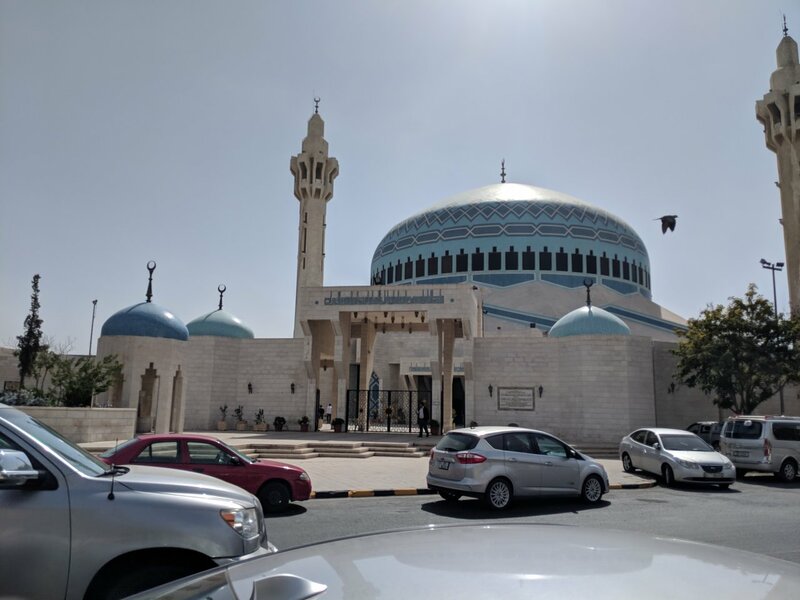 The Jordanians were ever welcoming and we did not want to leave! Thank you so much for your kind review! It was lovely having you two here in the country. I'll pass on your kind words to Shareef as well. Carmen was great with helping me organise the trip based on my tight timelines. My original driver Nedal ended up falling ill and was replaced with Ahmed who was lovely. He didn't have as much knowledge as Nedal but was nothing but professional and ensured my safety came first. 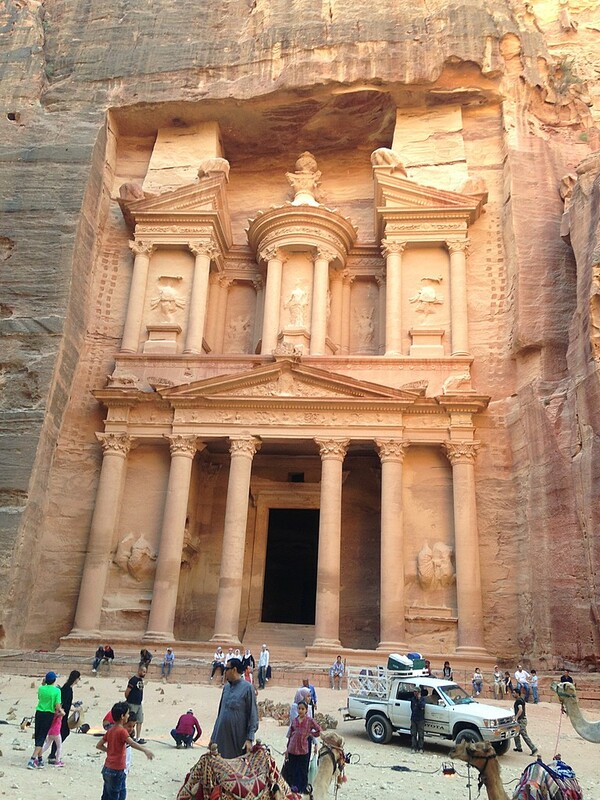 Overall the trip was great and all of us think that Petra was the highlight. It was a rush, but that's because we had time constraints and entirely our doing. Carmen is a great planner and was in constant contact & communication before and during the trip. My thanks to her. The guides were good and knowledgeable. Najeeb may have been a little overbearing but overall no complaints. They were punctual and helpful. 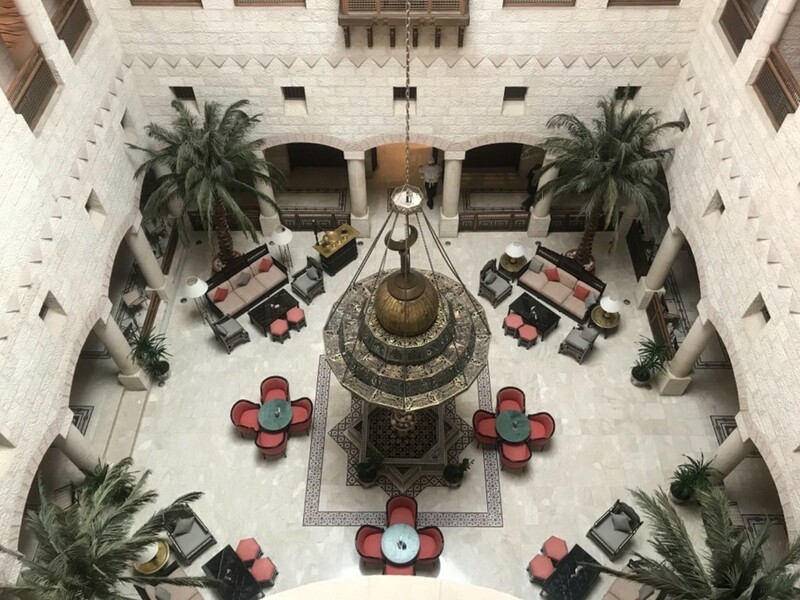 The Art Hotel (Downtown) was a great location and good place to stay and get a feel of life of the ordinary people in Amman. 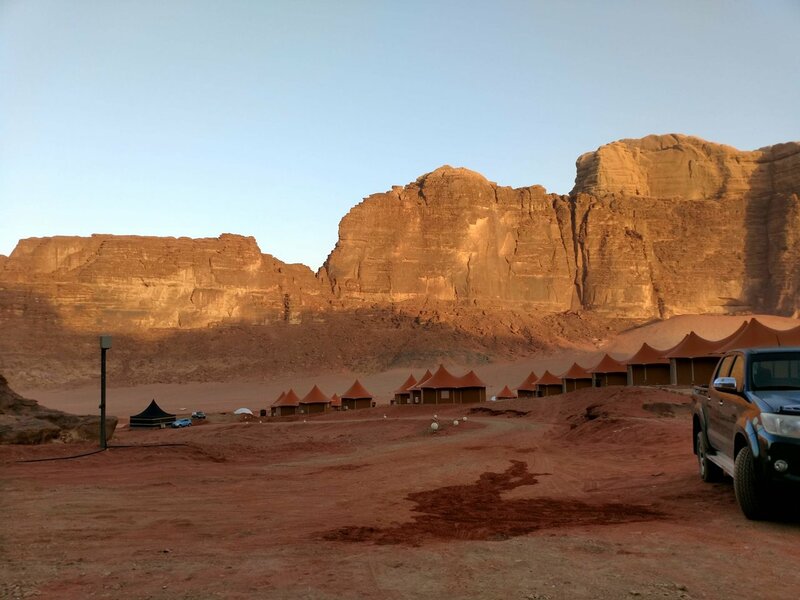 The Bedouin camp in Wadi Rum was below our expectations in terms of accommodation. 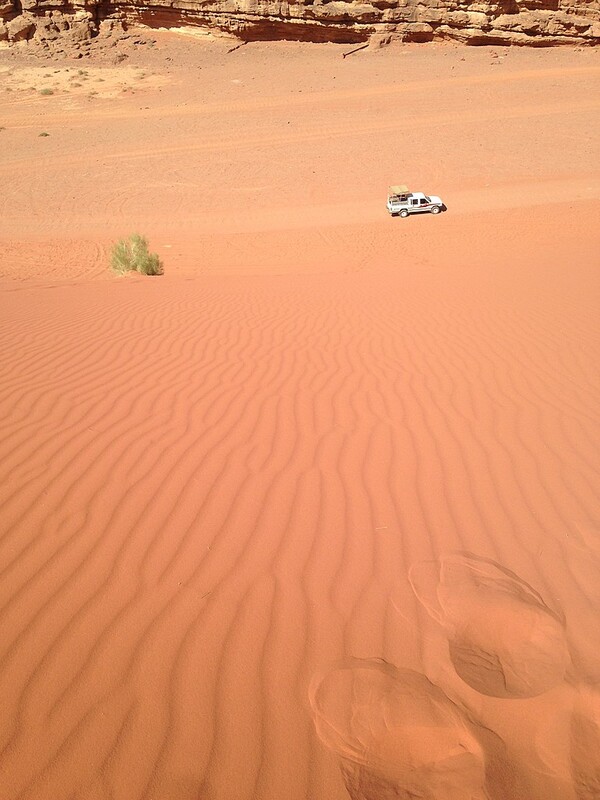 However, the staff were excellent and the jeep tour in the desert was good. 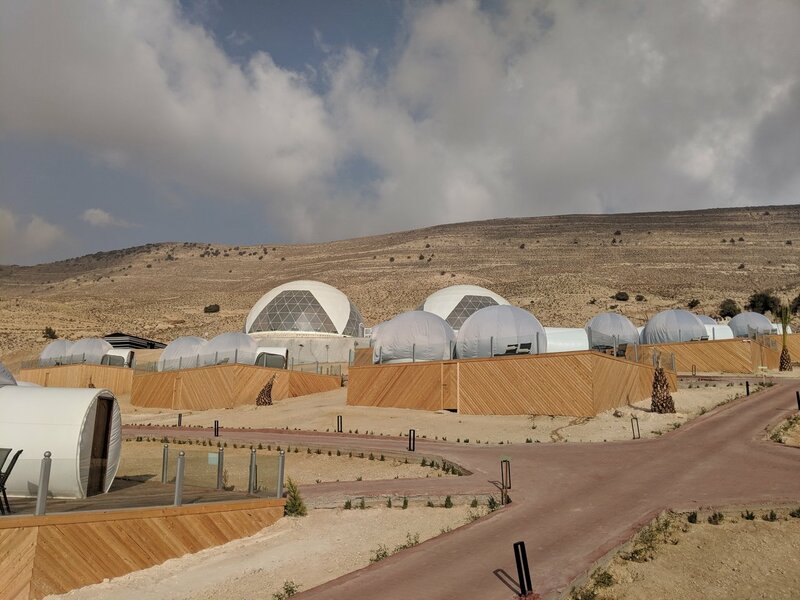 (Again I am not pointing any fingers as it was my choice for a 3 star accommodation, but if I may suggest a little more information about the accommodation during the planning stages would have helped). 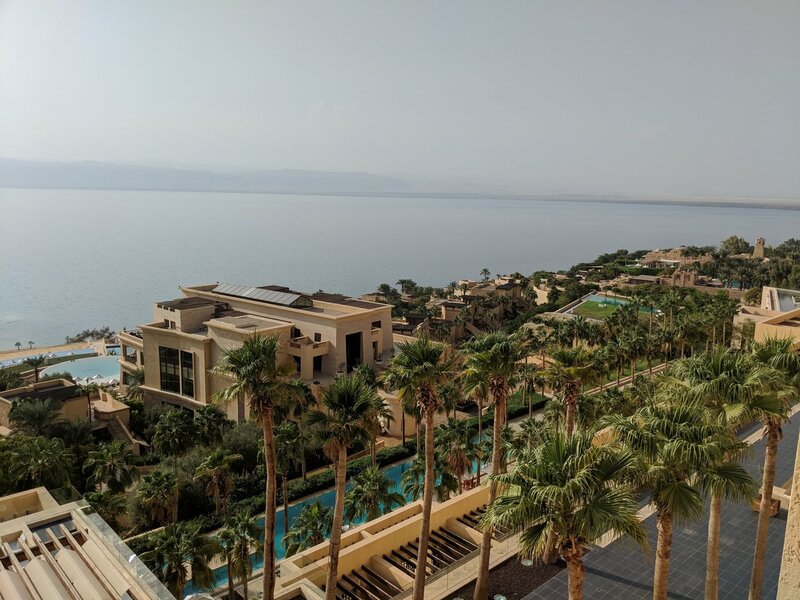 We were not aware that we had to pay for towels & lockers at the Dead Sea Resort - an alert/info on this matter would have helped. Overall, we were happy. Cheers. 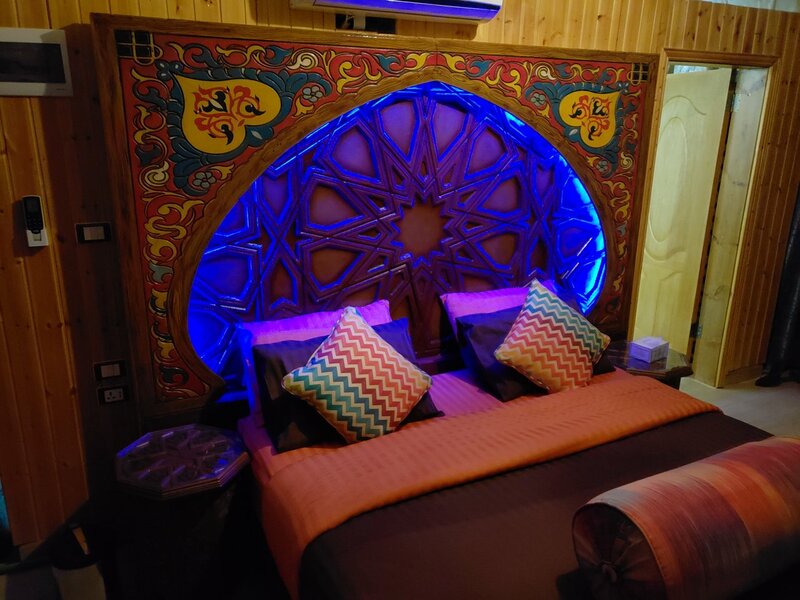 Thank you so much for your kind review and beautiful pictures! It's lovely to hear that you had a great time. Of course I will take your remarks into consideration for upcoming trips. Thank you so much for your kind review! It was a blast having you ladies here in the country and I'll pass on your review to your driver. 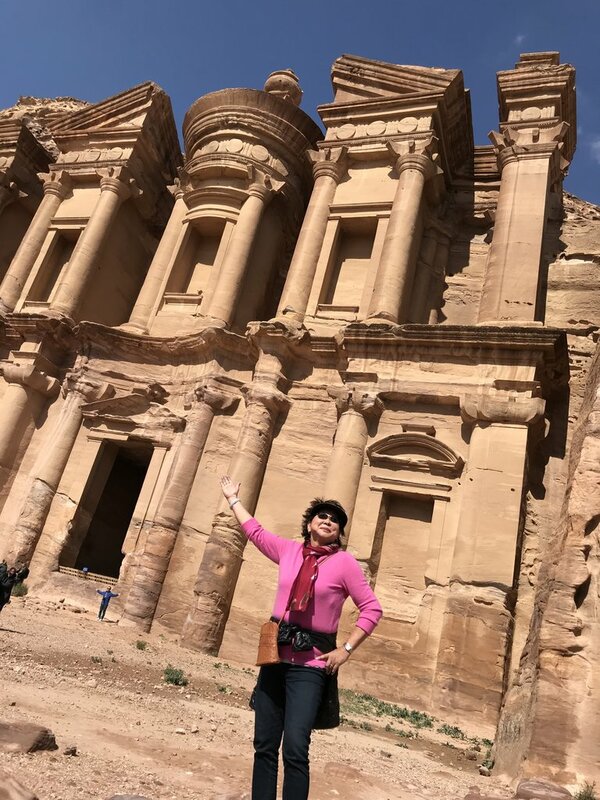 My experience in Jordan would not have been what it was without my travel specialist, Carmen answering ALL my questions, working around my own plans etc., and just being accommodating! My driver, atef, was unbelievable. He was so gracious and kind and knew all the routes and gems of each place. 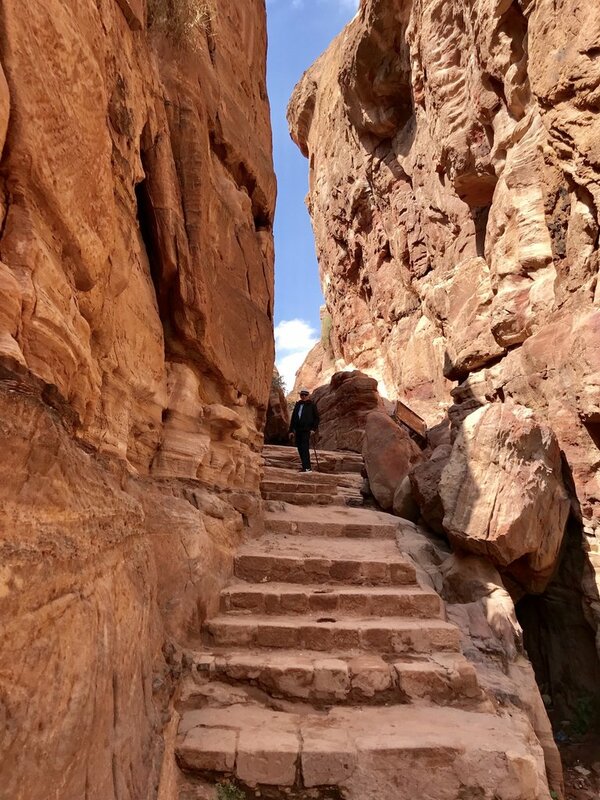 My Bedouin guide, Ibrahim, who took us through Petra's backdoor to the monastery was wonderful. He was patient, helpful, and an overall great guide who showed us so many cool things along the way. 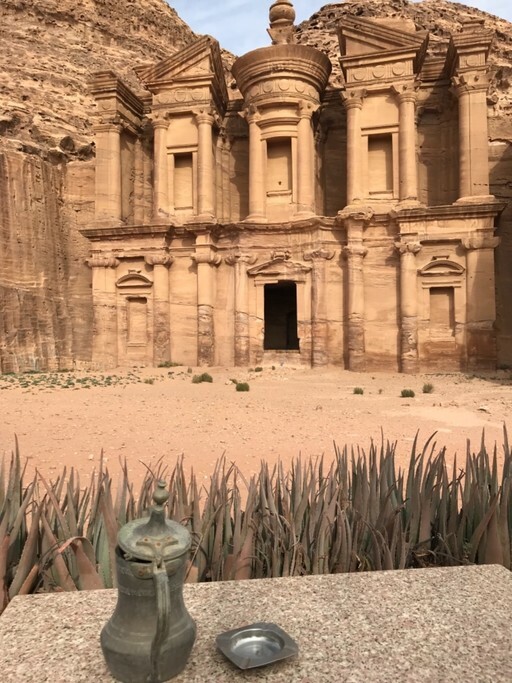 From jerash, to the sites in Amman, to the absolutely magestic Petra, my husband and I had an incredible time. 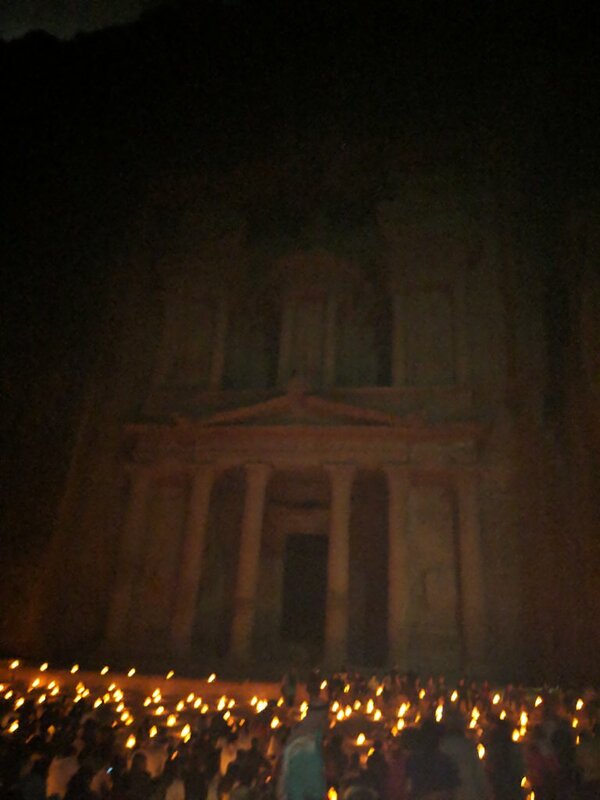 Petra by night was also such a beautiful experience. 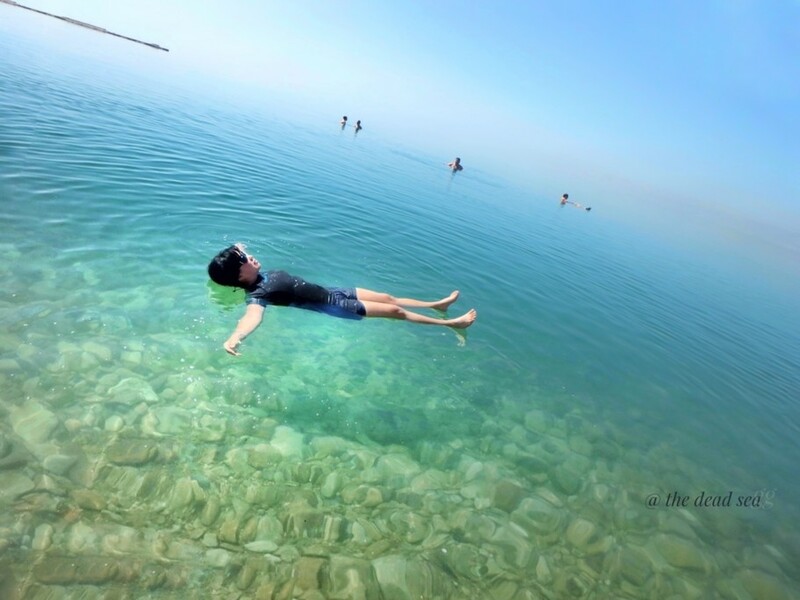 And driving along the dead Sea was really beautiful. It was thanks to Carmen's expertise, I was able to pack so much into my trip. I highly recommend working with this team! It'll make your life and experience that much better!!!! Thank you Carmen! Thank you so much for your fantastic review, it really makes our day! I've passed on your kind words to everyone involved in your trip. 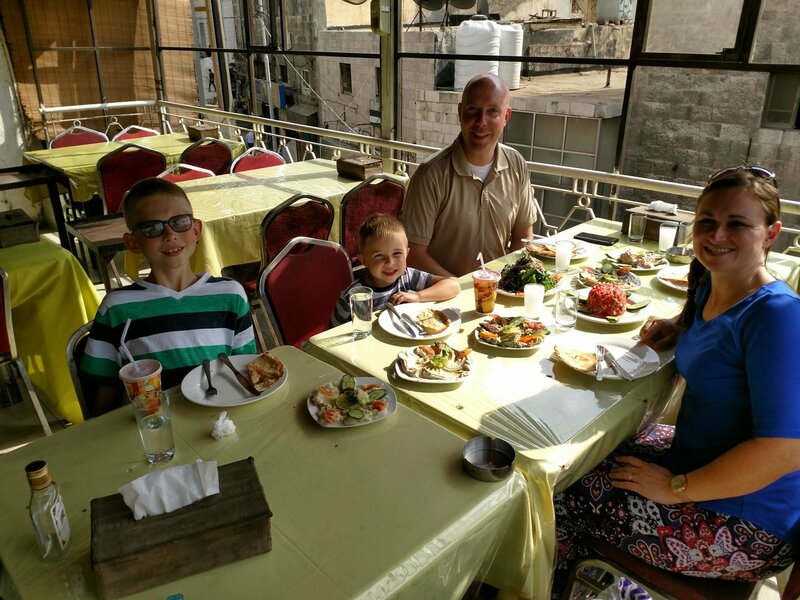 Thank you for booking with In2Jordan and we hope to see you again in Jordan!! 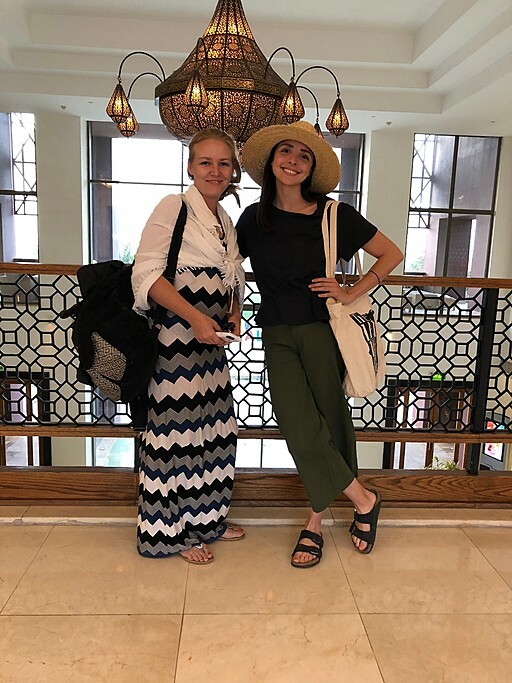 Carmen has provided me with an amazing service from the beginning and she was great accommodating all the places I wanted to visit in only 5 days, thank you so much for that! Qusai my driver was super nice and flexible and always making sure to make pit stops to get me black tea with sage, water, sweets and the best falafel that I have ever had in the middle of nowhere on my way to Fernan Ecolodge. 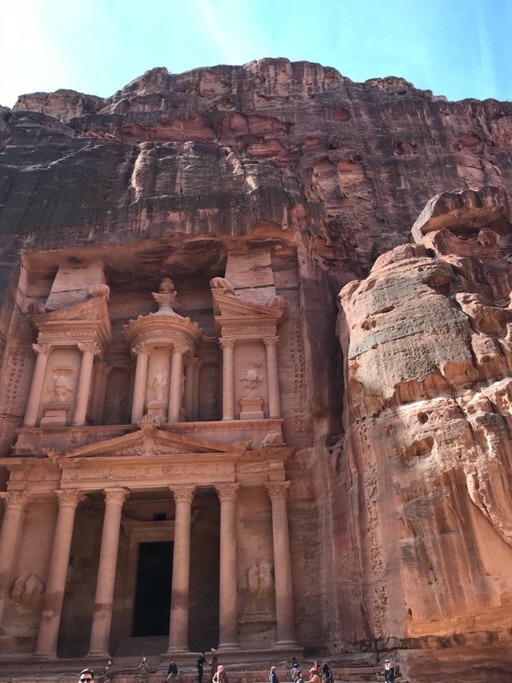 I always wanted to go to Petra and I can only say that it was amazing! I am happy I spent 1 and 1/2 day there as this gave me enough time to do the back trail to the Monastery the first afternoon and enjoy the Trail to High Place of Sacrifice ( 4.5 hours and lots of steps) and the some other interesting spots on the second day. Thank you so much for your fantastic review!! Both me and everyone involved in your trip to Jordan really appreciate it! It will be our pleasure to have you back in Jordan. 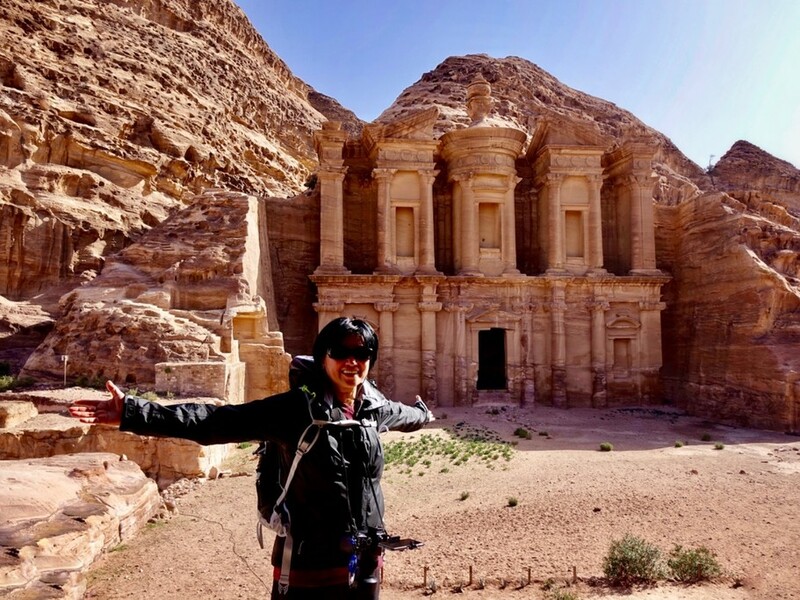 Thank you for traveling with In2Jordan!! 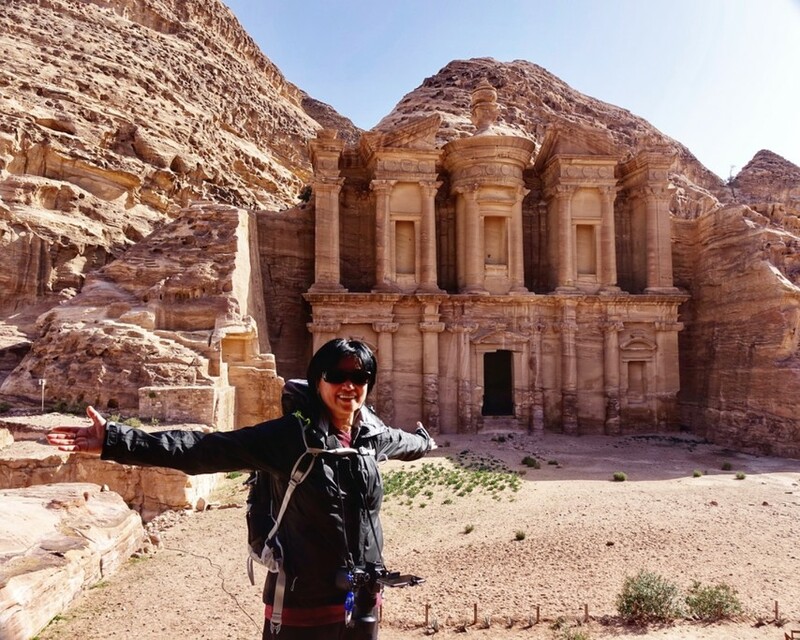 I'm the Head of Content at kimkim, and booked part of my recent trip to Jordan with Carmen from In2Jordan. A major goal of my trip was research for original article ideas, and my criteria was pretty challenging. 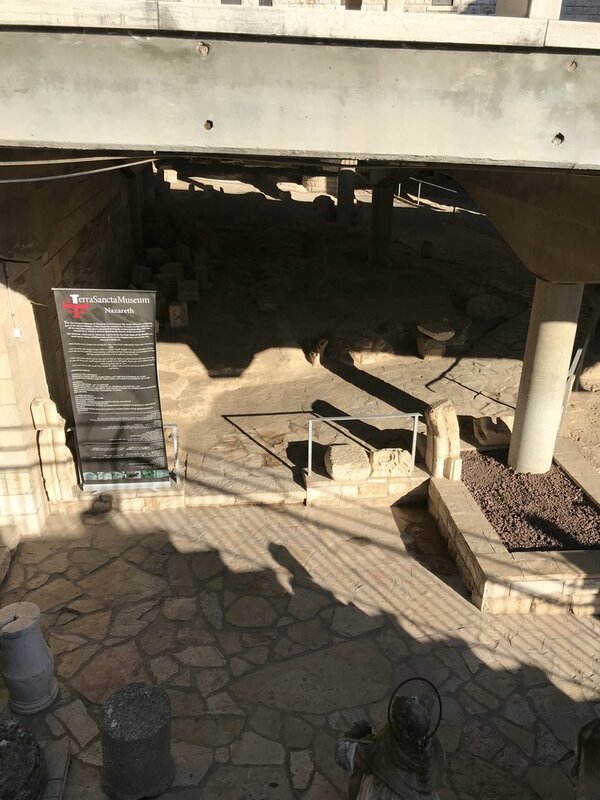 Carmen did an amazing job of curating interesting, unique, and immersive experiences that lived up to my "off the beaten path" standards. 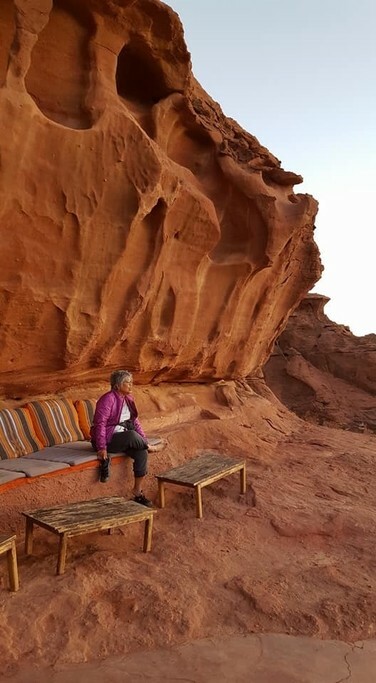 One of my absolute favorite memories is from my time in Wadi Rum, the desert wilderness in southern Jordan. 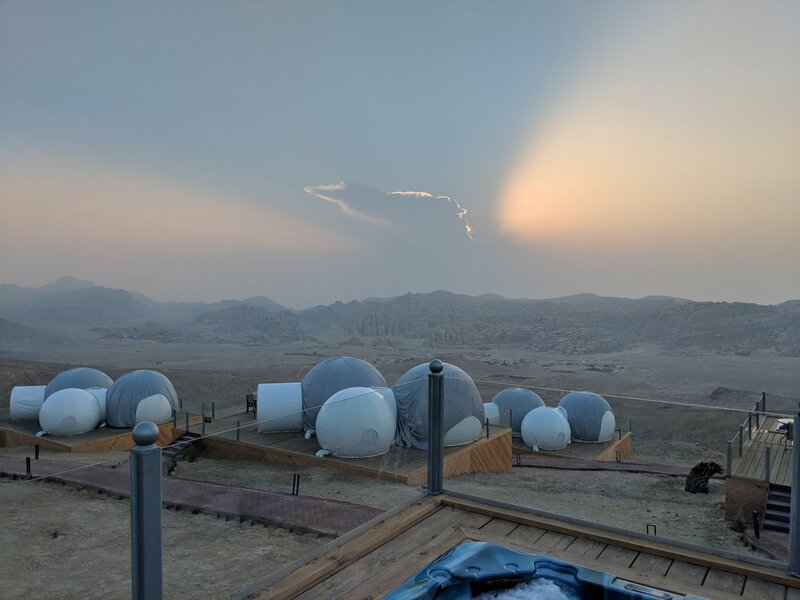 I was originally scheduled for an overnight "digital detox" experience, complete with private yoga sessions and sleeping under the stars (no tent!) 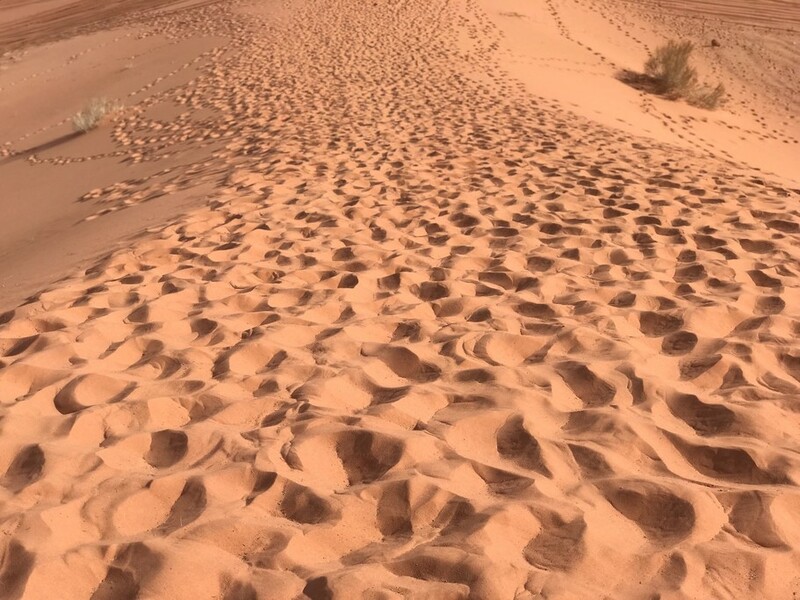 in the middle of the beautiful desert. Due to crazy weather and some other unavoidable circumstances, this had to be canceled day-of. 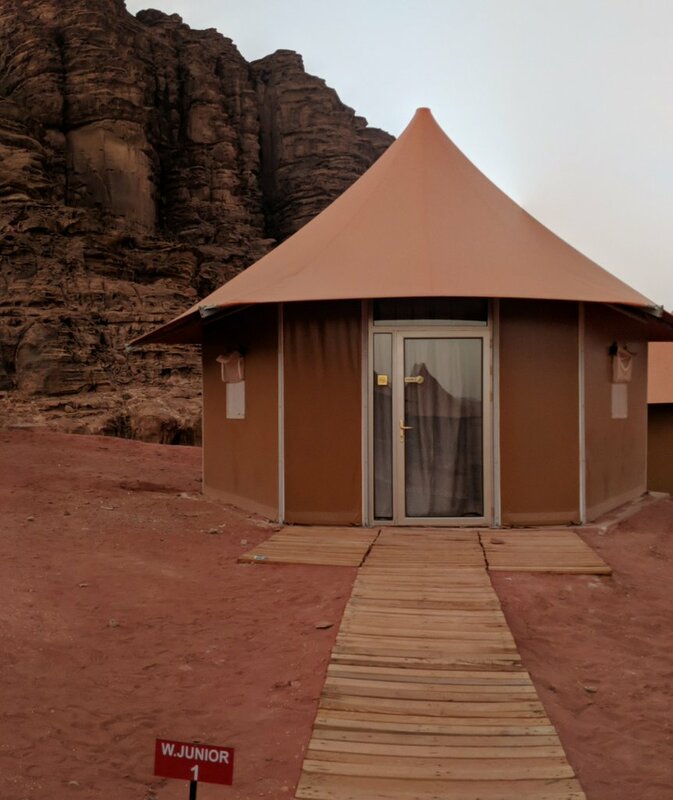 Carmen immediately got to work finding alternate options for me, and managed to book one of the very highly coveted bubble tents at Wadi Rum Night Luxury Camp (see photo). 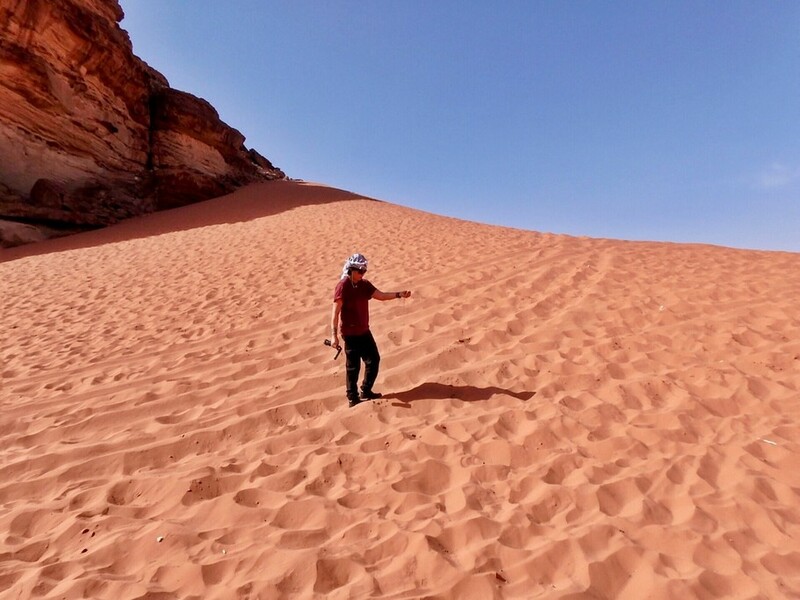 This was unforgettable - I felt like I was waking up on Mars! 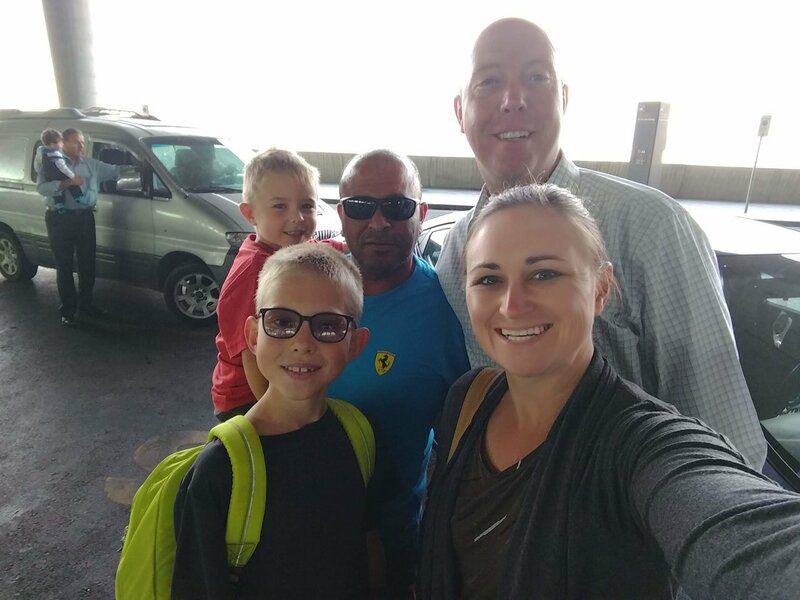 Thank you to Carmen for being reliable and available during my trip, and quickly coming to my rescue with a fantastic alternative to my original plan! Thank you so much for your kind review! 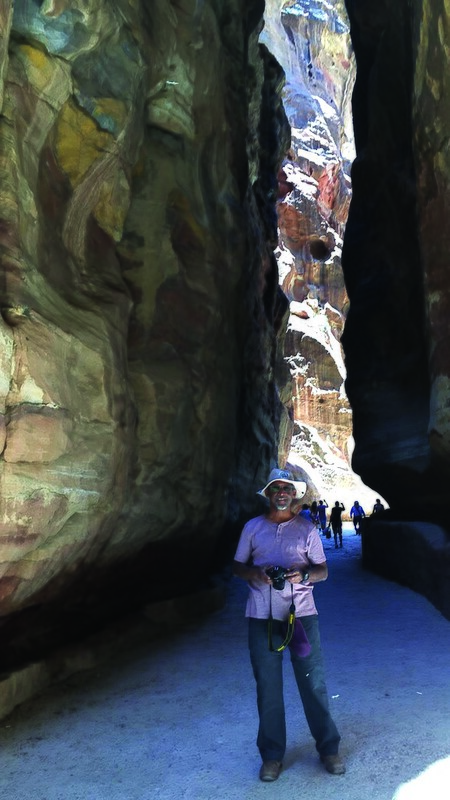 Organizing your trip was a challenge at times, but it was a pleasure to do so! We'll keep in touch! 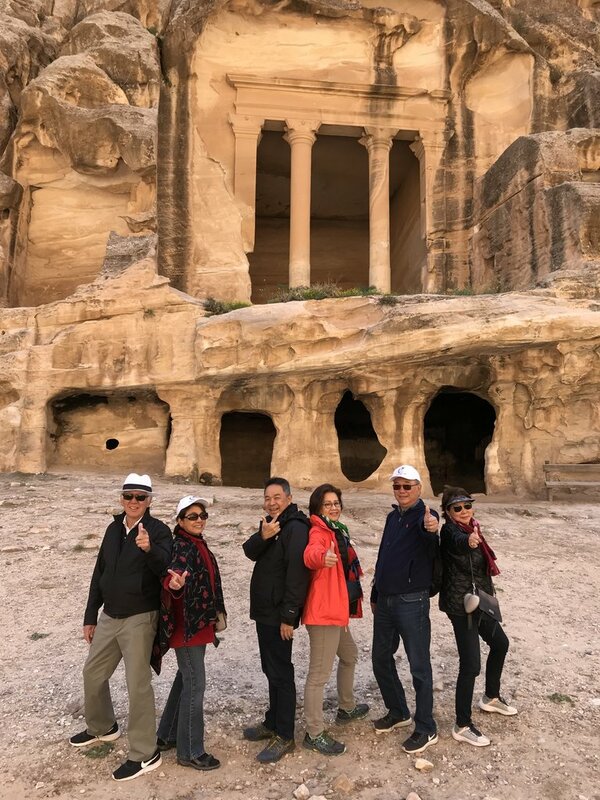 Thank you for having us organizing part of your trip in Jordan!! I would want more information up front from the guide about what has been paid for already and what hasn't. Thank you for your 5* review. It's always nice for me to receive feedback on the guides and how to organize things better. 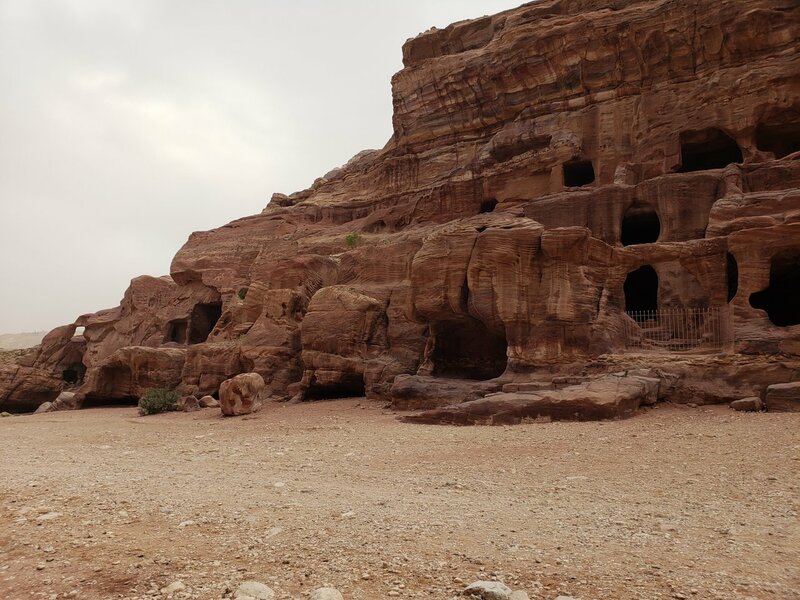 I hope I've inspired you to come back to Jordan again! Wonderful country and nice people. We enjoy a lot and our trip was a great experience. Good organisation, maybe just one driver had been better as a new one every day ! Thank you for your kind review. You've surely met a lot of different people on your trip, however we'll do our best to stick to one driver for future customers. Thank you for sharing this with me. 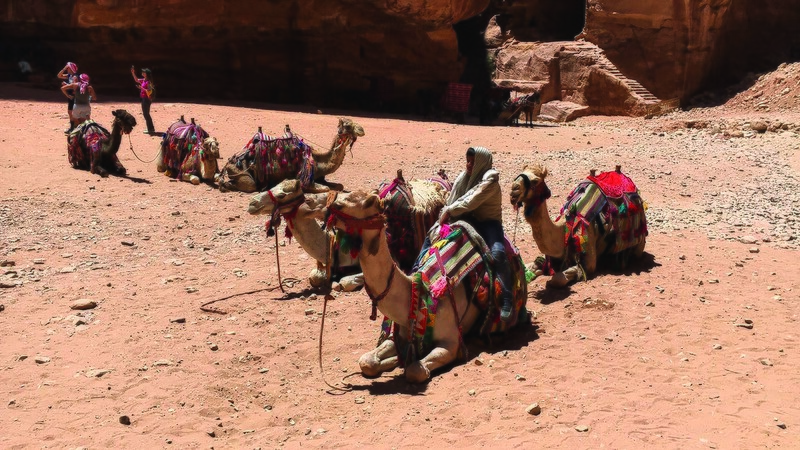 I hope we've inspired you to come to discover more of what beautiful Jordan has to offer. 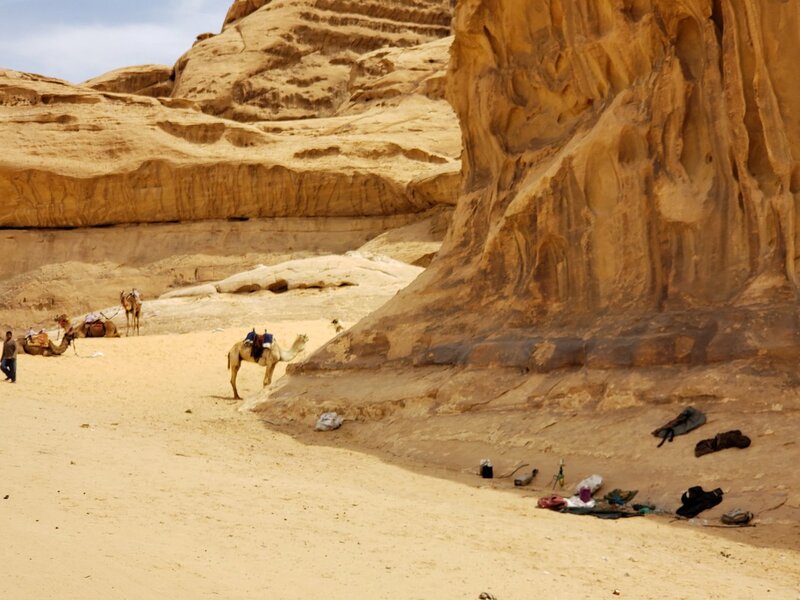 Again thank you for traveling with In2Jordan! The trip was amazing. Carmen did a great job planning the excursion, she was always available to answer any questions or make last minute accommodations. Akram was our guide for most of the trip. He was knowledgeable about all the sites we travelled to. Gave us lots of free time to explore. His english is impeccable but most impressive was his driving skills. Couldn't ask for a better guide. 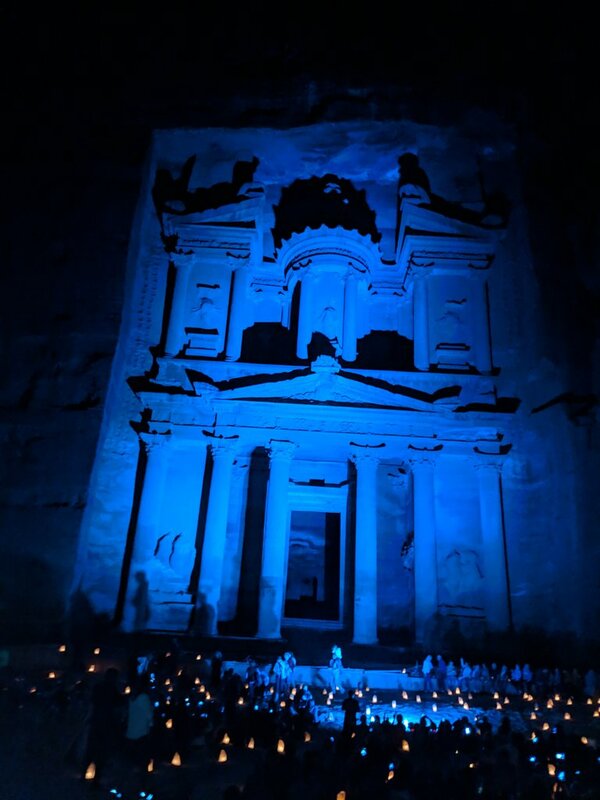 Petra was unbelievable. We were there for 2 nights and 1 full day. 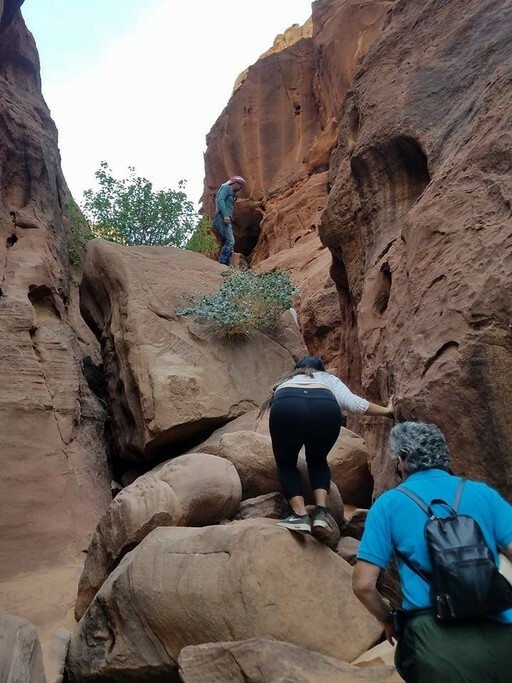 If you like hiking I would recommend 2 to 3 days there. A lot more to see then just the treasury. Thank you very much for your kind review. It was my pleasure. All the best to you and your brother! I booked this trip as a surprise for my husbands 40th birthday. Carmen was amazing in putting the itinerary together and answering all of my many questions, no question to stupid, ensuring it was a birthday to remember! 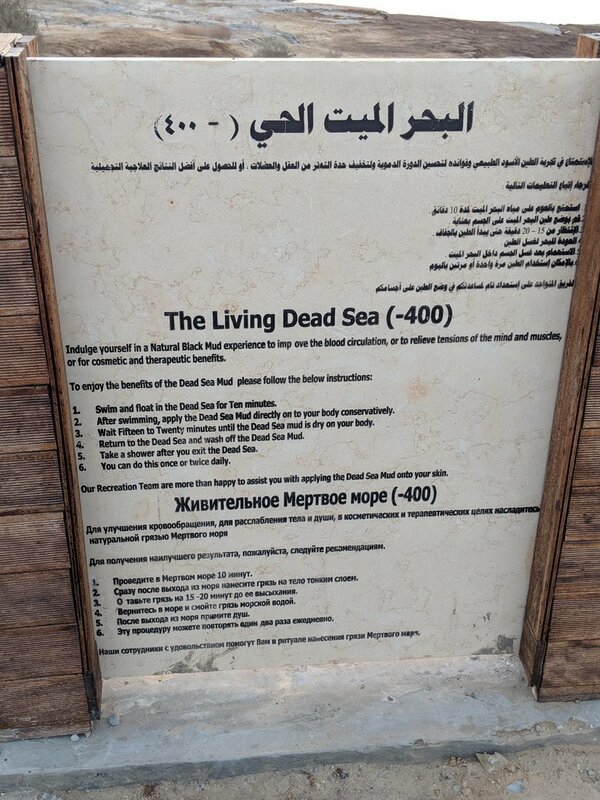 From Jerash to the Dead Sea we saw so many amazing sites with our driver Bashar nothing was any trouble! 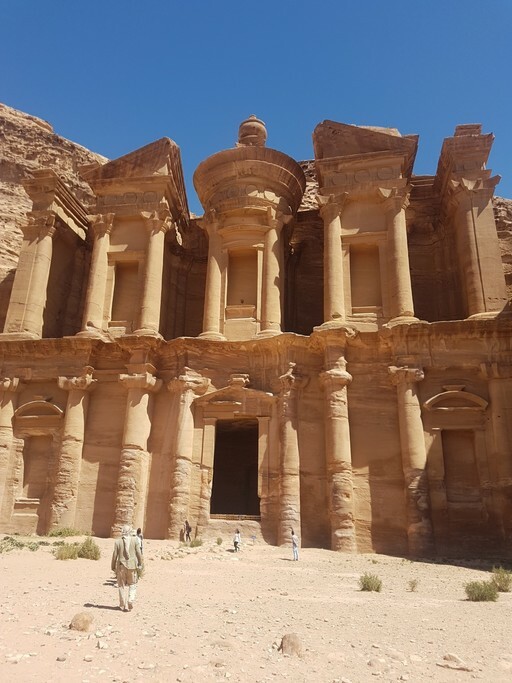 For the birthday day itself we went to Petra which no words can describe it’s beauty and wonder! 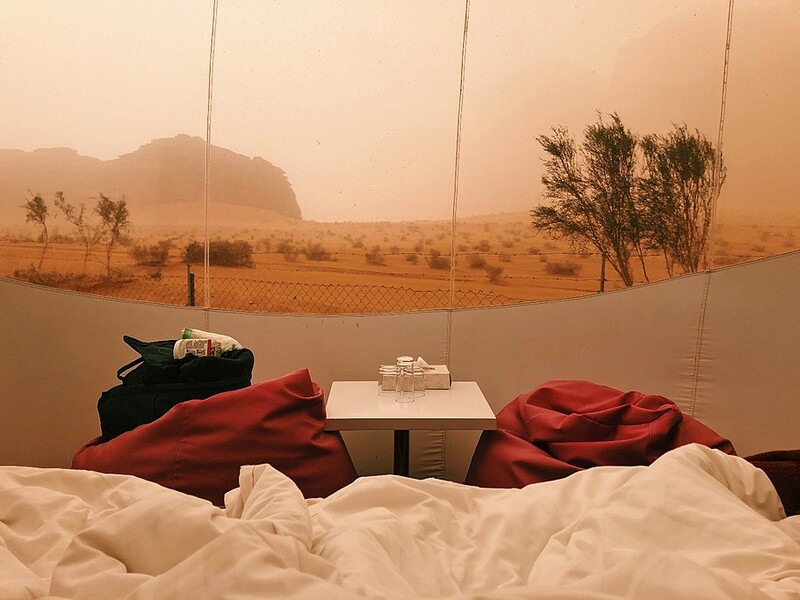 Followed by a night under the stars at Wadi Rum. Even on returning home Carmen and her KimKim team have been amazing as I left my Bose headphones in the car transfer to the airport!!! Carmen had tracked them down and sent them home to me. First time using KimKim and I’m sure not the last! Fantastic service from everyone!! Thank you so much for your kind review! It was my pleasure assisting you with this trip. Fantastic to hear that you've made great memories. 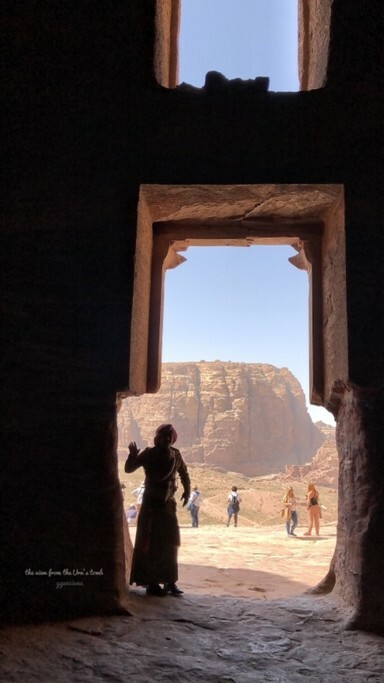 We just returned from our Petra/Wadi Rum trip and it was an outstanding experience. The entire 4 days were great - filled with many new tastes, mind-blowing sites, and relaxation. Working with Carmen was smooth and easy. 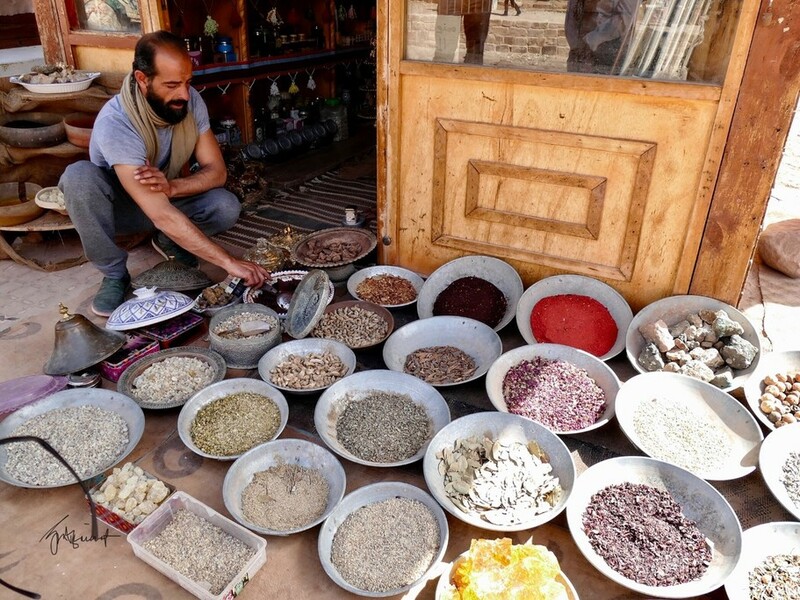 Our driver - Mohammad Karajeh - went out of his way offering guidance, coffees, tastes of native foods, etc. He really added touches that made our trip so memorable. 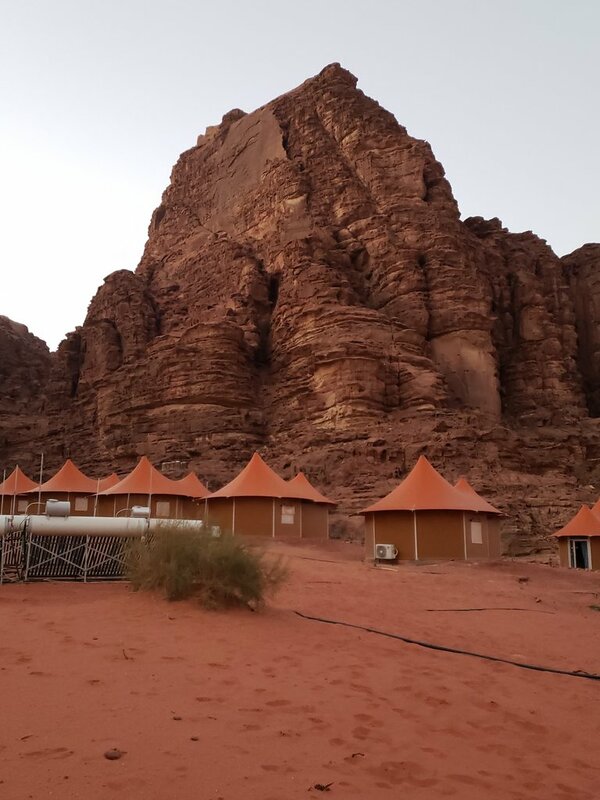 My only suggestion might be to offer a range for the tent stay in Wadi Rum...I believe we might have chosen a place that had hot water. (The place was stunning and this is a minor issue). 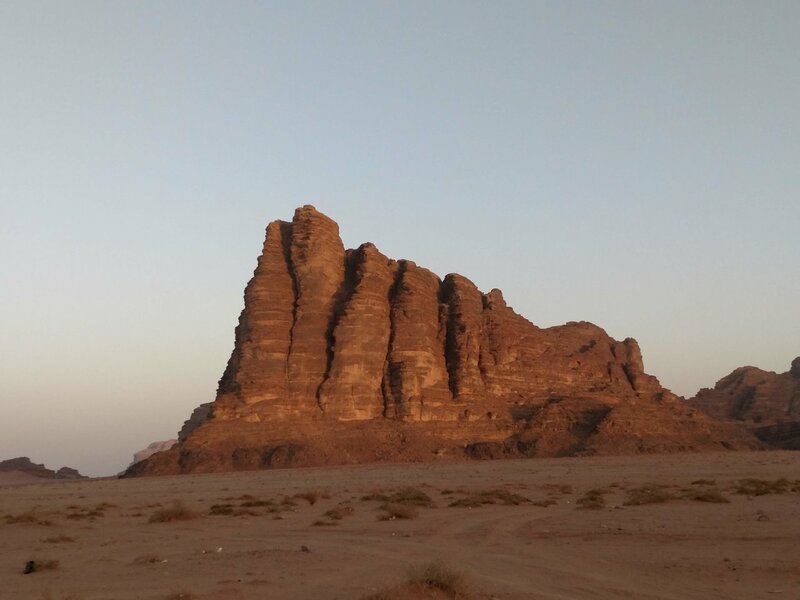 Last piece of advice: stay 2 days in Petra and 2 in Wadi Rum - so much to take in, so much to see! Thank you so much for you kind words! It's great to hear that you had a lovely time. The pictures look awesome!! The trip planning had up and downs with regard to hotels. Carmen suggested the Movenpick as a 5 star option, but I had already seen that rooms were not available. She then came back with news that rooms were not available and suggested the option of the Hyatt Zamman as a 5 star option. Turns out it was not even a part of the Hyatt chain but just a local hotel claiming to be 5 star but certainly not of international standard. I had to demand WiFi in the room ( arranged finally after being told that WiFi was only in community areas). The driver and car assigned were good (once one got accustomed to the strong cigarette smell). Thank you for your feedback. We always appreciate the opportunity to upgrade our services. Due to availability, the hotel you stayed in was the best option we could find for you. I would have loved to known about the driver right away so we could have taken action, just like we did when you contacted us about the hotel. 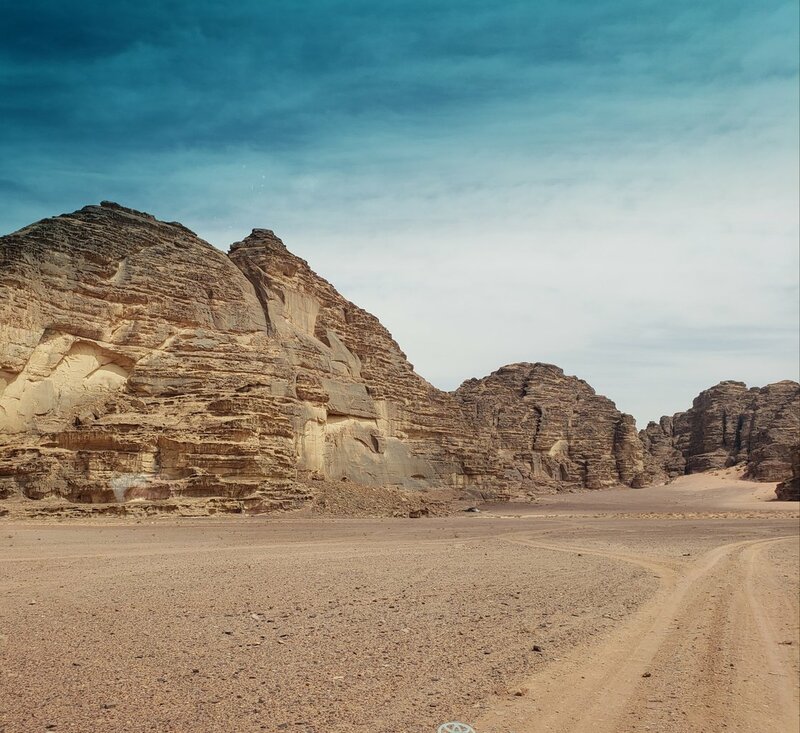 We hope you had a lovely time in Jordan and inspired you to get visit this beautiful country another time. 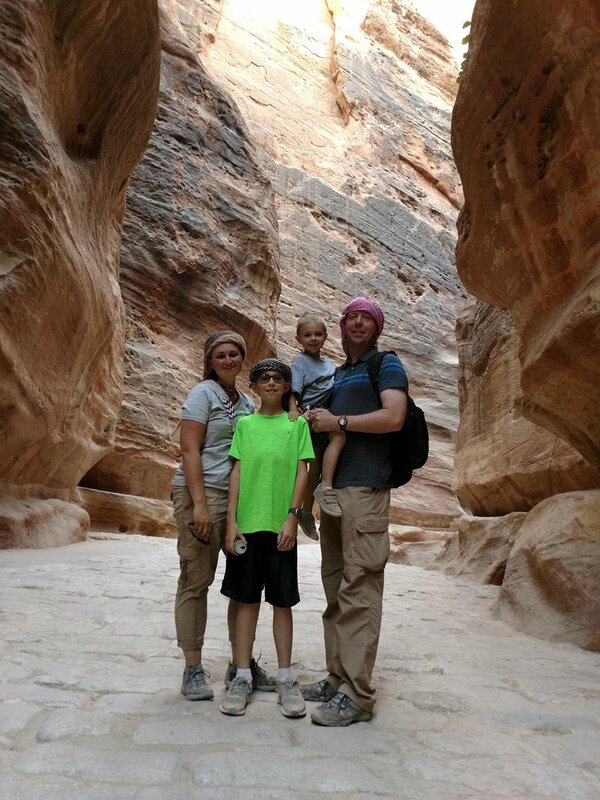 Thank you to Carmen who facilitated our first trip to Jordan. It eased our apprehensions knowing we have transports and guides to assist us in a foreign land. 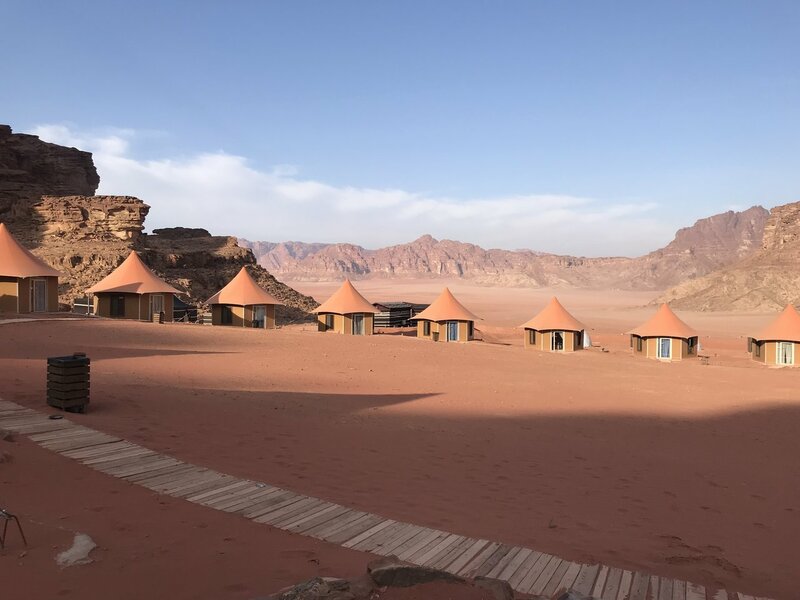 The recommendations to stay at the Wadi Rum Luxury Night camp, and accesss to the Dead Sea at Dead Sea Spa Hotel —spot on! 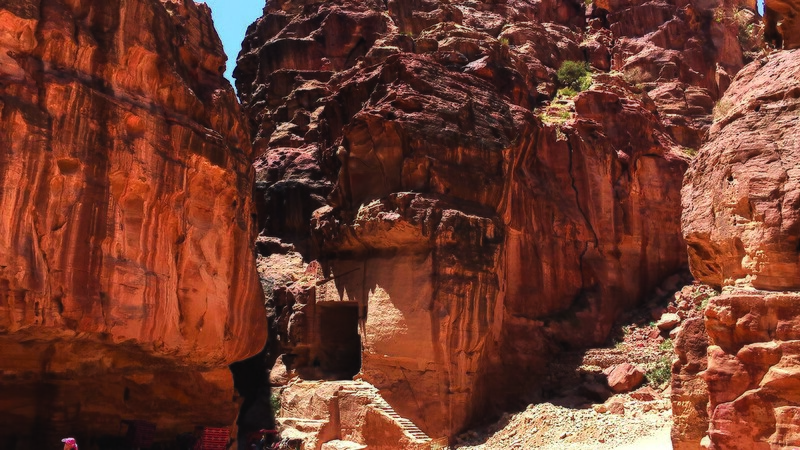 The Backdoor hike to Petra’s Monastery from little Petra— incredible ! 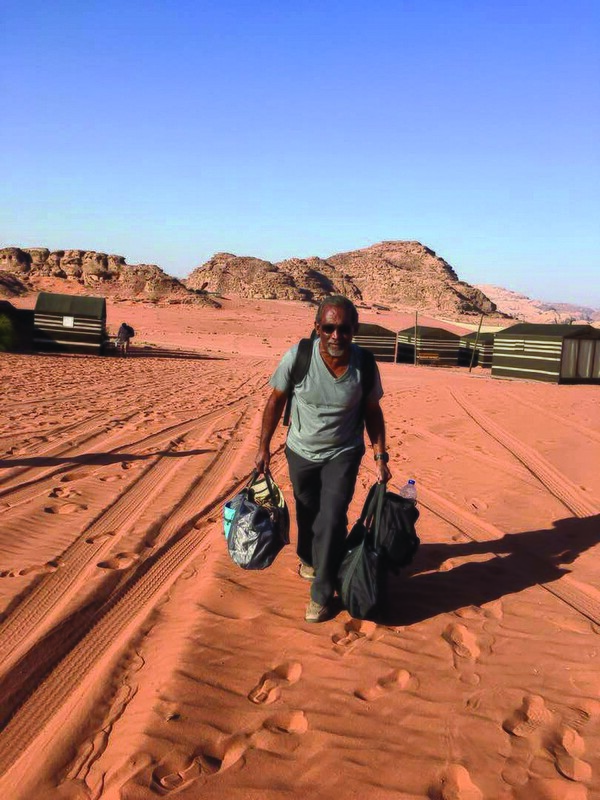 We are also grateful to our guide, Ibrahim whose personality and character, stands out amongst the many we have met. Thank you again. Hope to be back soon. Thank you so much for your kind review! It was our pleasure to have you here in Jordan. I've passed on your message to Ibrahim together with some pictures. 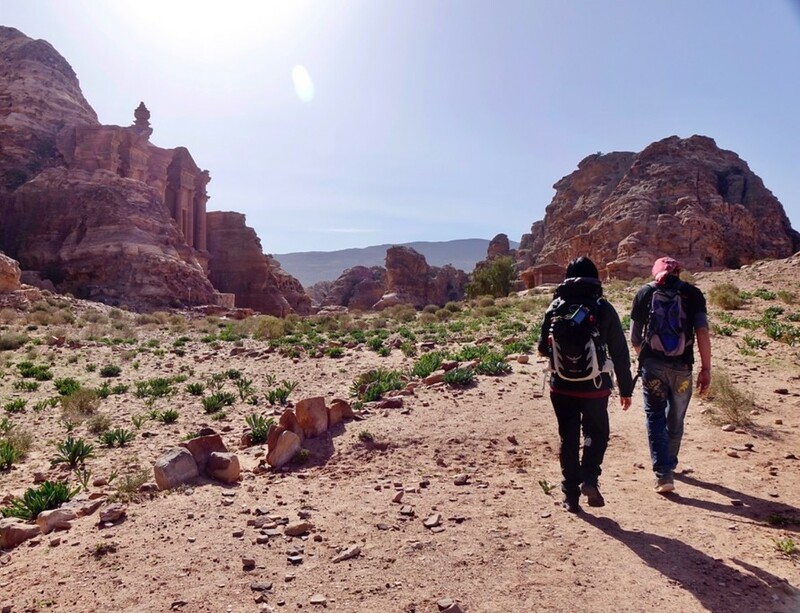 Looking forward to having you back in the country, showing you even more special places Jordan has to offer. 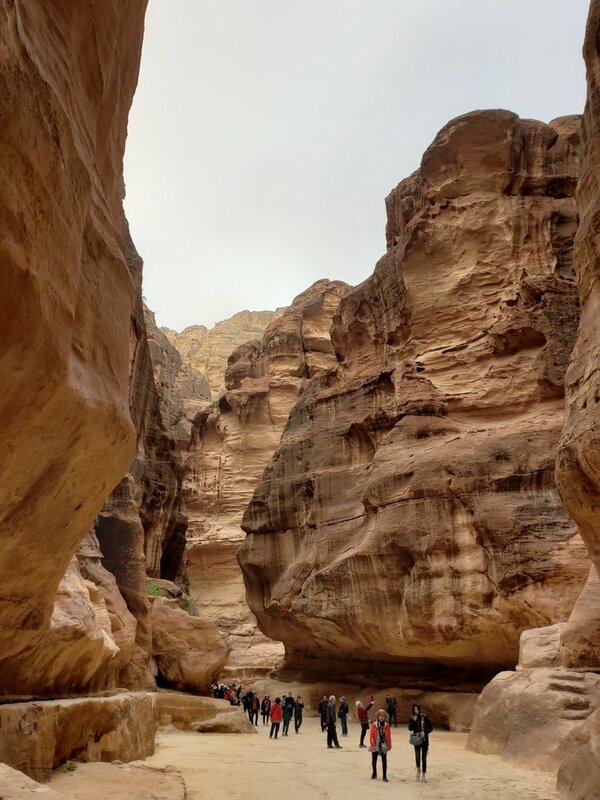 A fantastic trip to Jordan thanks to Carmen’s expertise and knowledge. It was busy but never too hectic as we saw the amazing sites. Wael, our driver and guide was easy going and friendly, as well as very punctual. 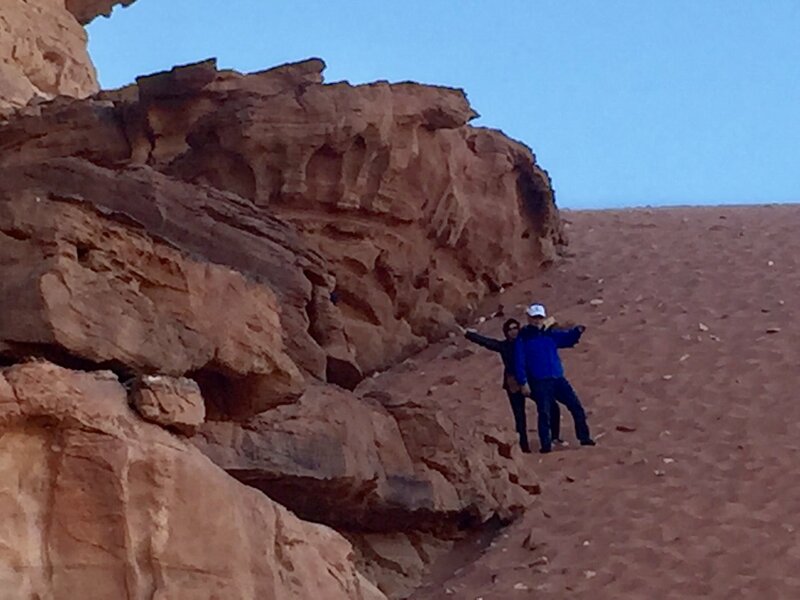 He put some miles on that car shuttling us from Amman to Wadi Rum and back again! 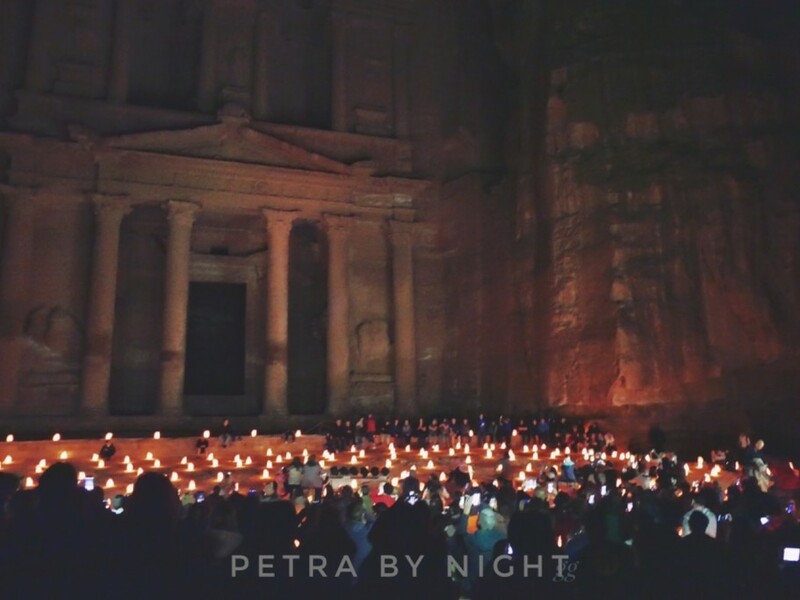 Petra of course had to be a highlight, just magical. 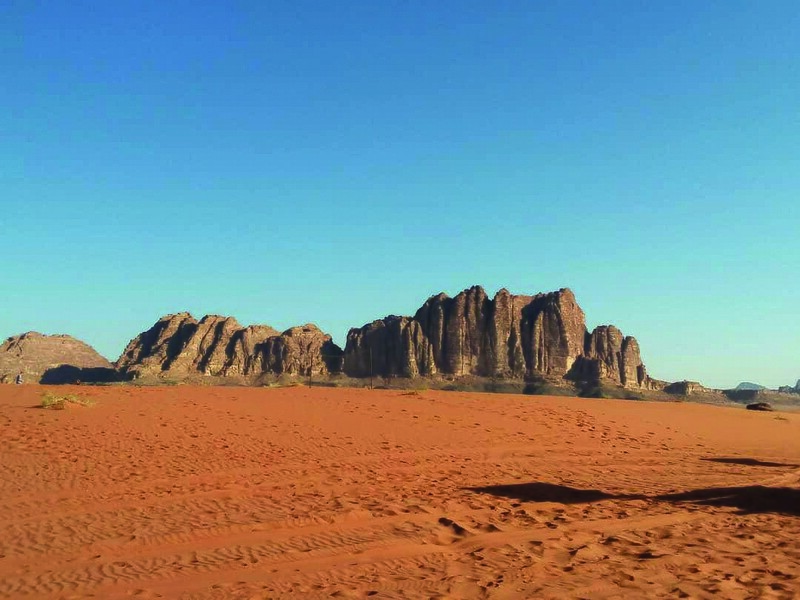 I also loved the vastness and beauty of Wadi Rum and our friendly guide, Rashid. 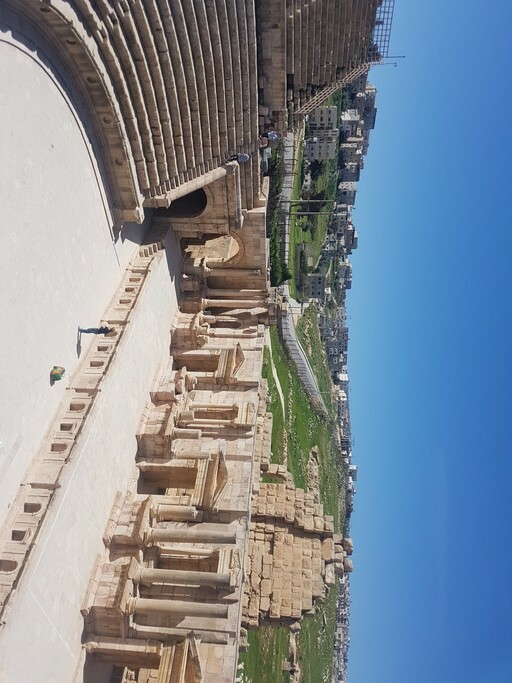 I think we may have been running out of energy towards the end, but I really enjoyed the Amman city tour and the fantastic city of Jerash. All in all just WOW! Thanks so much! Thank you so much for your review. 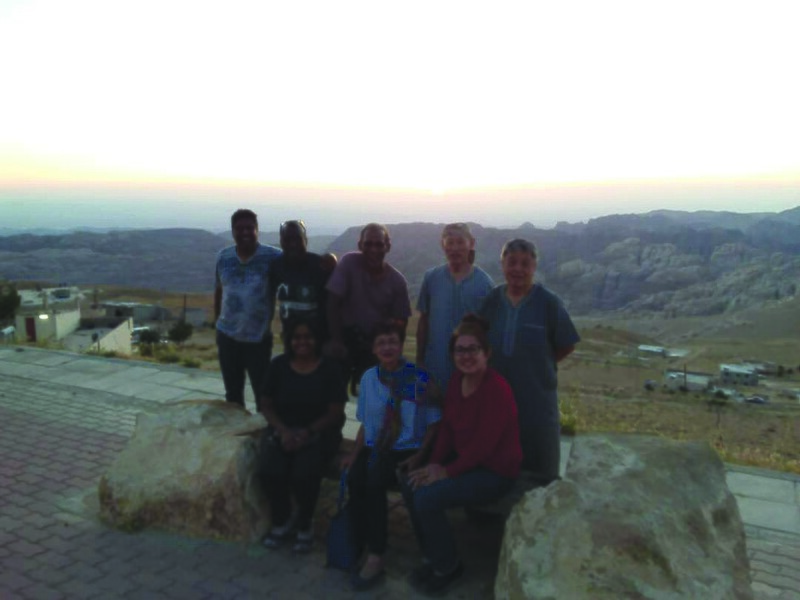 It was our pleasure to have you here in Jordan and show you the many things this beautiful country has to offer. 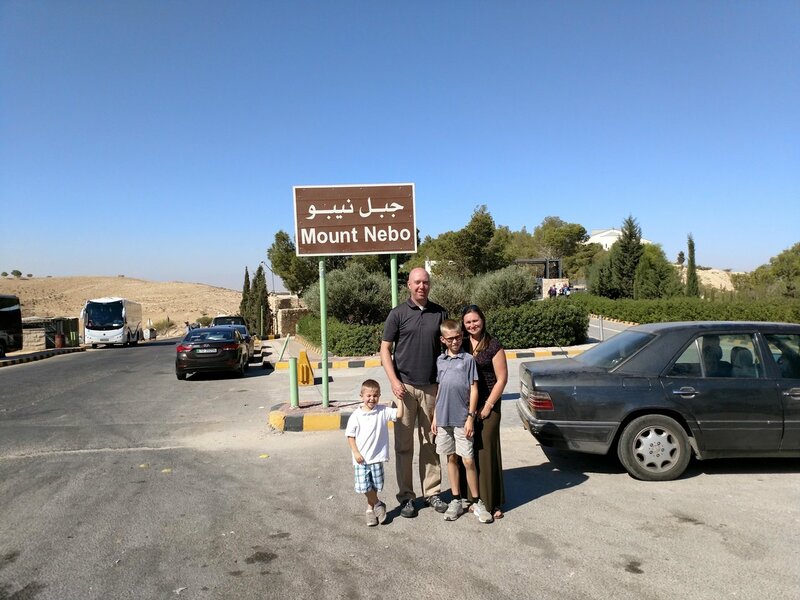 Mark and I had a great trip thanks to Carmen and the travel team she organized for our time in Jordan. Everything went as planned and the sights and schedule of activities exceeded our expectations. I will definitely recommend Kimkim to my friends and will be using Kimkim for my upcoming trips. Thank you for your kind words! 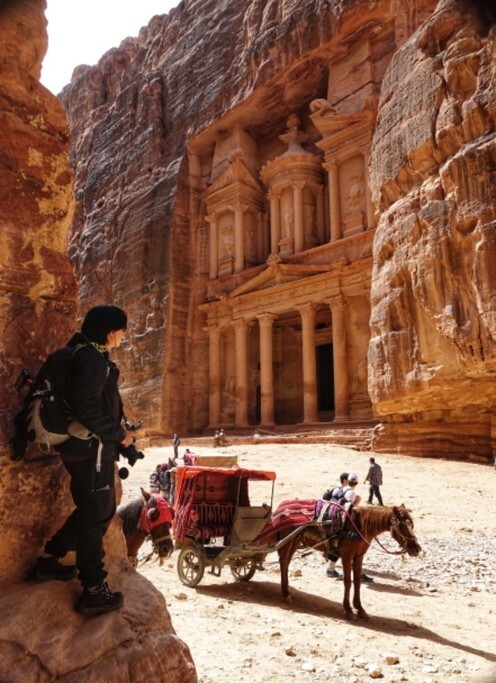 It was my utmost pleasure to organize your trip to Jordan!! 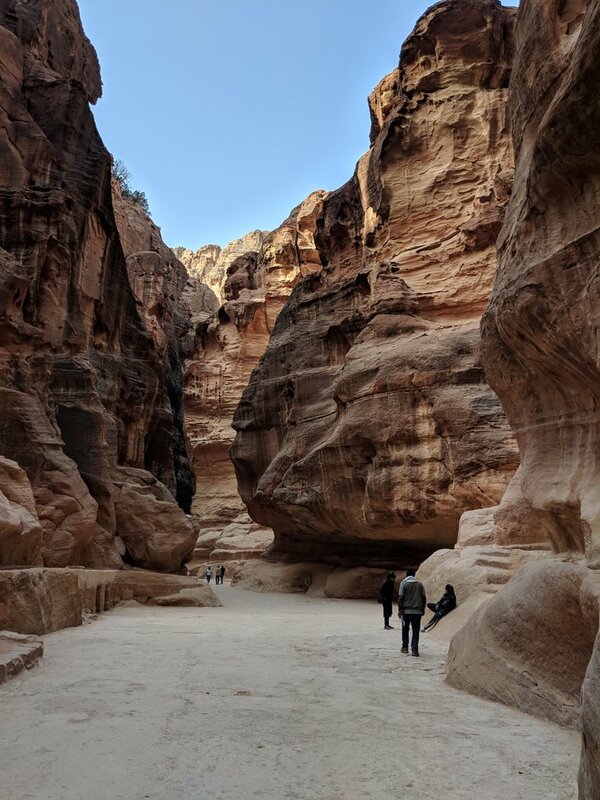 My overall experience with the travel arranged for me in Jordan was quite nice. 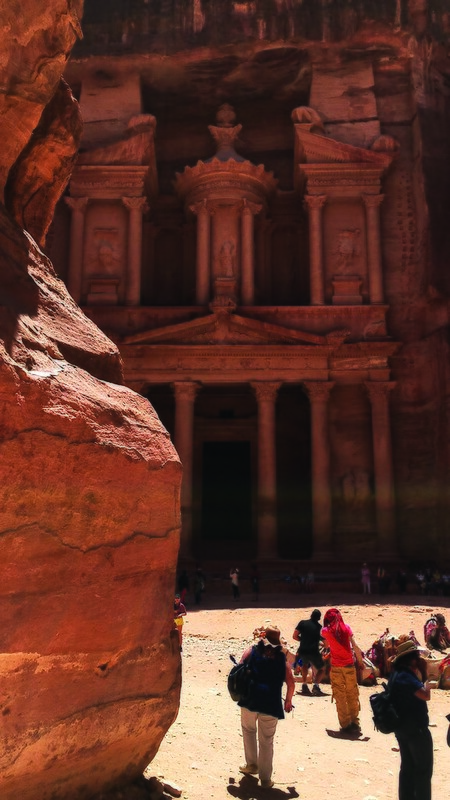 - I feel like I didn’t get enough information about Jordan and all the destinations I was going to prior my trip. 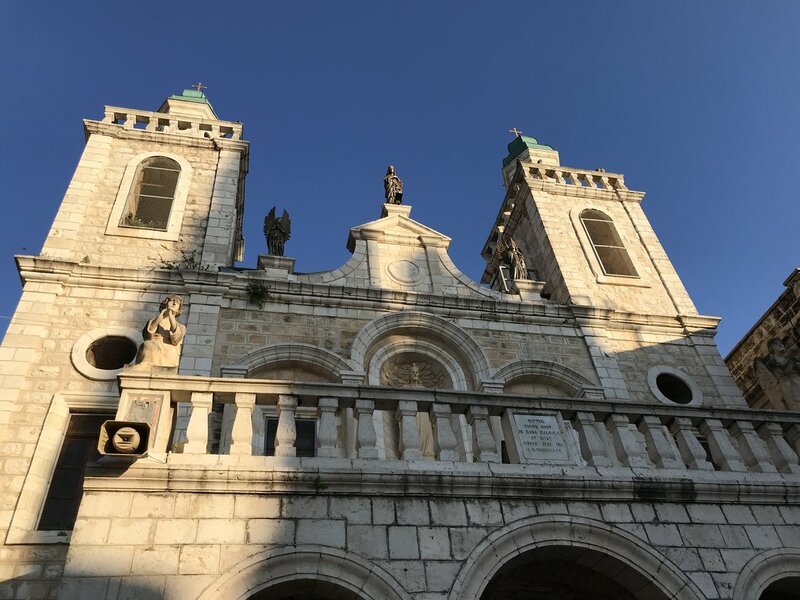 Carmen created Vamoos app for me for my itenerary, which was great, but I thought I’d get more personalised information about some interesting places , where to dine, or some local facts I wouldn’t normally get from the internet. Clicking the map didn’t help much, since most of the places on the map don’t have any information. Also the traveling date was wrong, and is still wrong up til now. It’s Febuary in the app. 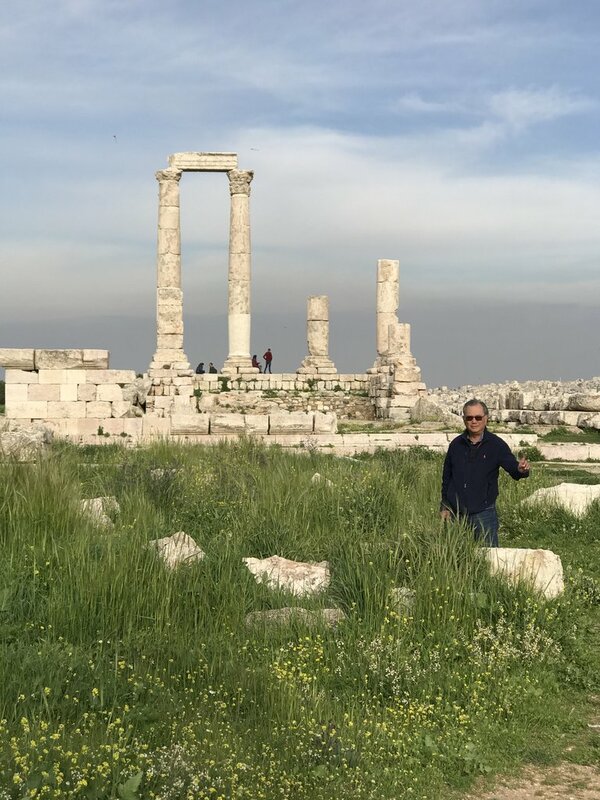 - on my last day, it seemed like my bus ticket from Aqaba to Amman was wrong. I couldn’t read Arabic of course, but my driver was kind enough to check for me at the bus station when he dropped me off, so they changed the new one for me. And since my bus was at 6 PM and i was dropped off at 10 AM with my luggages, I had to find a place to store those before I could do anything, which was pretty troublesome. At that point I wish I was told or suggested beforehand what to do with my luggages. In the end I mannaged to ask Movenpick hotel to keep them for me, eventhough I wasn’t staying with them. And I also wish I was given some interesting information about Aqaba, restaurants, cafe and attractions. Since it was a very low season, whatever I tried to do (glass bottom boat tour etc.) everything was unavailable due to too small group of people joining. 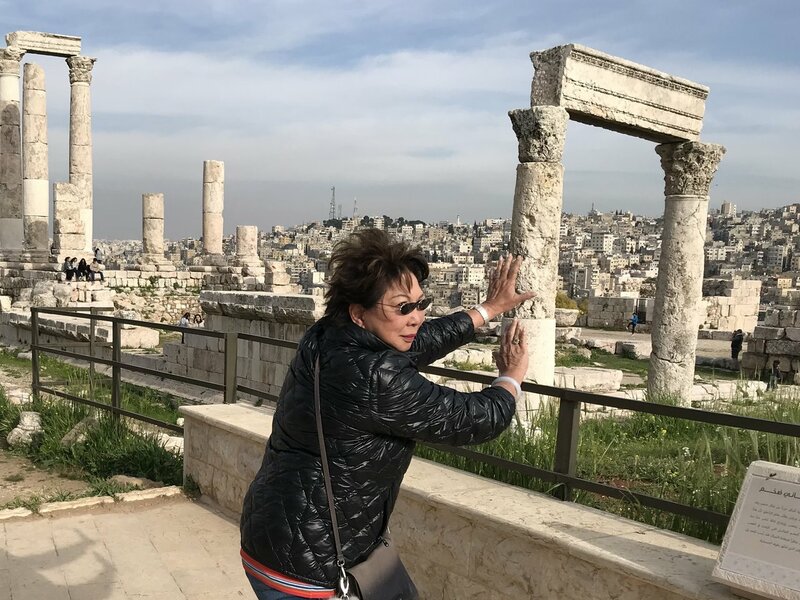 I think that’s pretty much my opinion on my trip to Jordan. Thank you Carmen for all the help in planning and everything. 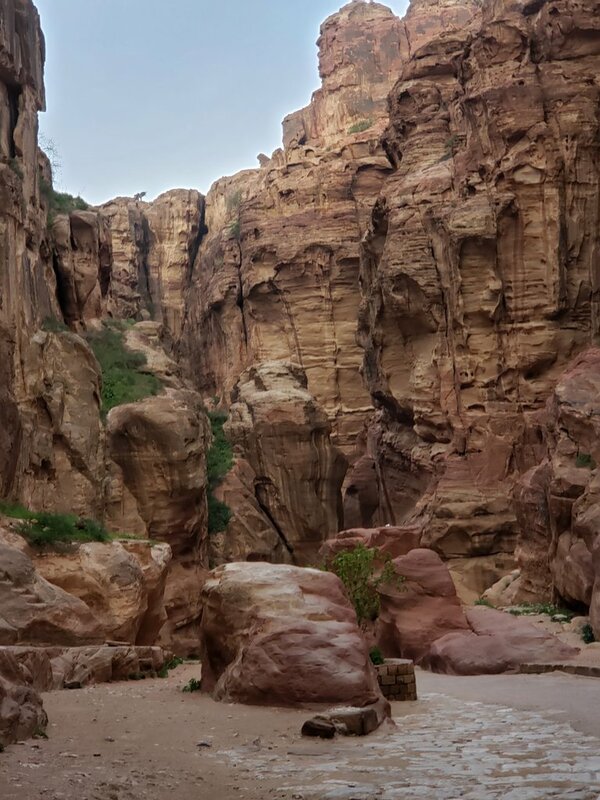 Jordan was an amazing country and I loved my experiences there. Thank you for your review. I'm sorry that not everything was completely to your satisfaction, but please understand that we did all that was possible within your budget. And planning a driver or rental car would surely have made your trip more quick and comfortable, but also too expensive, so we hope you understand our situation. Maybe I've should have informed you better about this, my apologies.